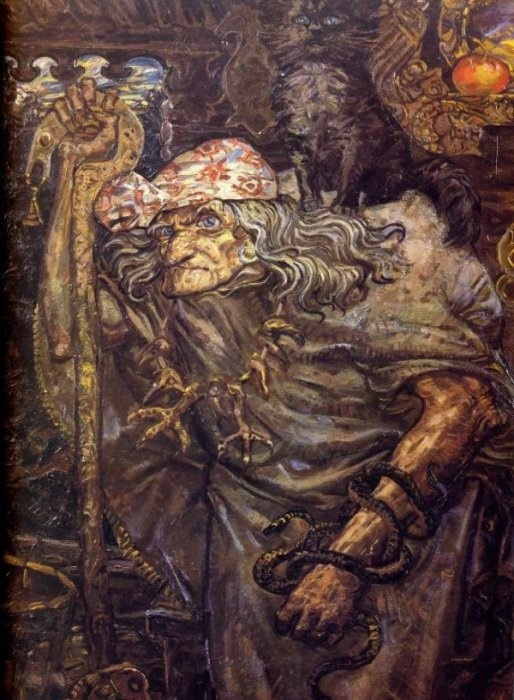 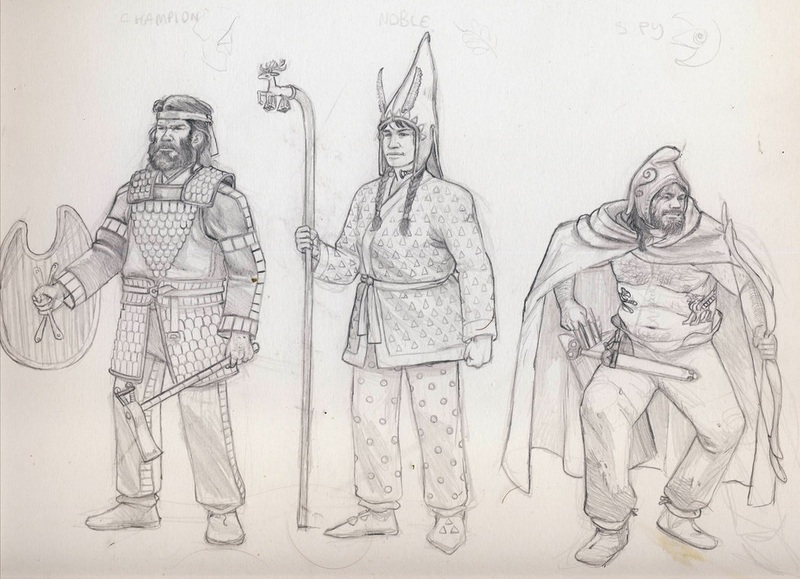 A logical step in this year's image salvage is to compile illustrations of the various historical cultures which were the source and reference basis for Warhammer's Hobgoblins. 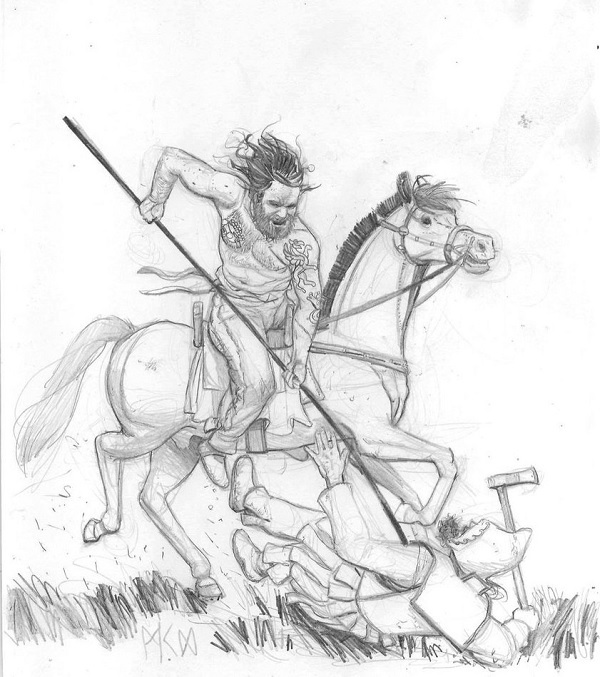 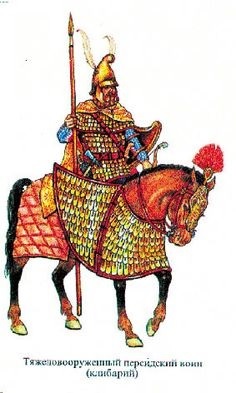 First out, in thundering pajamas and with Parthian shots from horseback, the Scythians! 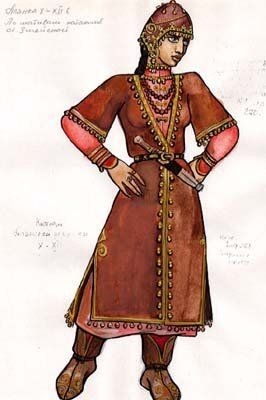 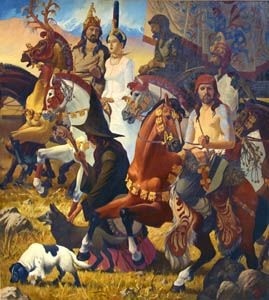 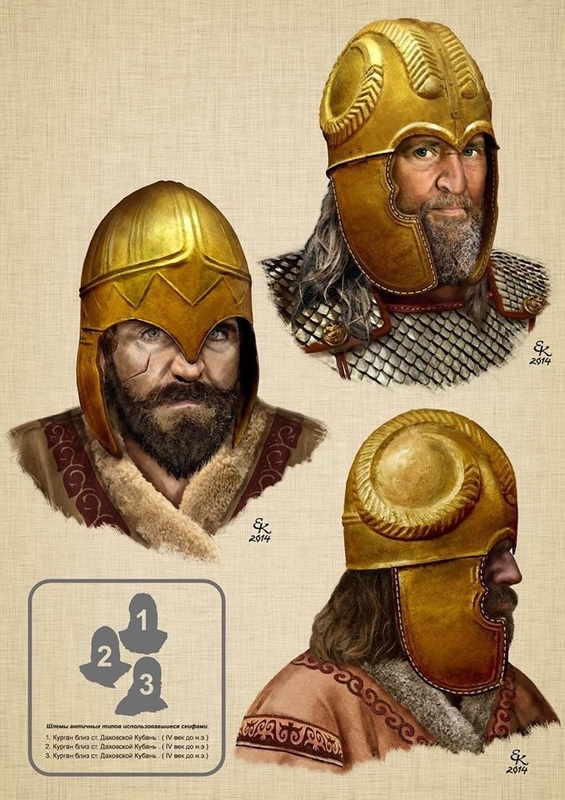 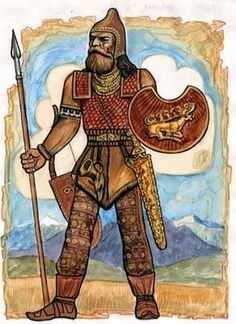 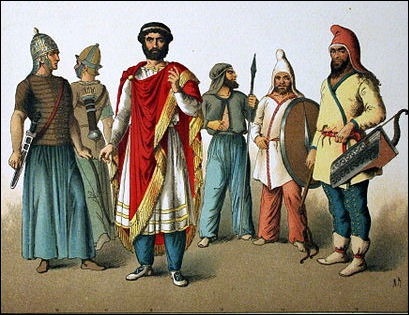 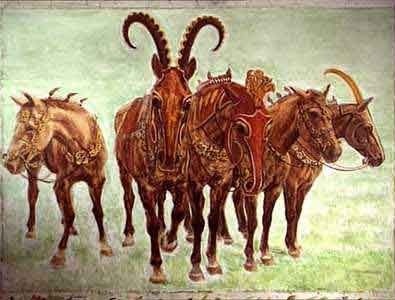 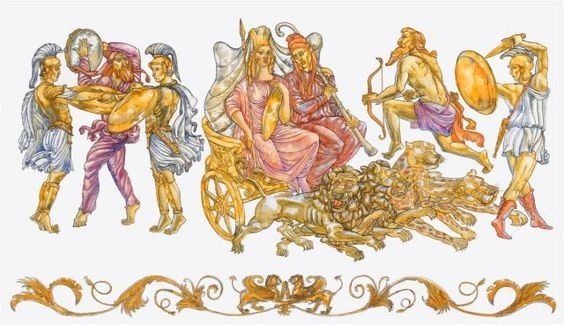 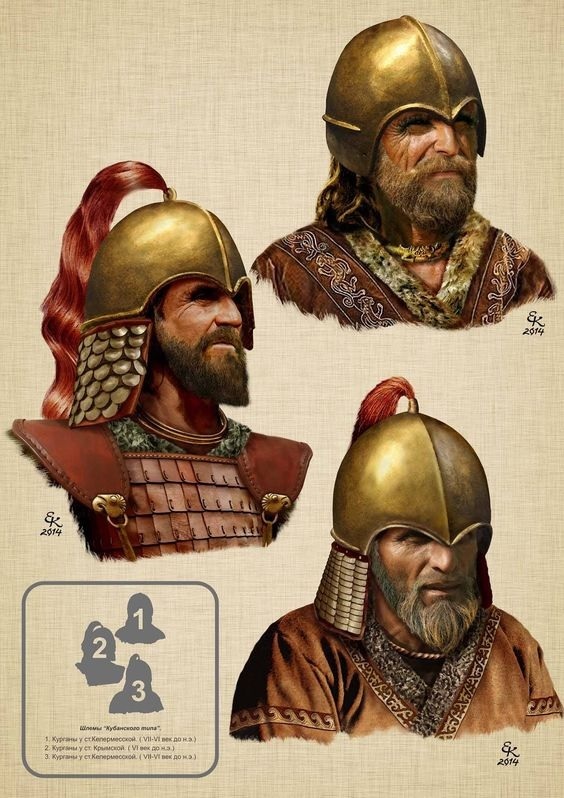 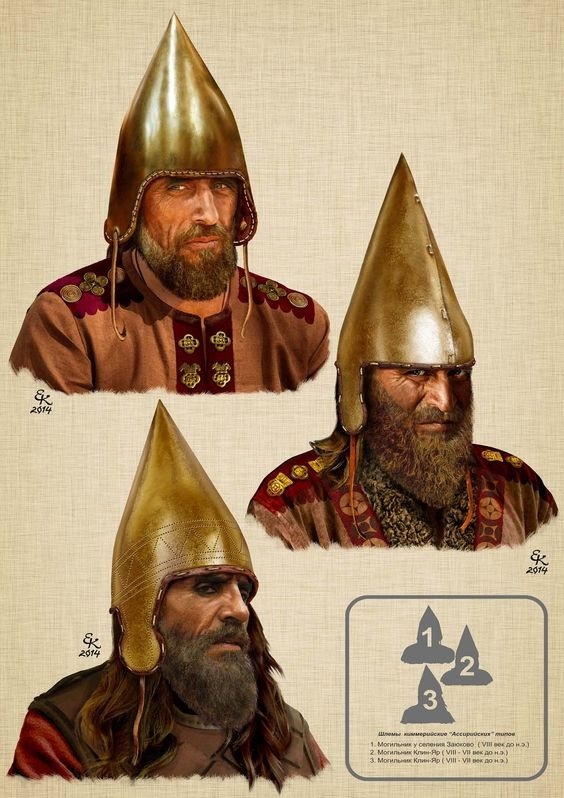 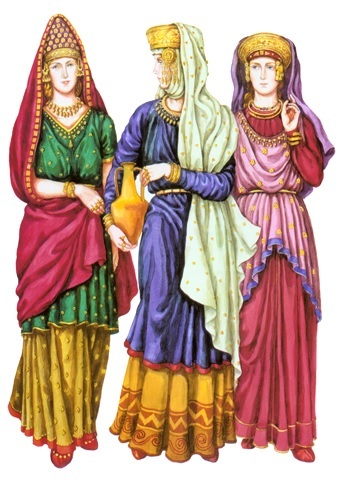 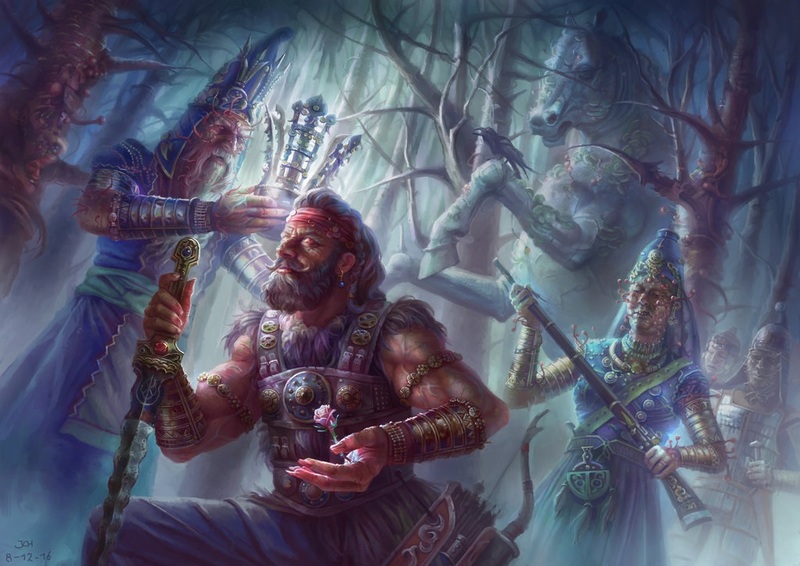 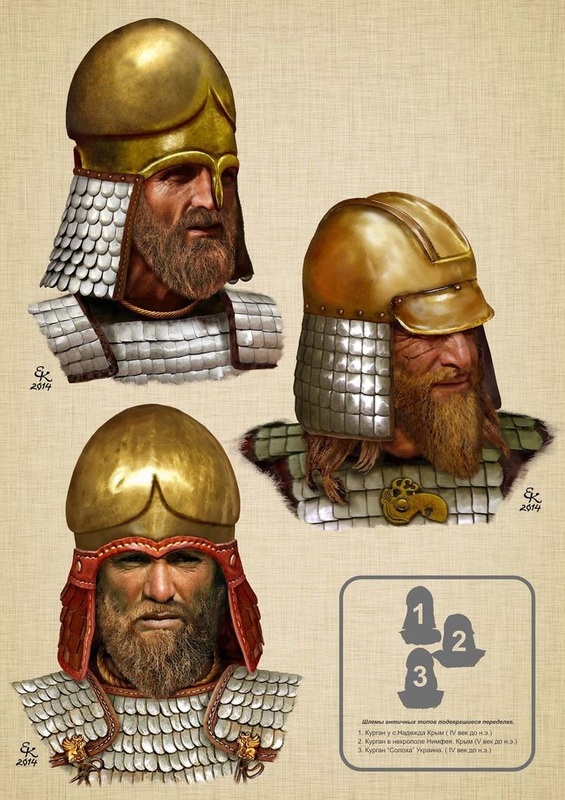 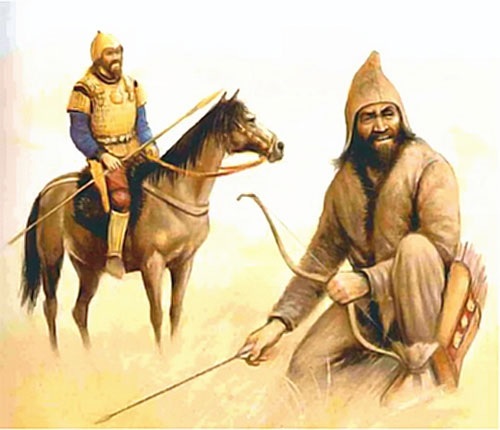 The Scythians were an ancient people of Iranian speakers, a cavalcade of warring tribes that emerged on the historical scene around 700 BC, claiming the Pontic-Caspian steppe and Central Asia. 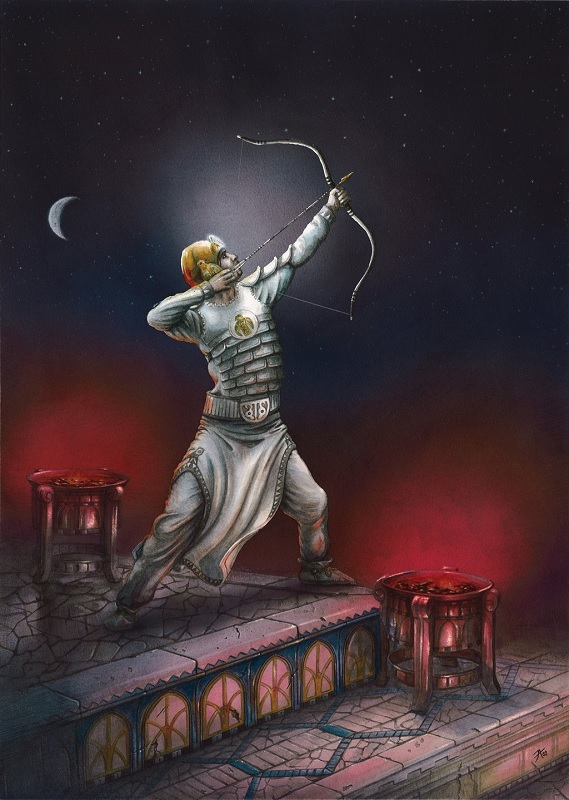 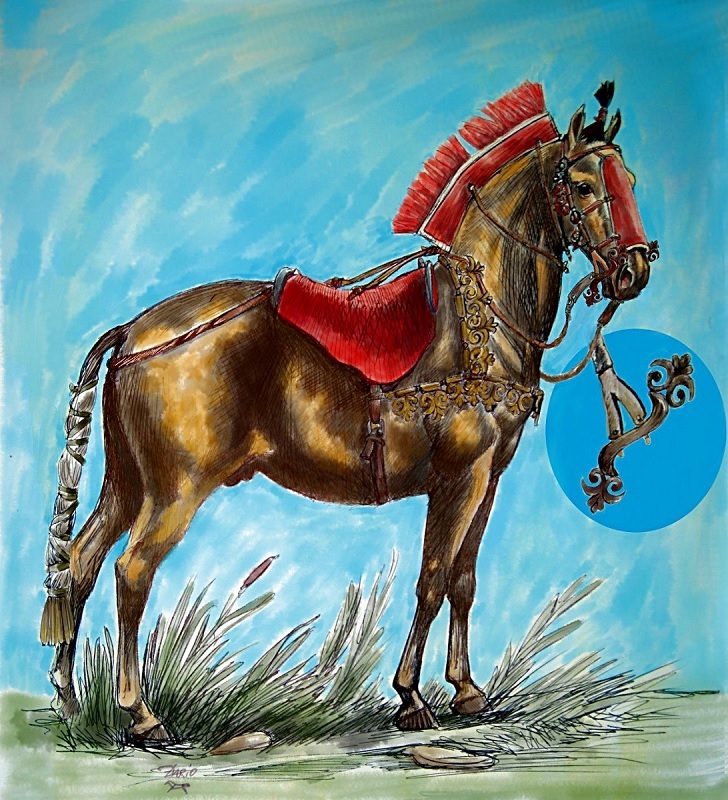 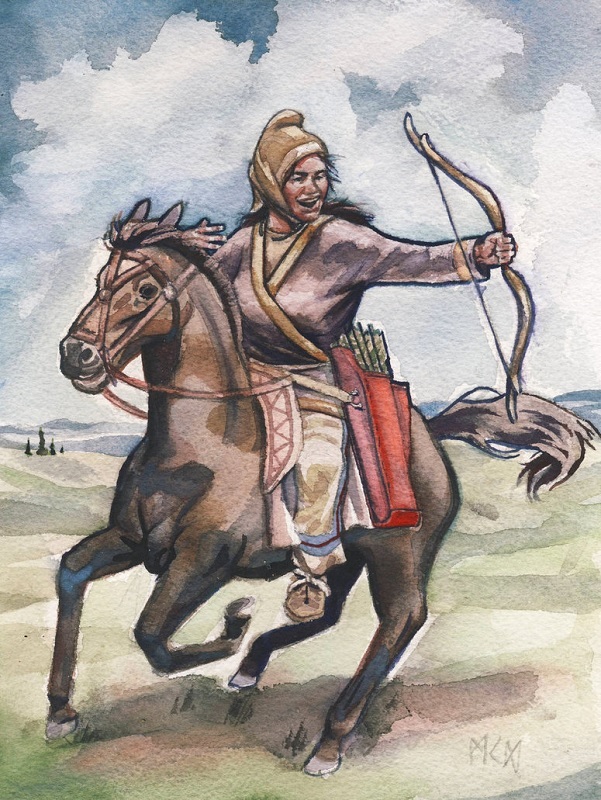 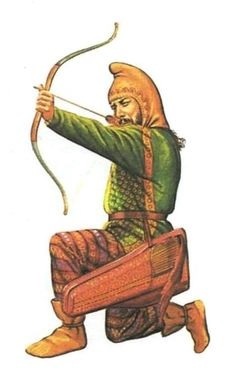 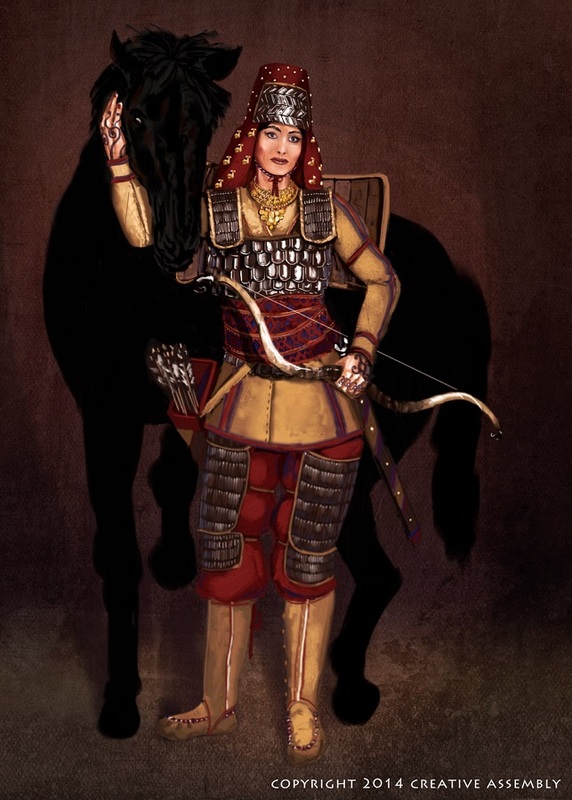 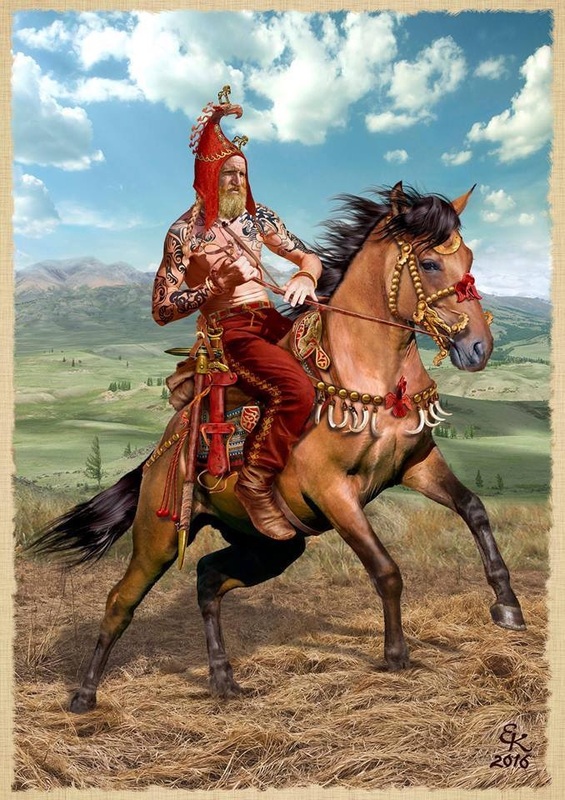 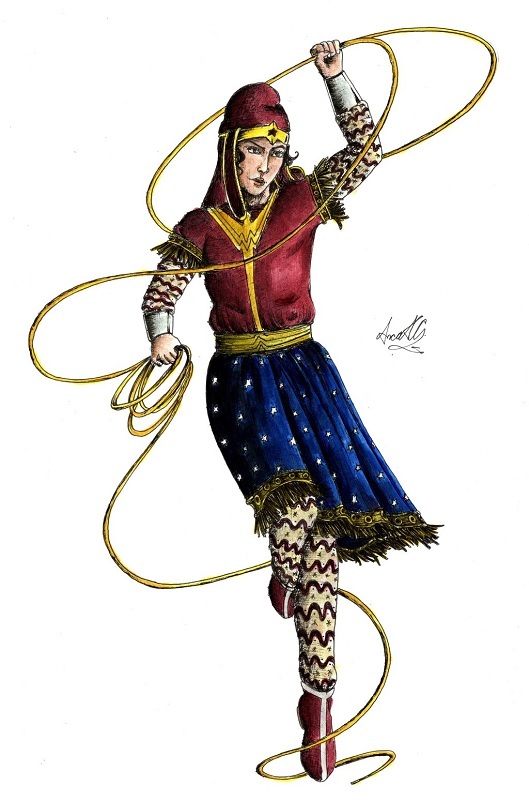 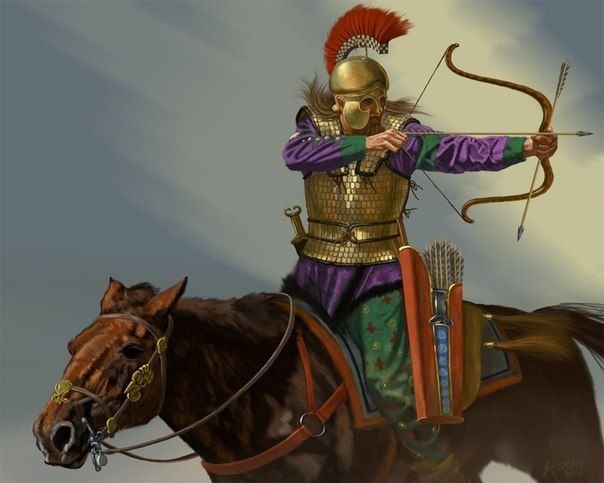 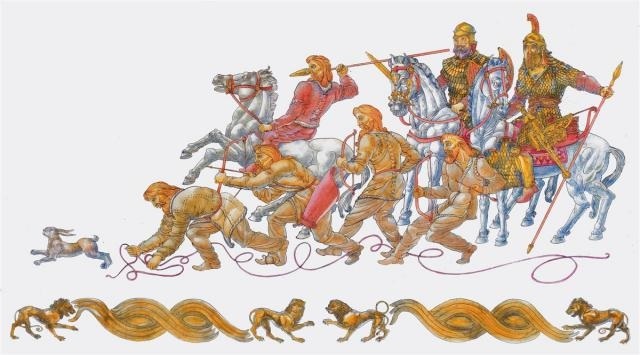 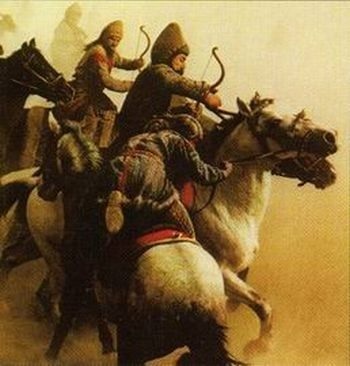 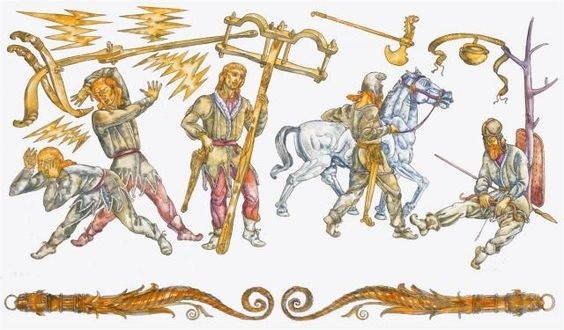 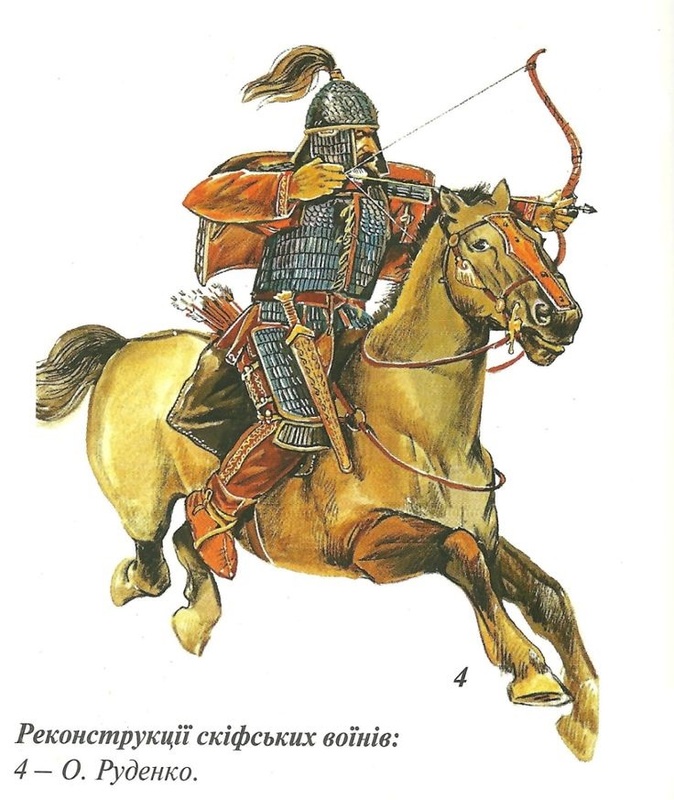 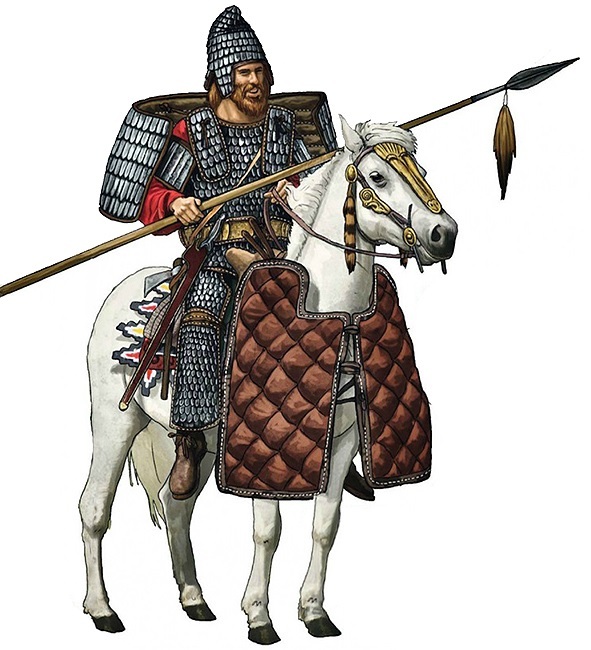 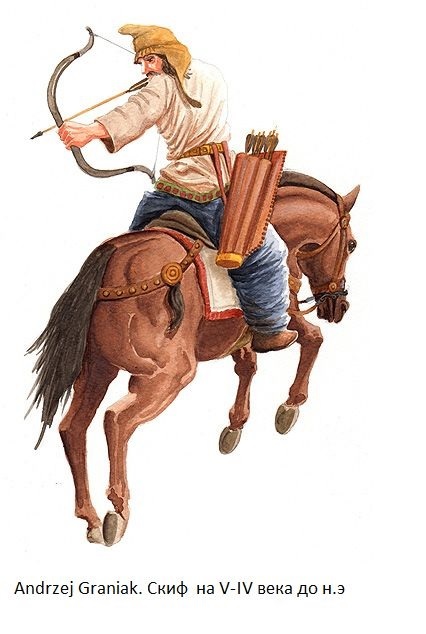 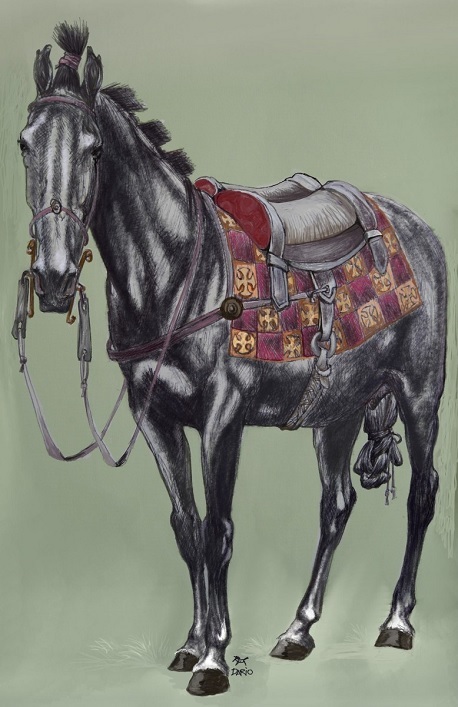 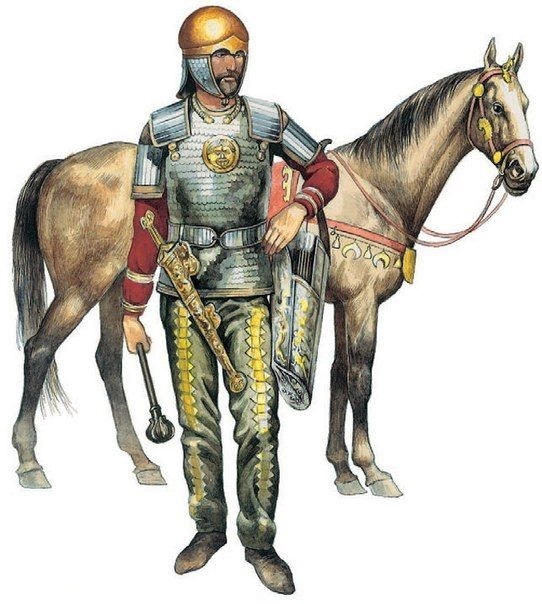 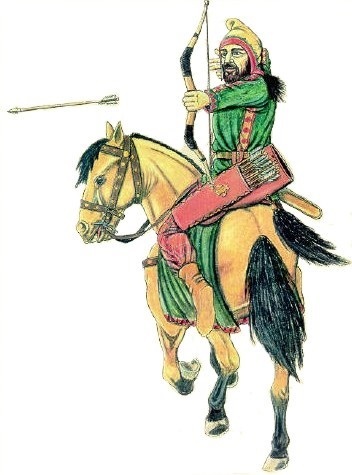 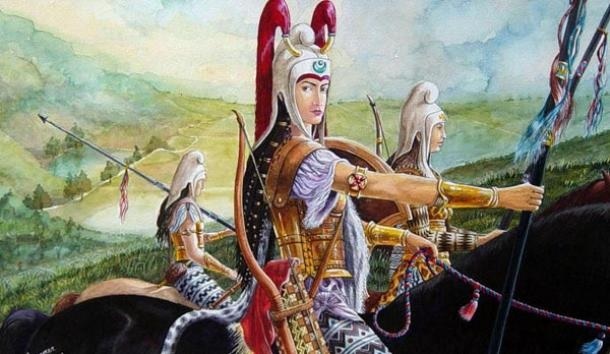 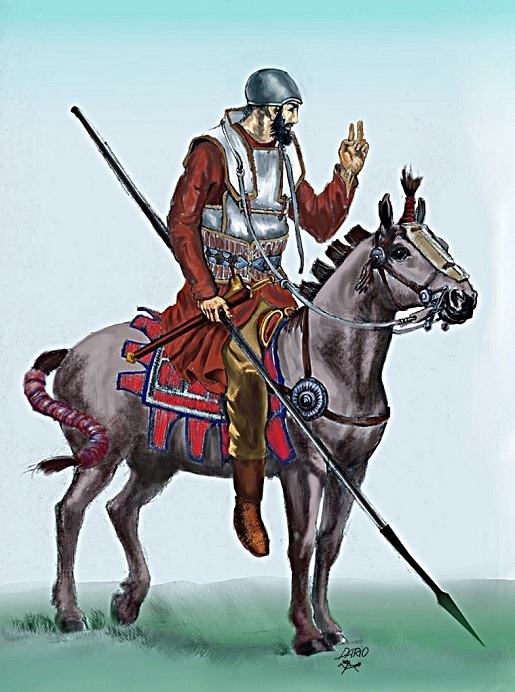 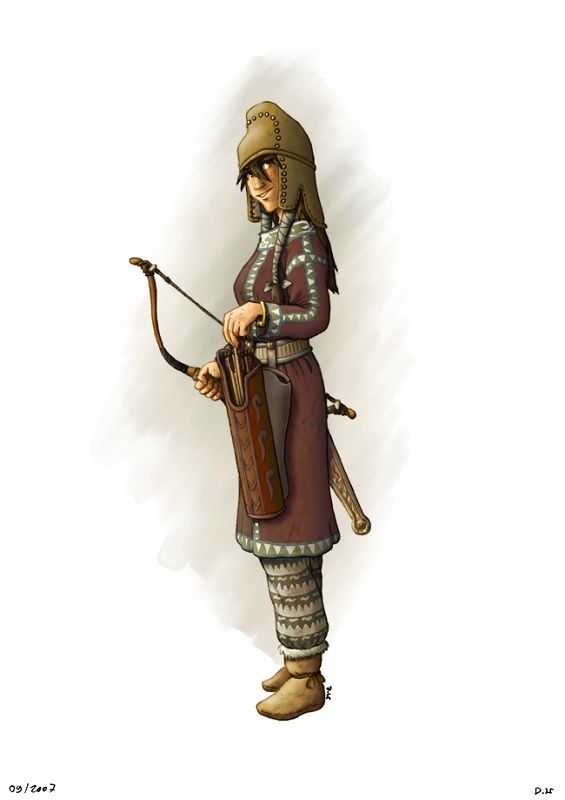 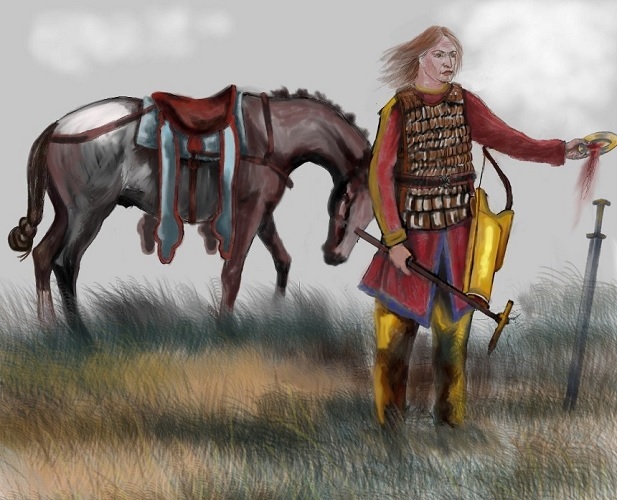 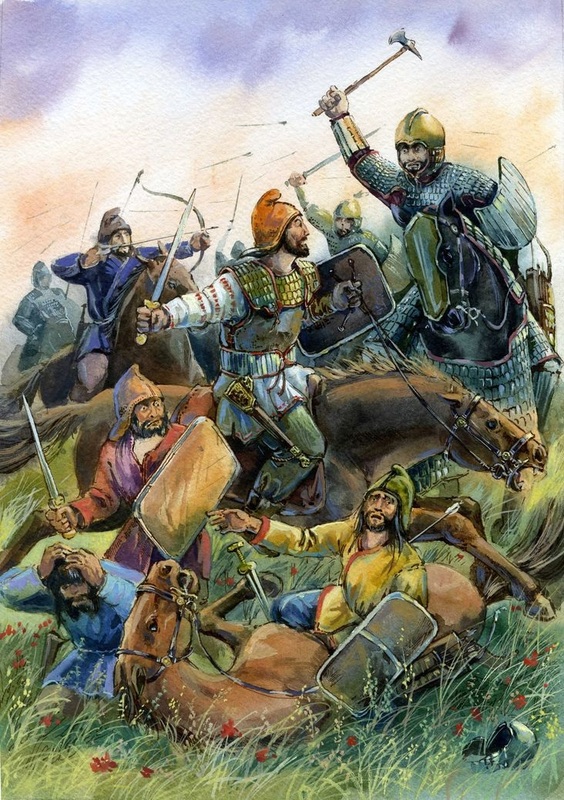 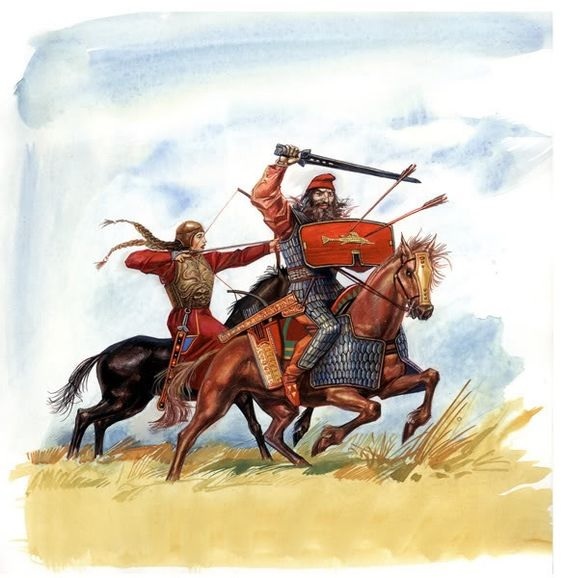 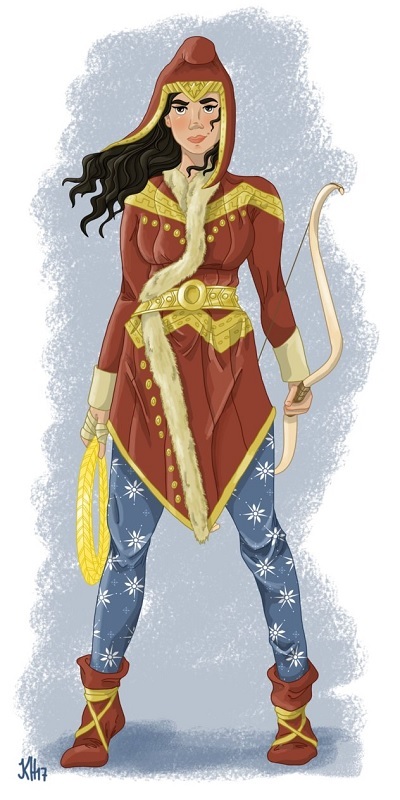 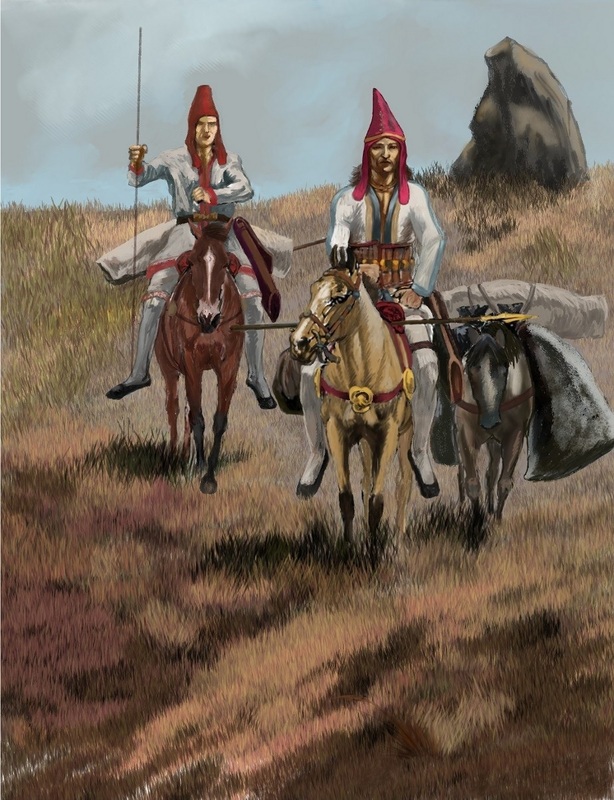 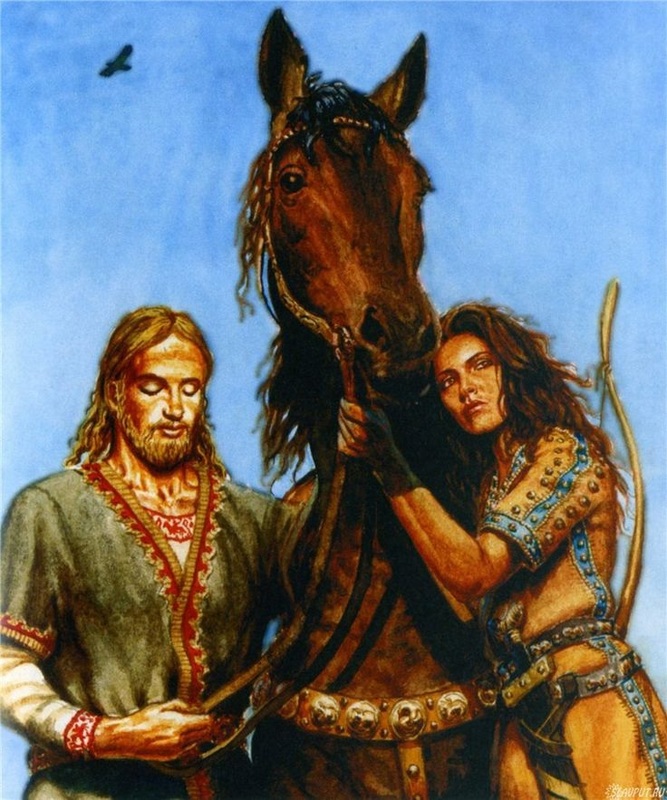 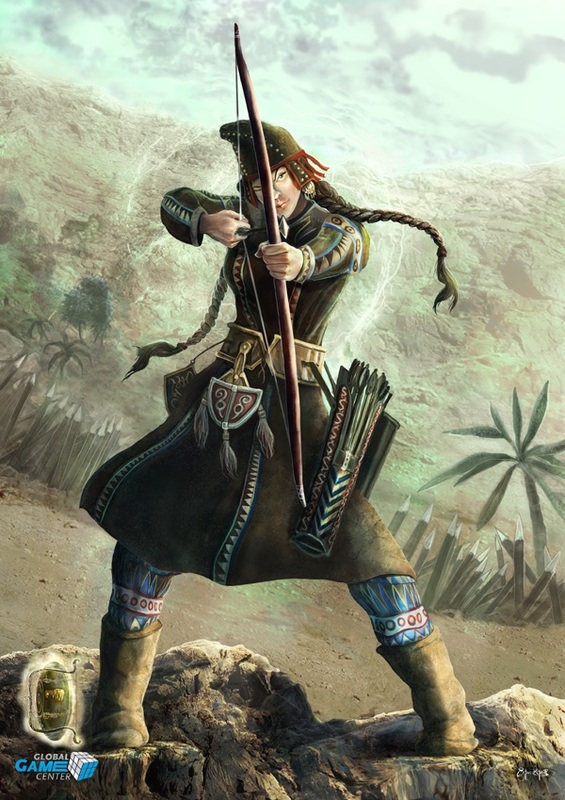 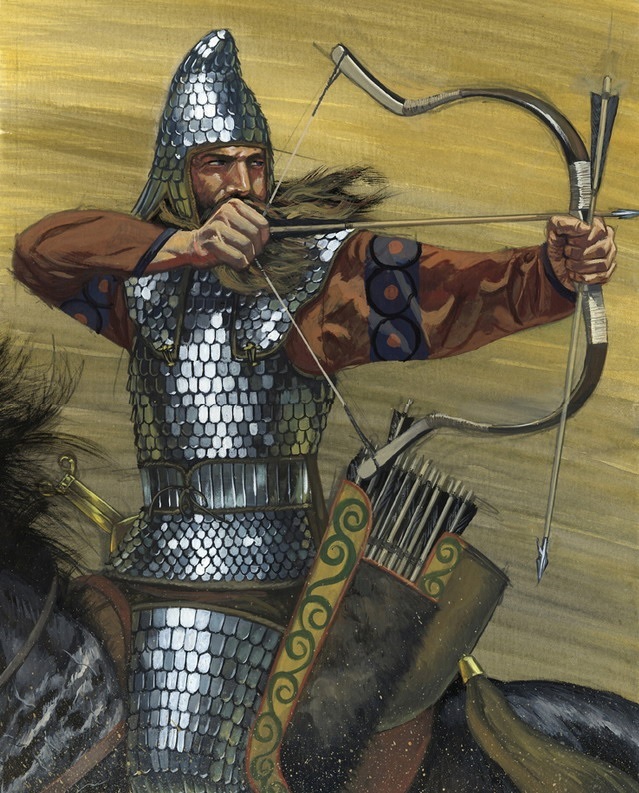 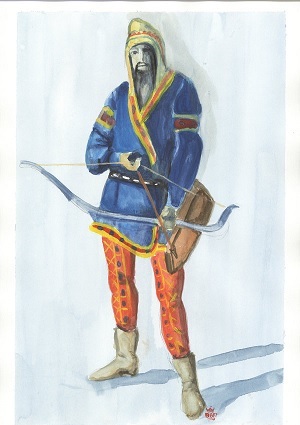 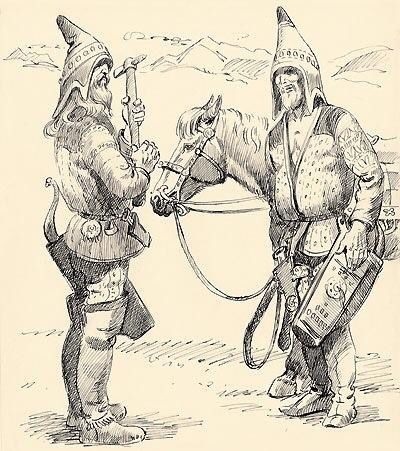 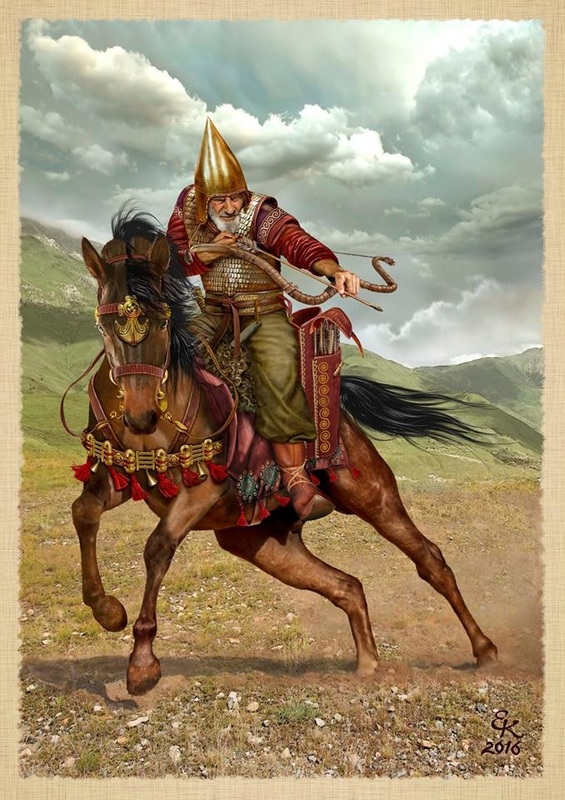 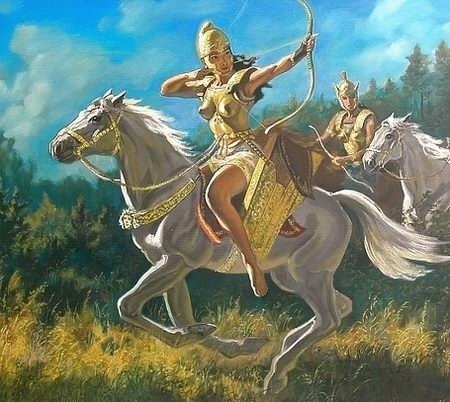 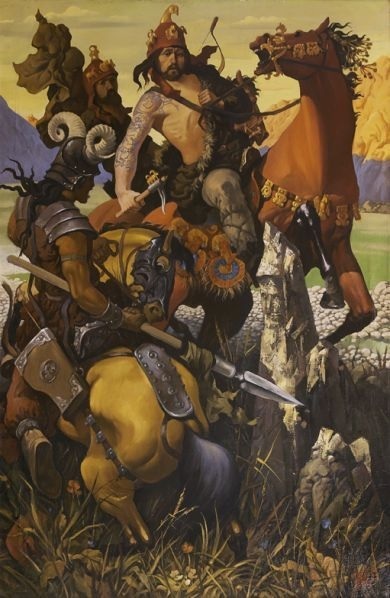 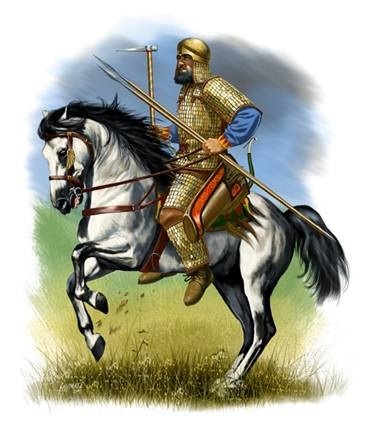 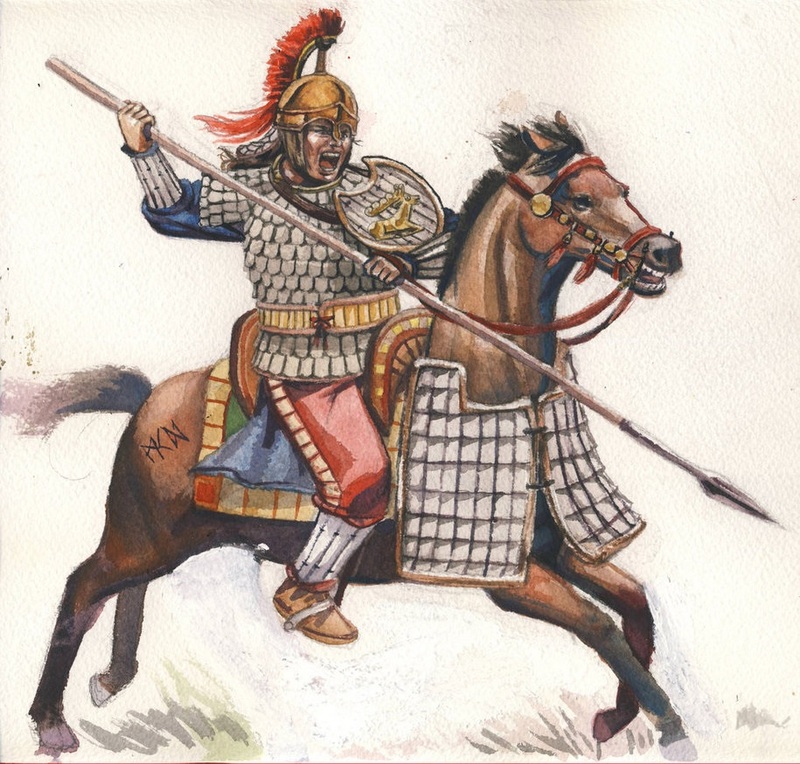 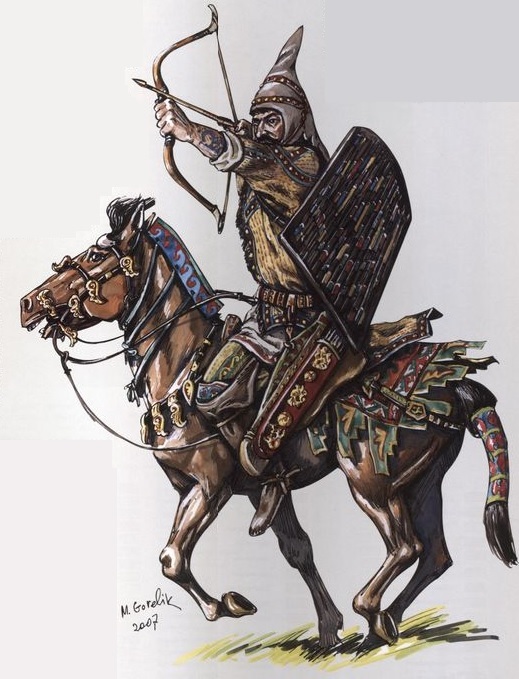 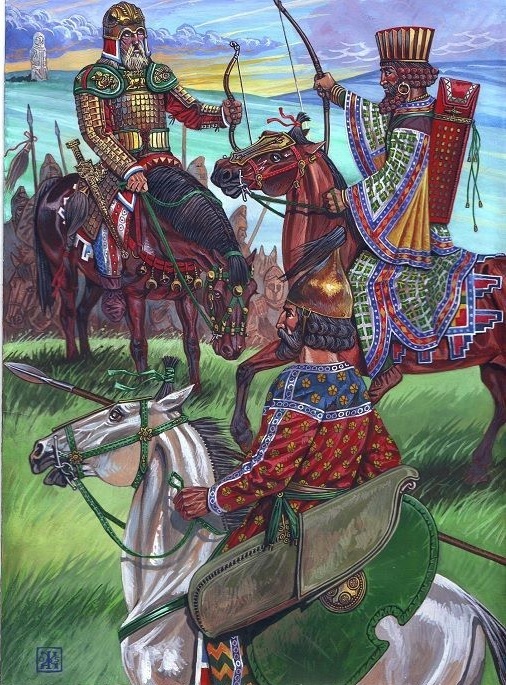 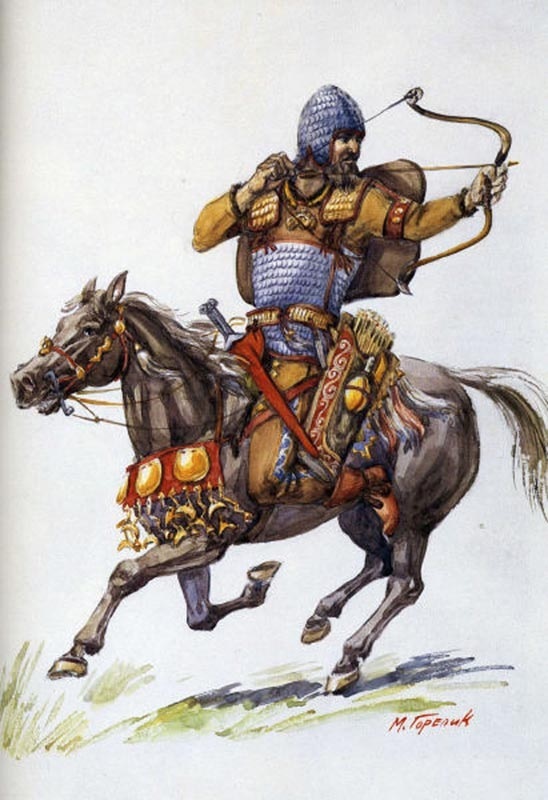 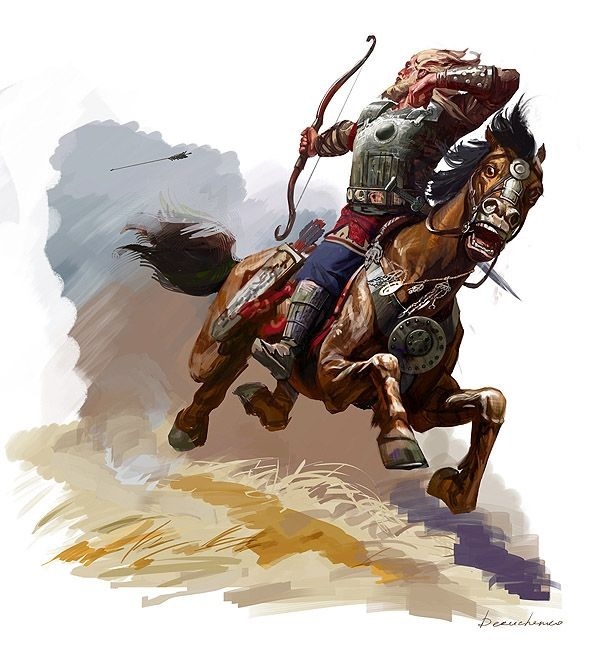 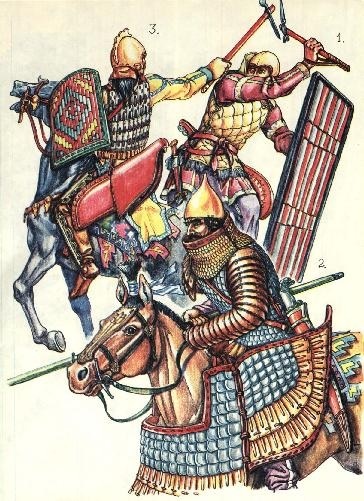 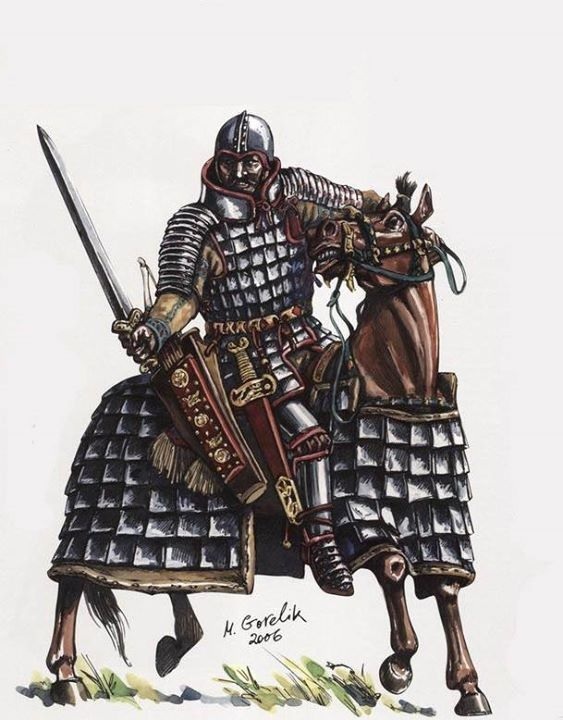 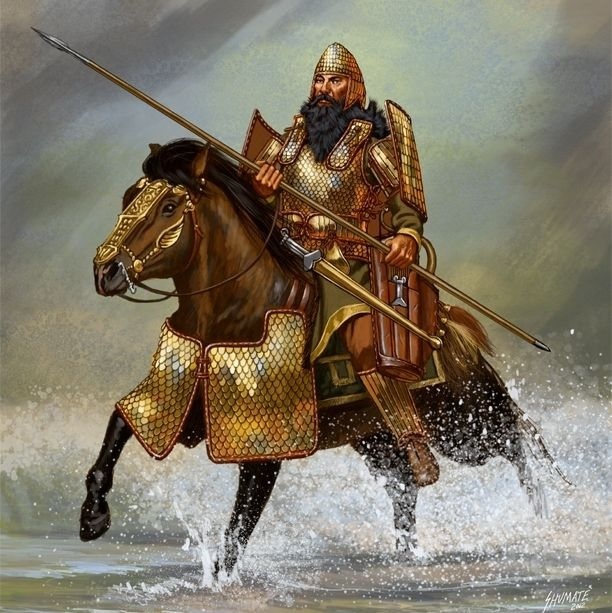 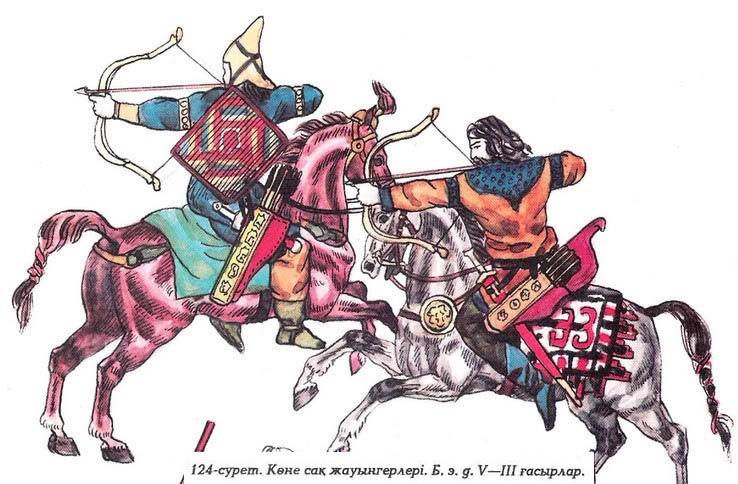 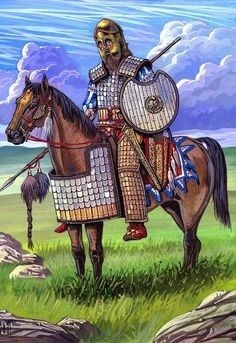 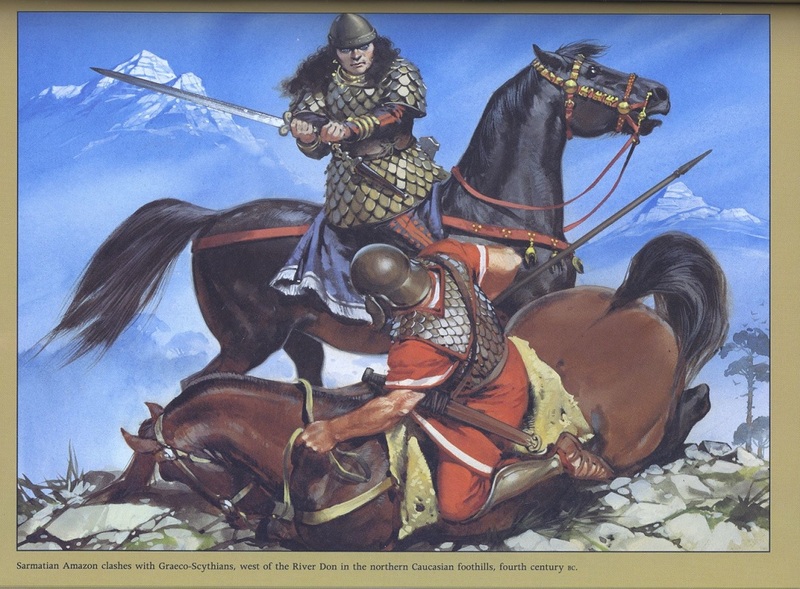 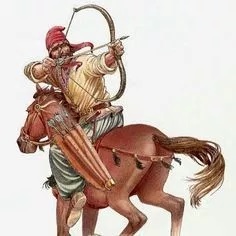 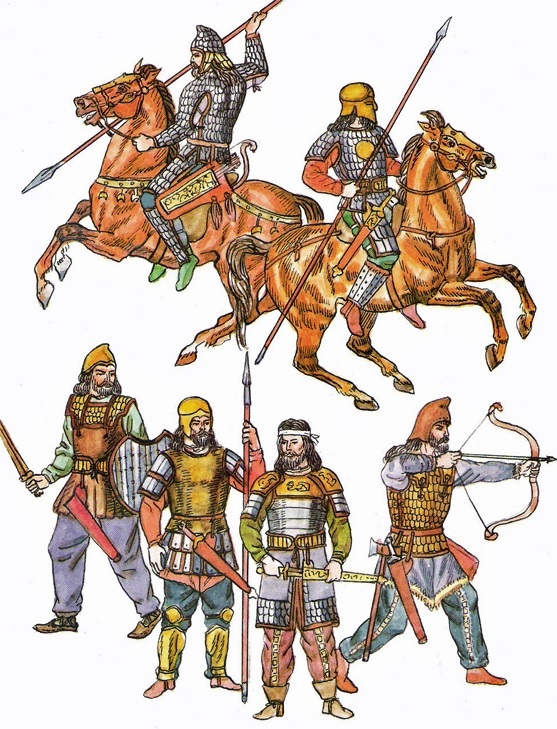 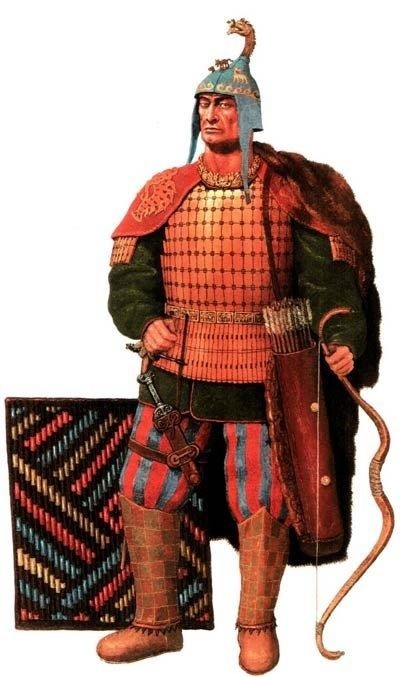 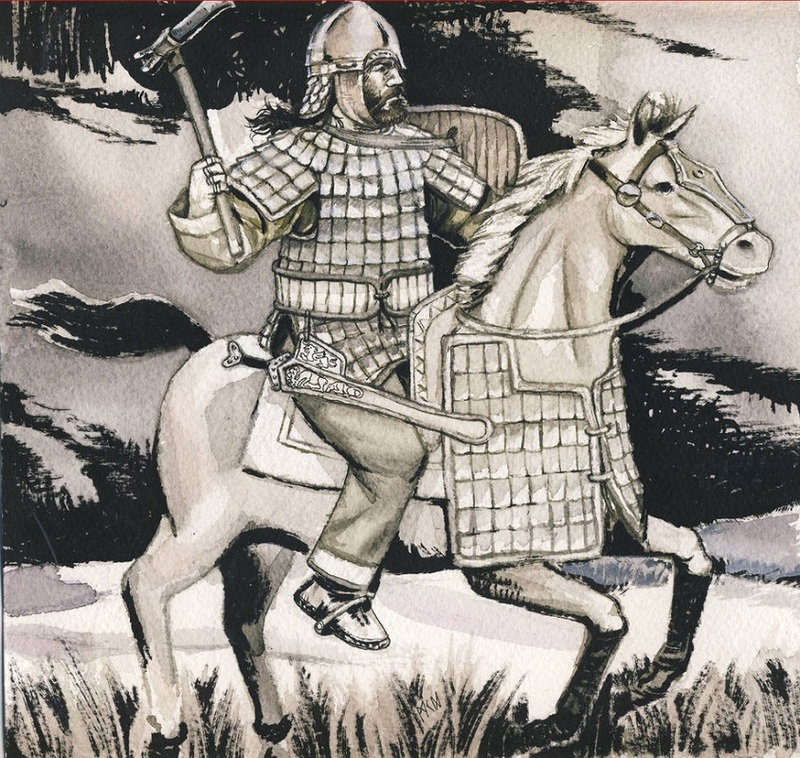 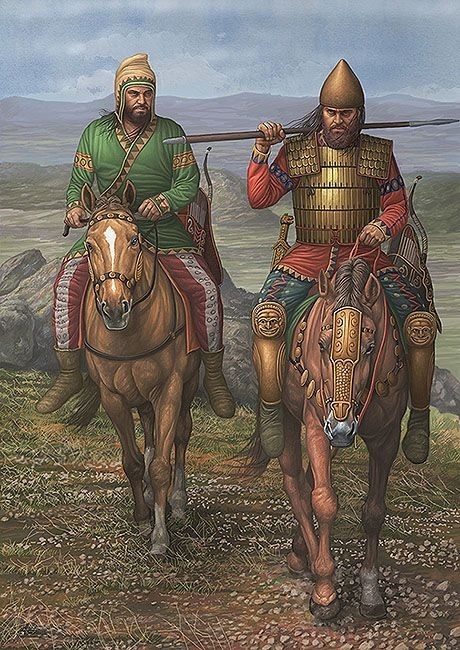 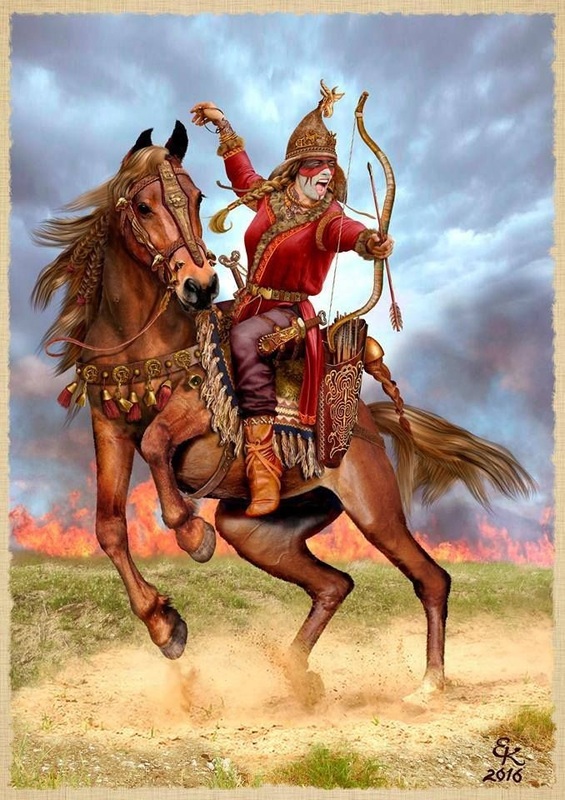 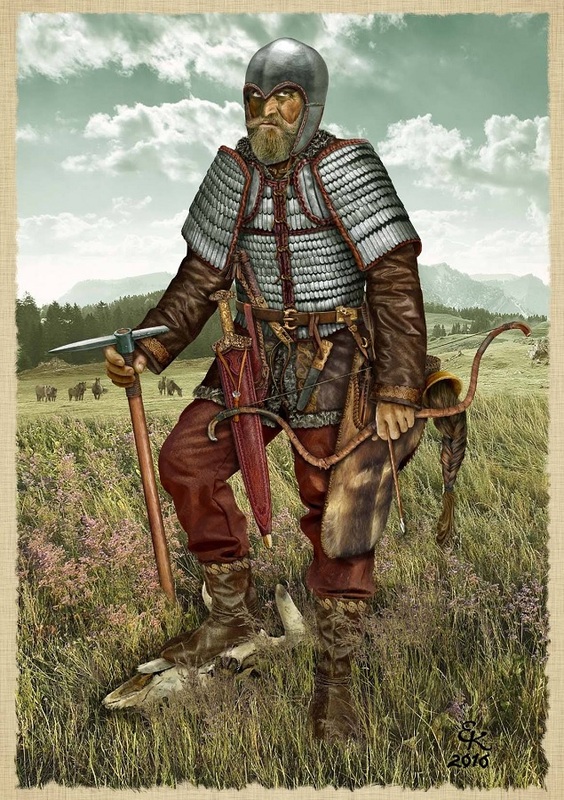 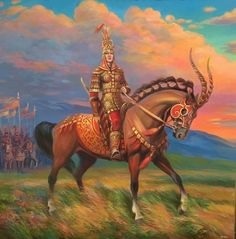 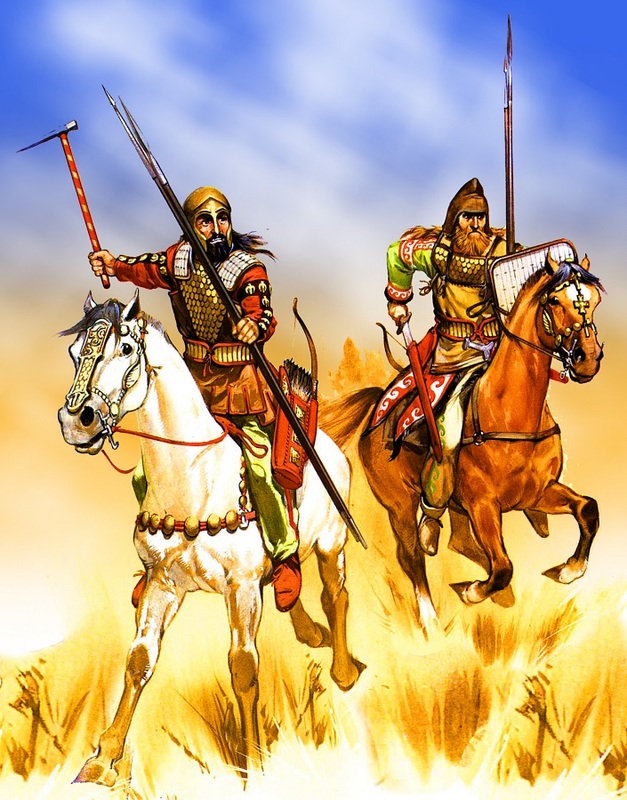 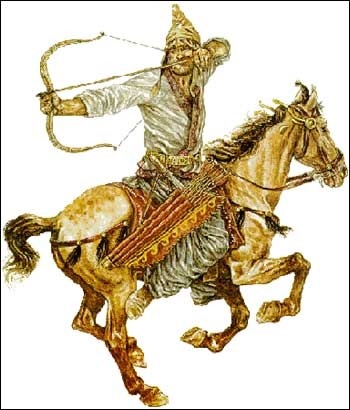 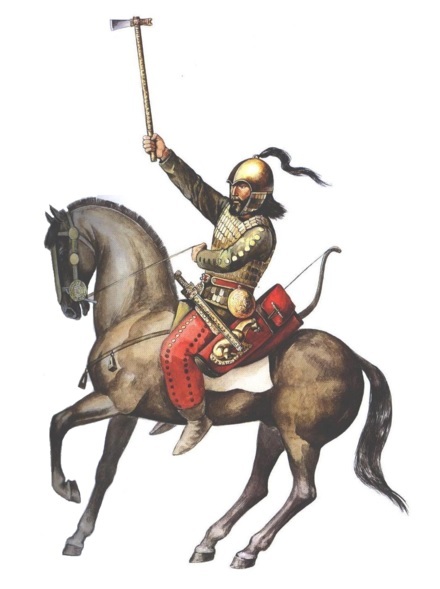 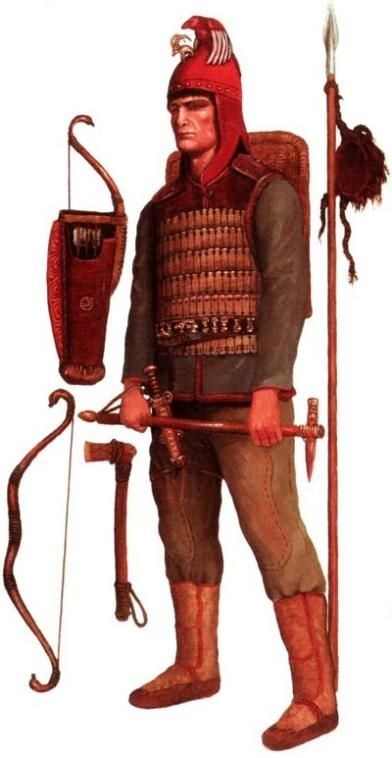 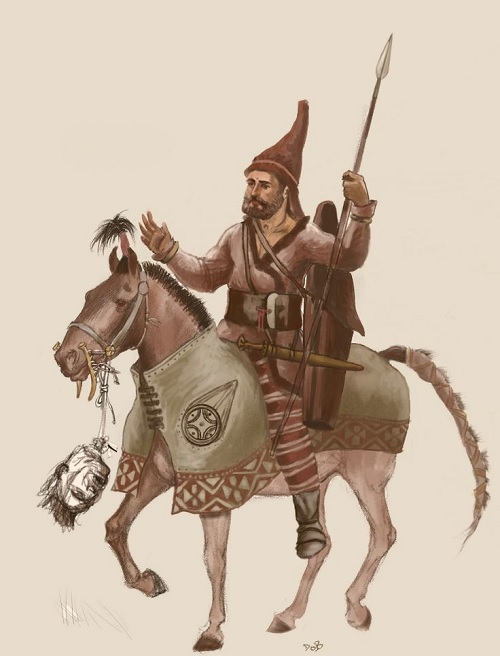 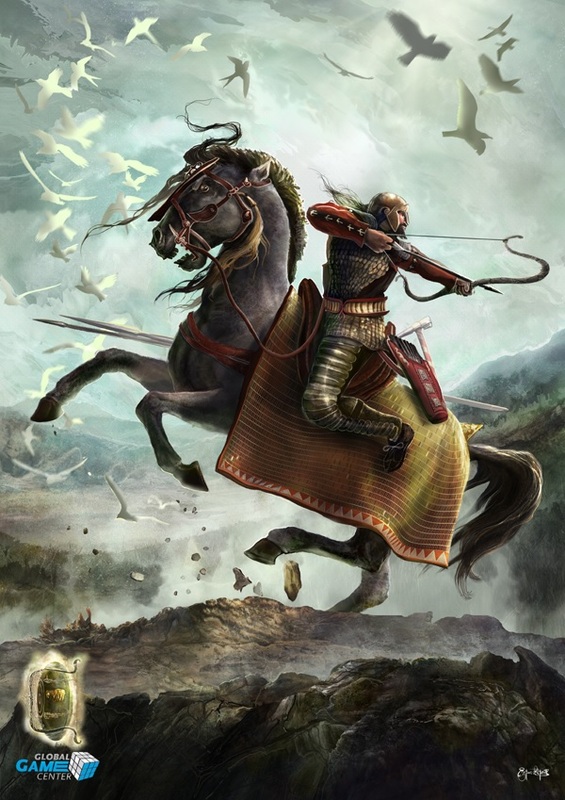 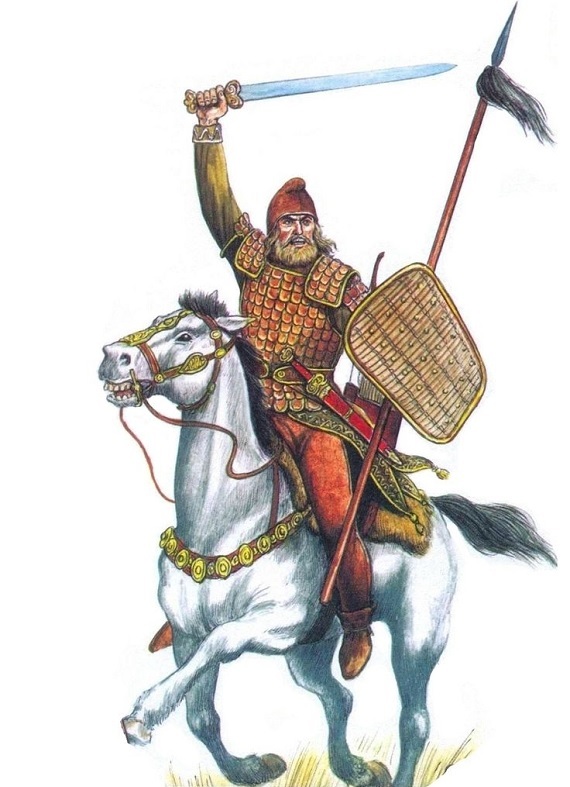 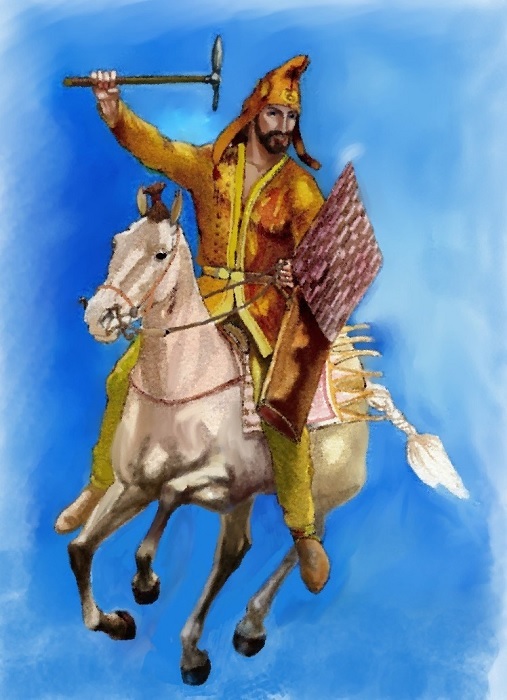 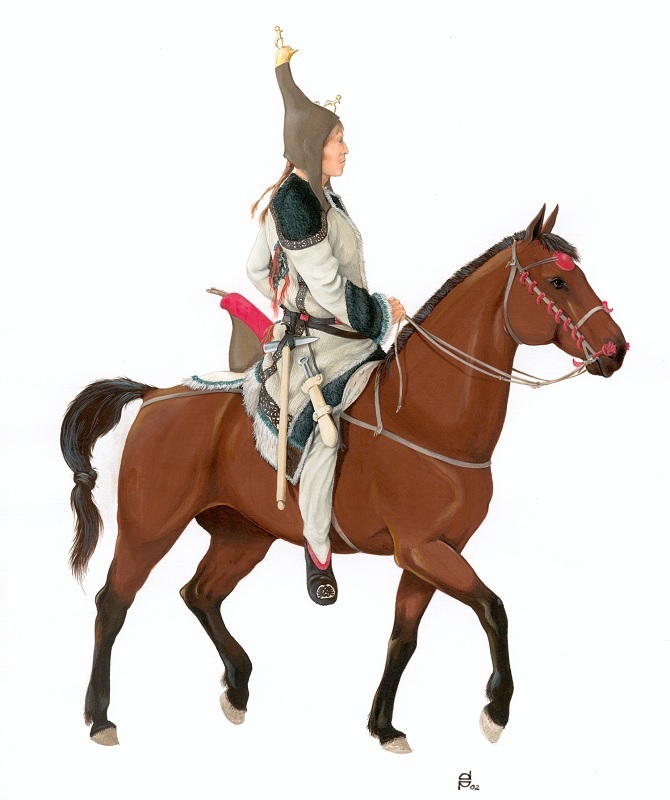 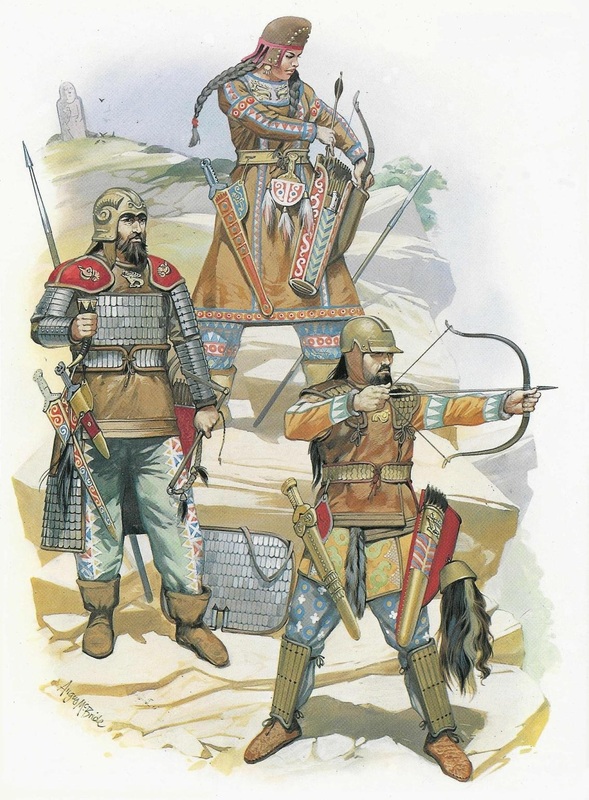 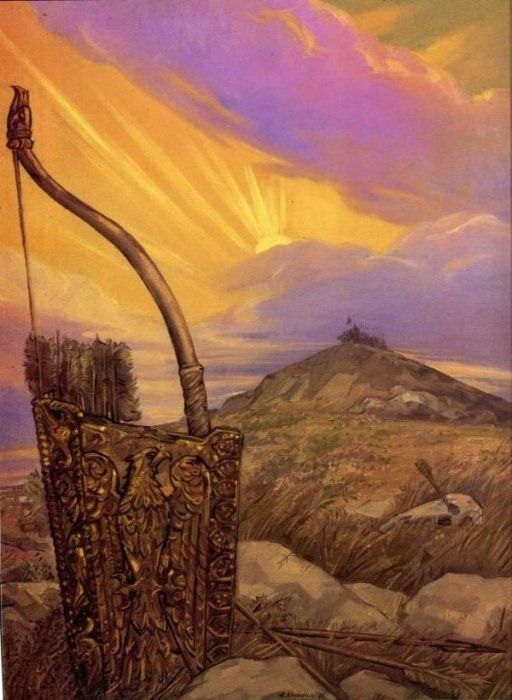 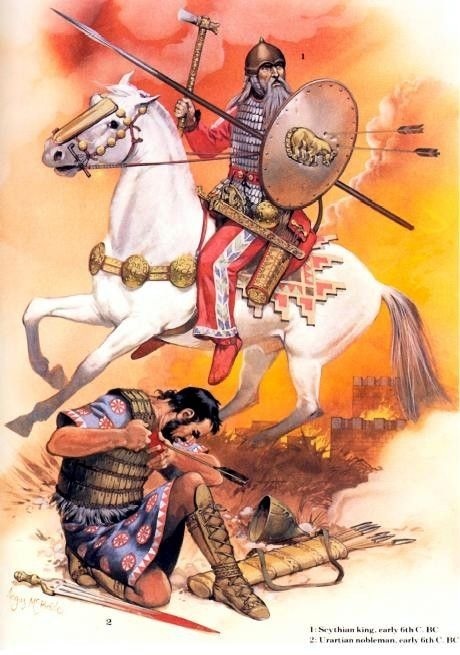 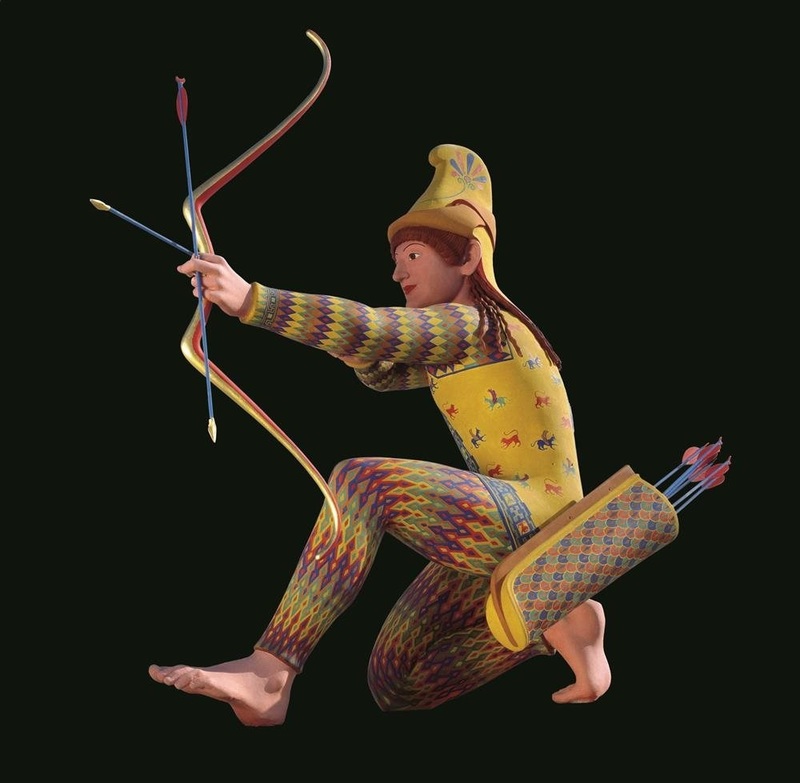 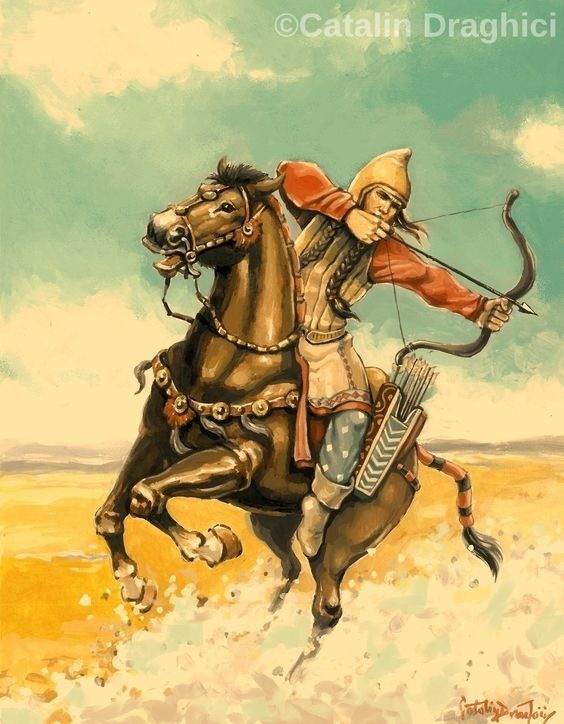 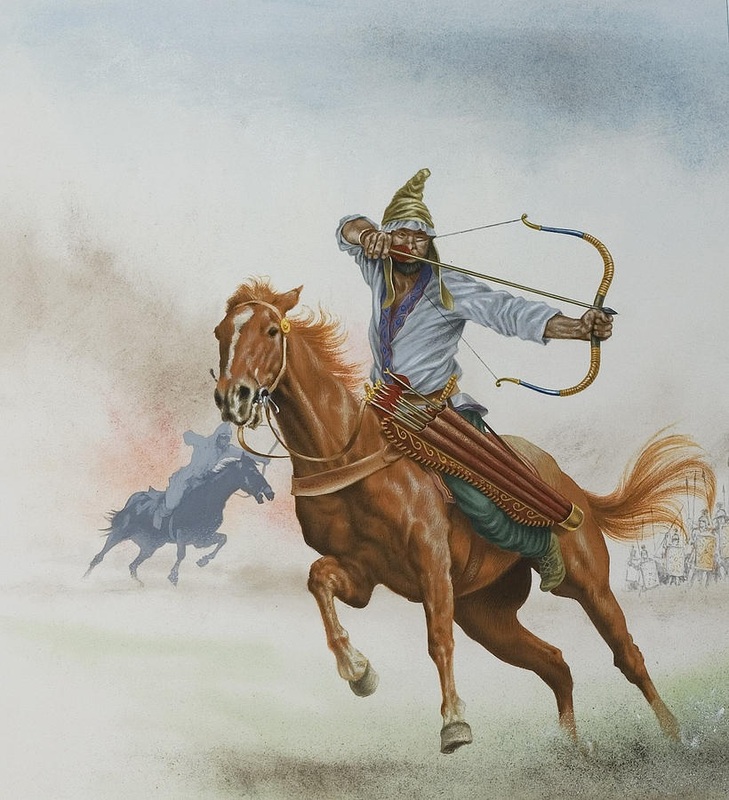 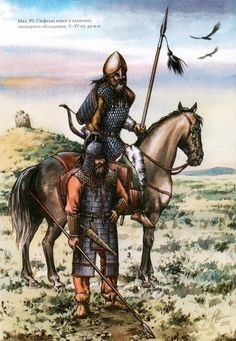 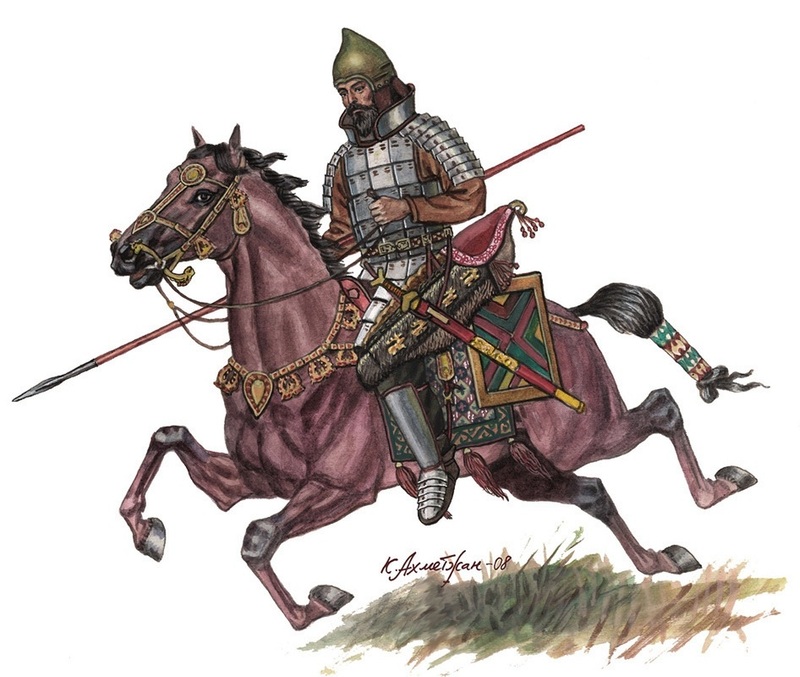 Possibly related to the Cimmerians, who ravaged Anatolia and Caucasus before them, the Scythians were a folk of expert horsemen who mastered the steppe warfare method of mounted archery. 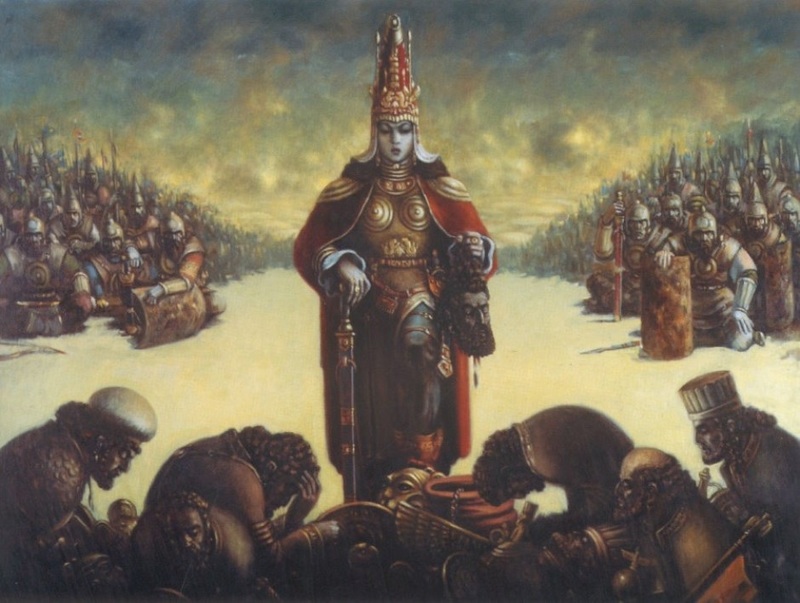 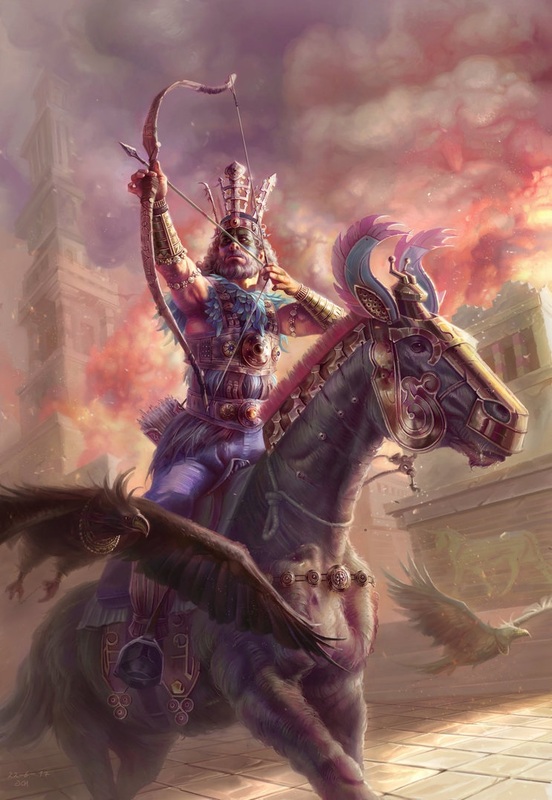 A cruel and colourful bunch given to bloody rites, they sported female warriors among their ranks and wore a distinctive headgear, which should be familiar to all 4th edition Hobgoblin collectors. 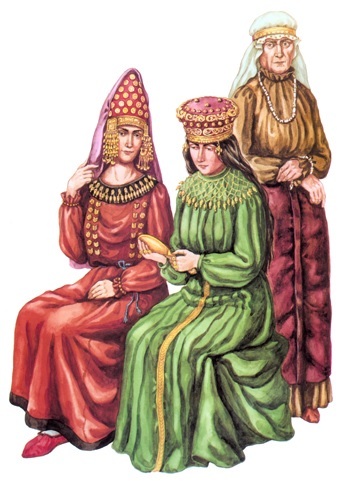 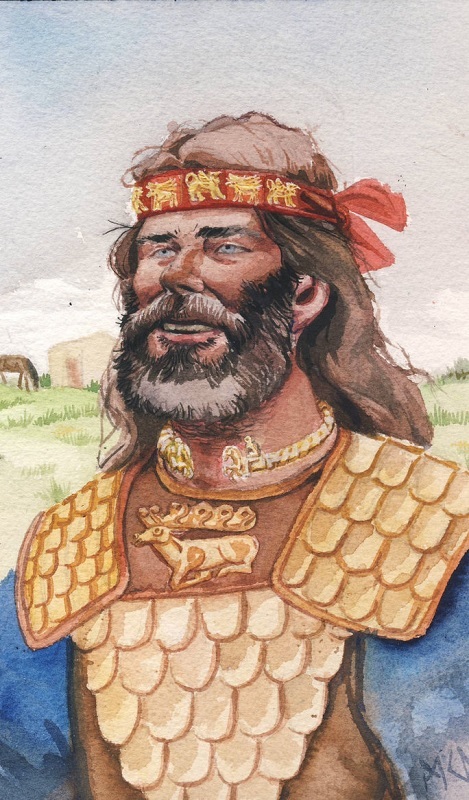 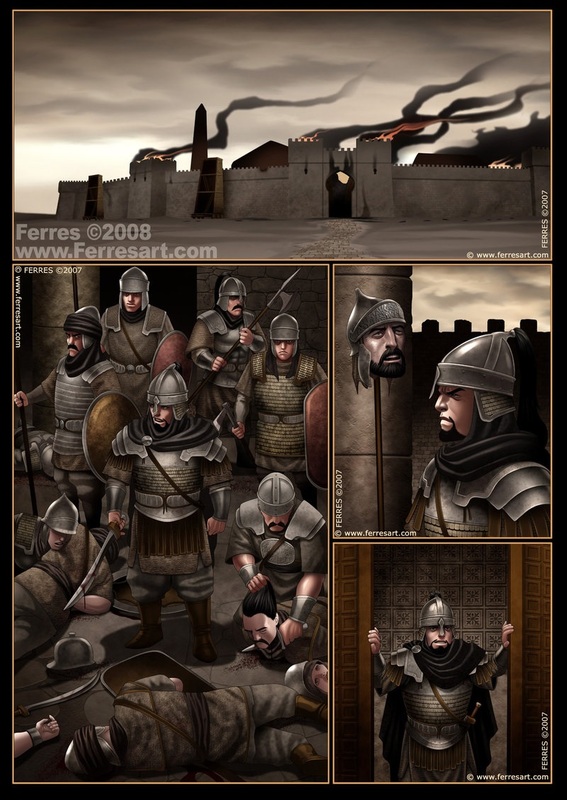 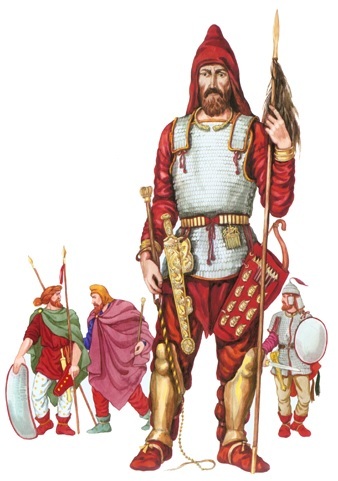 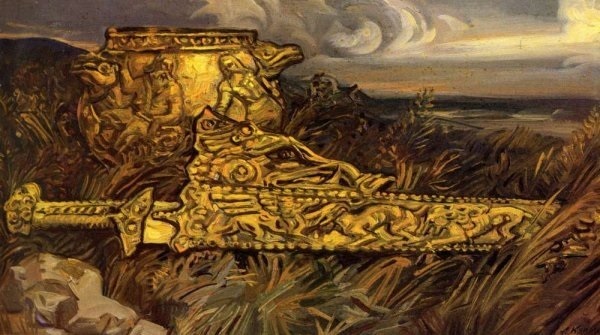 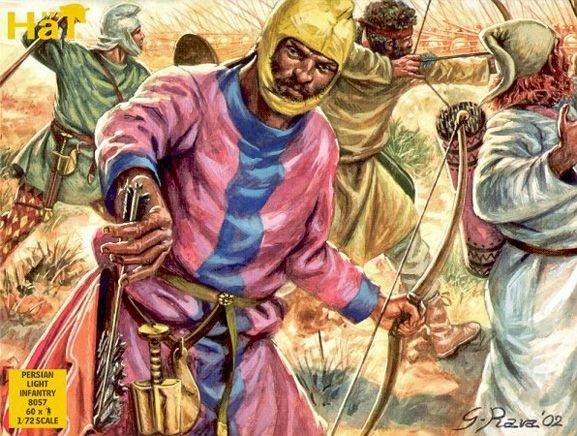 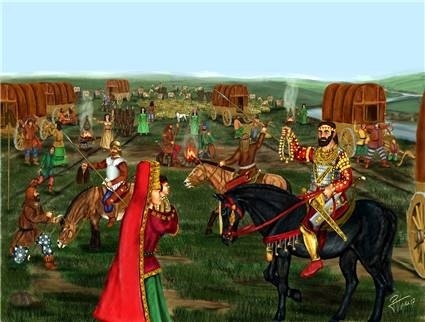 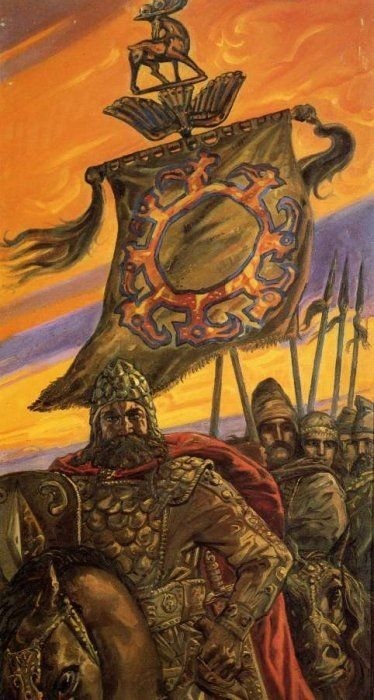 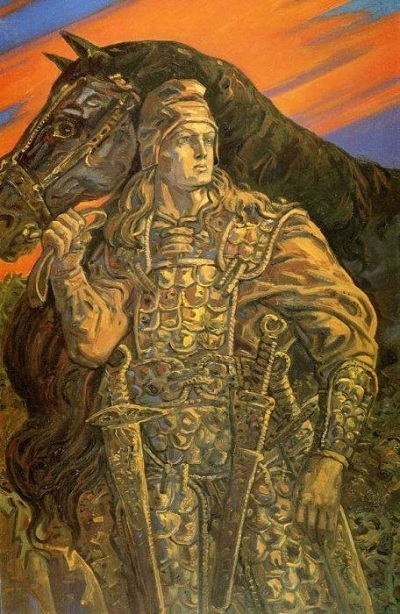 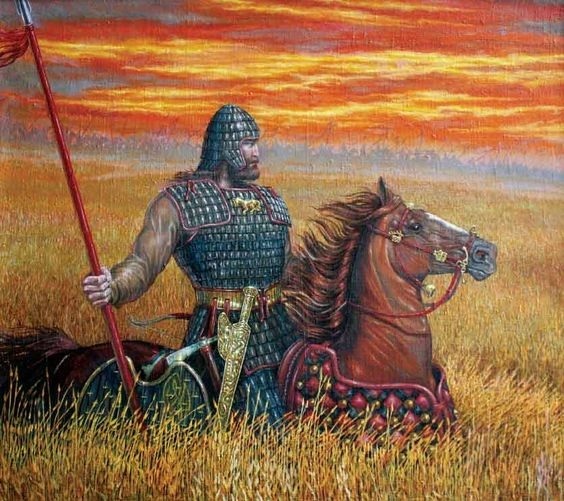 The Scythians played an important role in the wars of the Assyrian empire, often fighting as allies and mercenaries for the Assyrians yet being partially responsible for this great empire's downfall when they allied with Babylon, crushed the armies of Assyria and took part in laying waste to her cities. 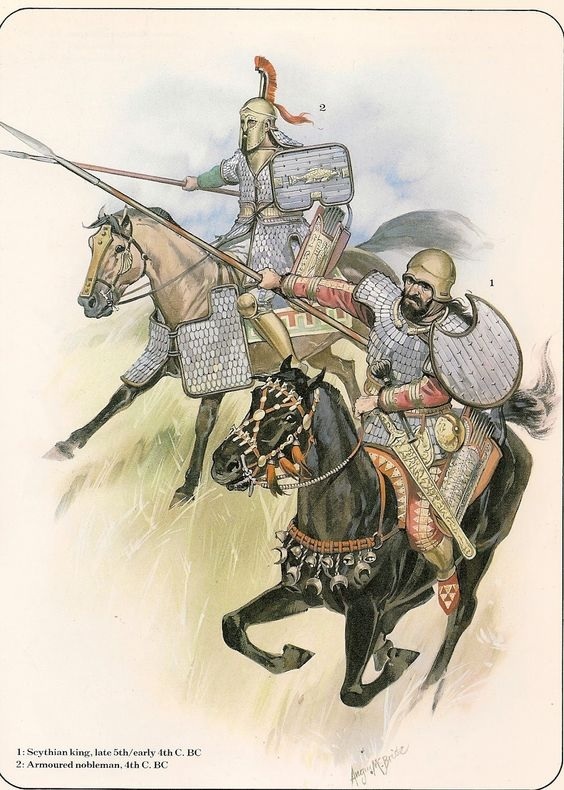 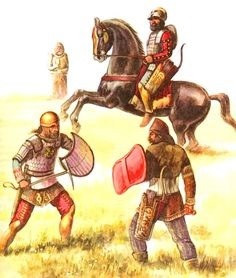 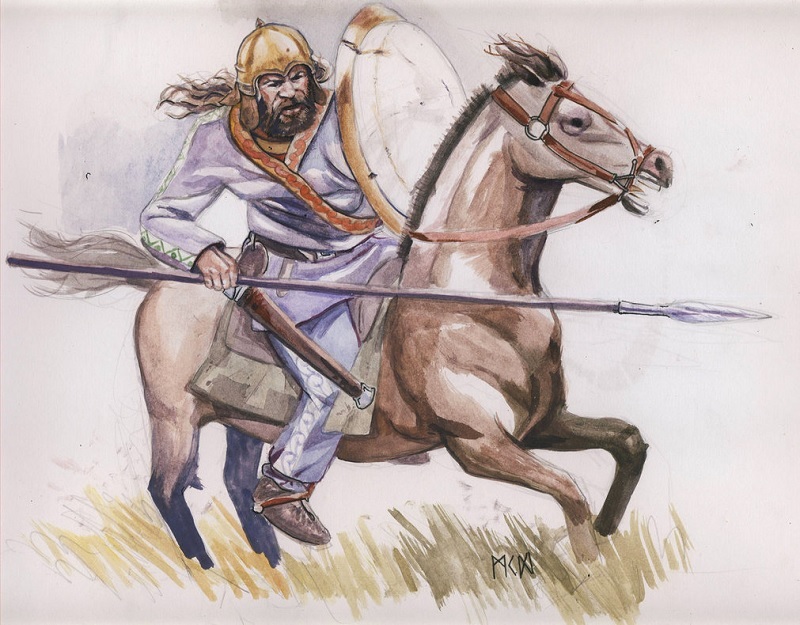 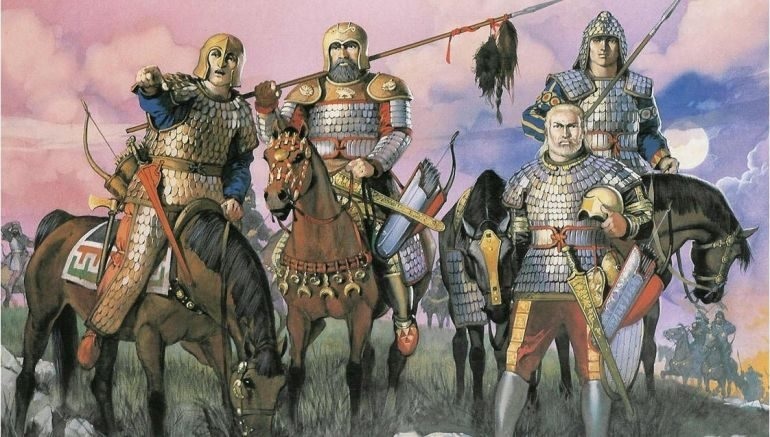 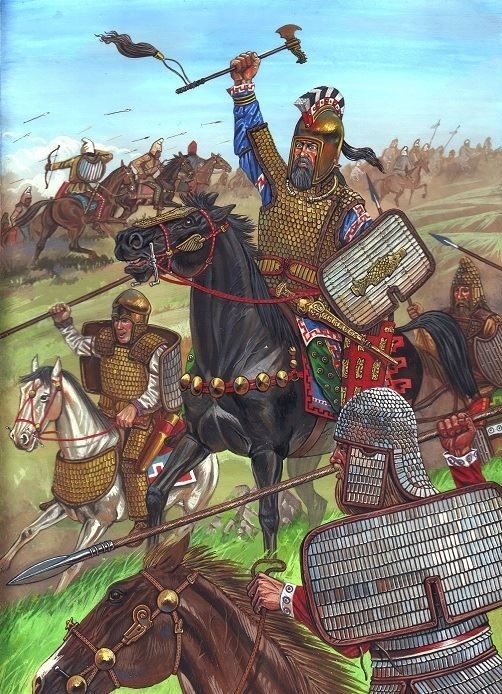 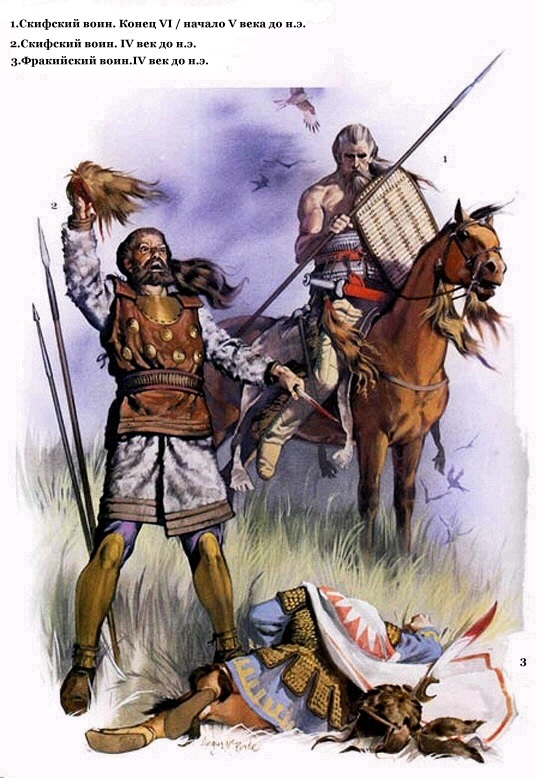 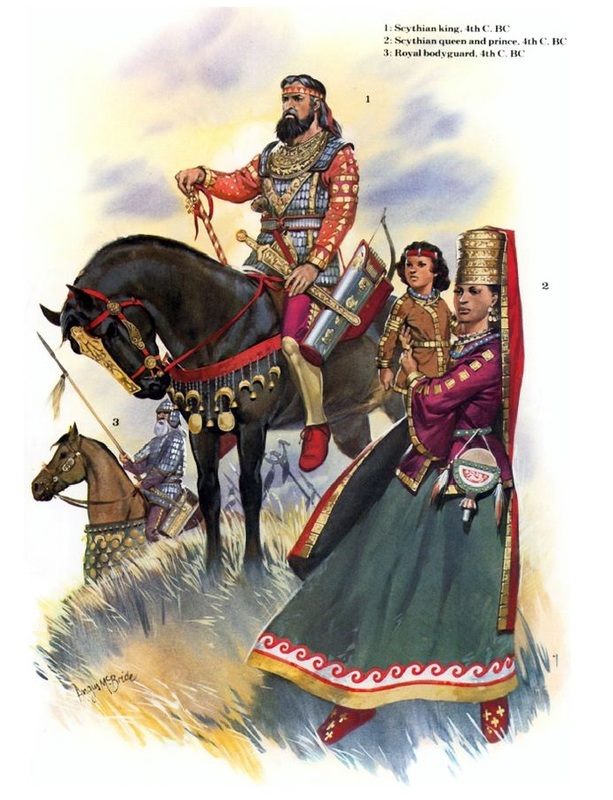 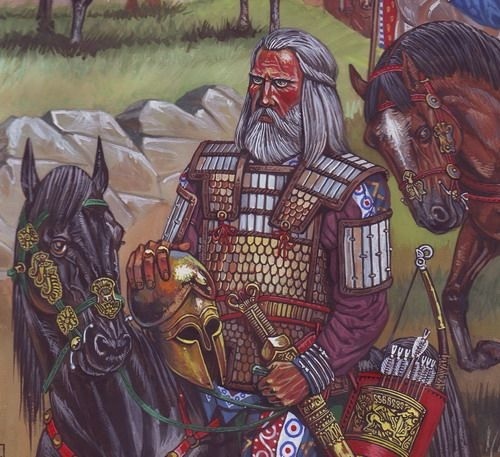 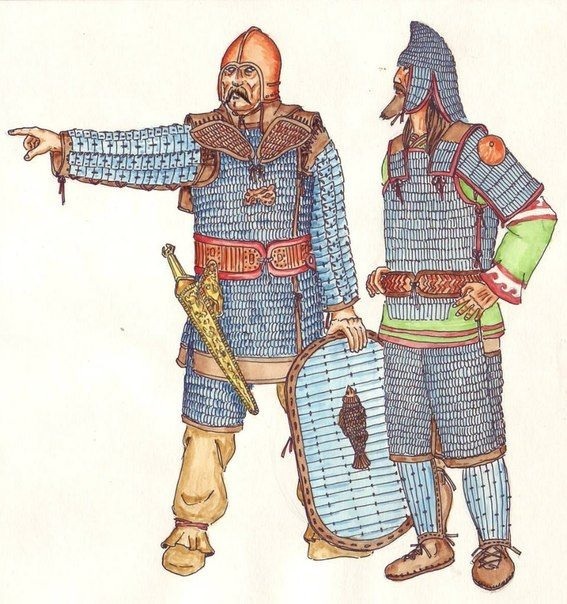 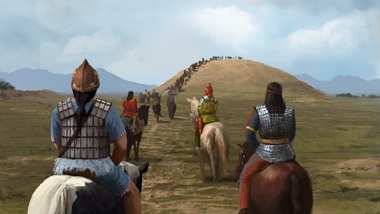 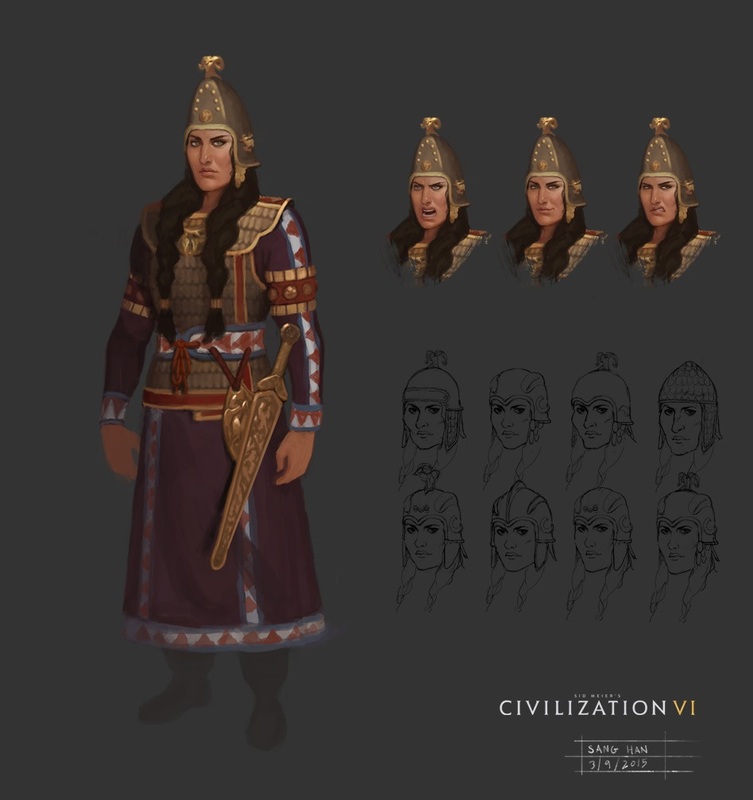 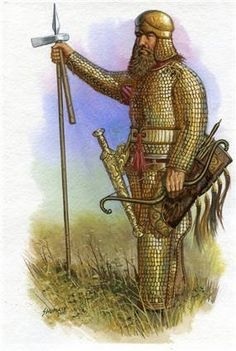 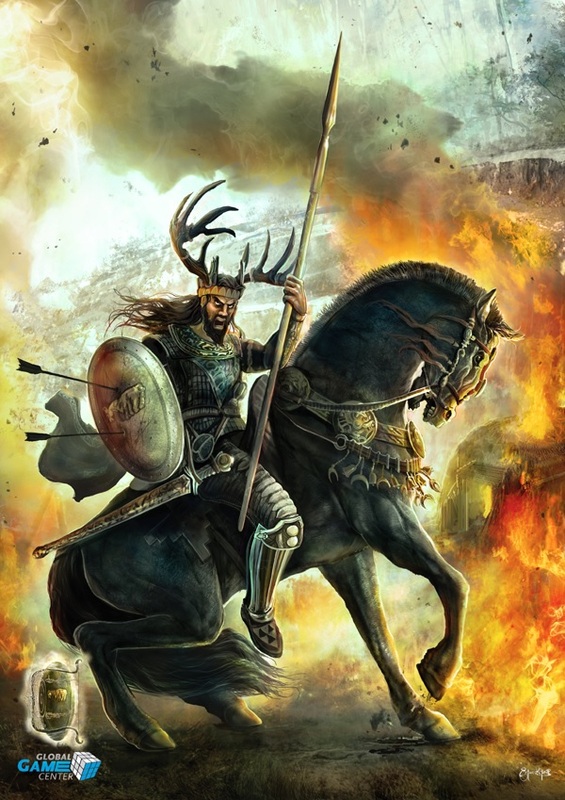 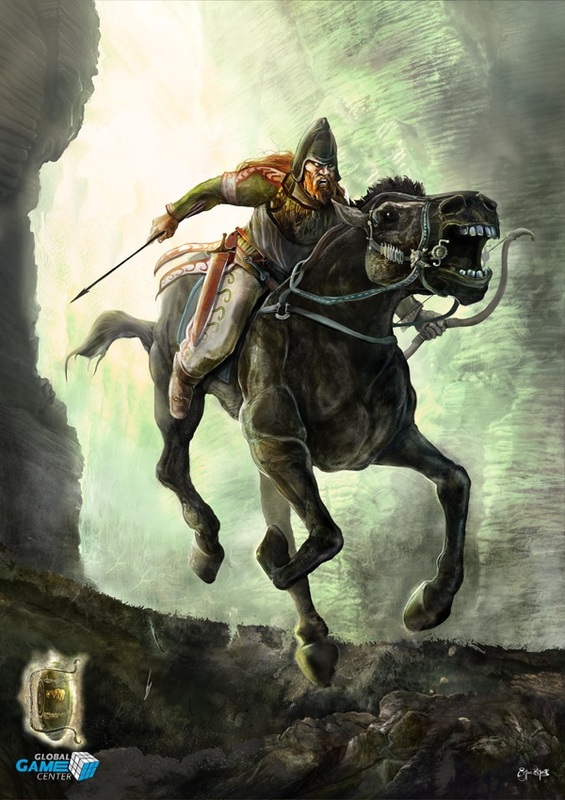 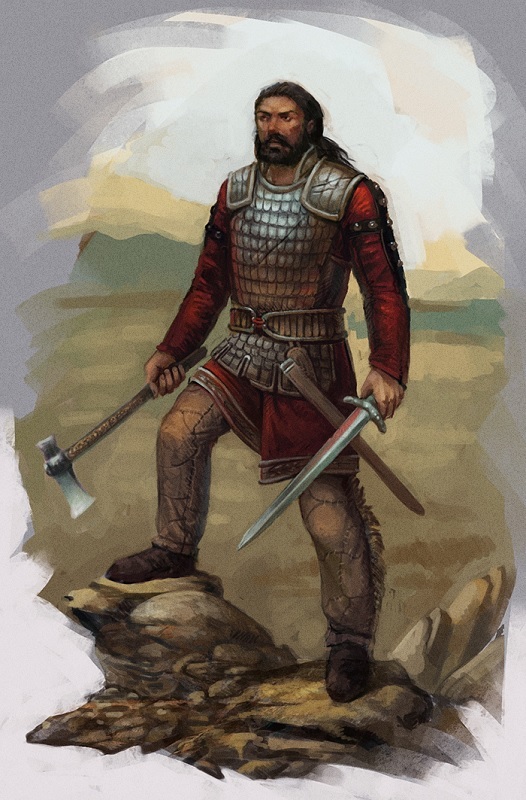 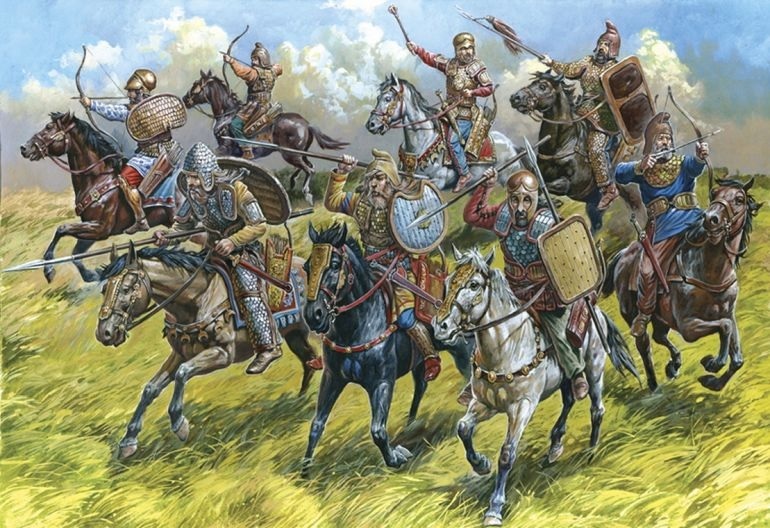 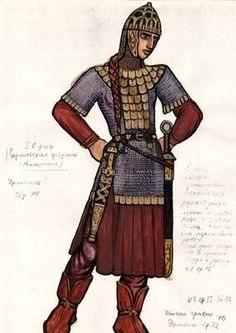 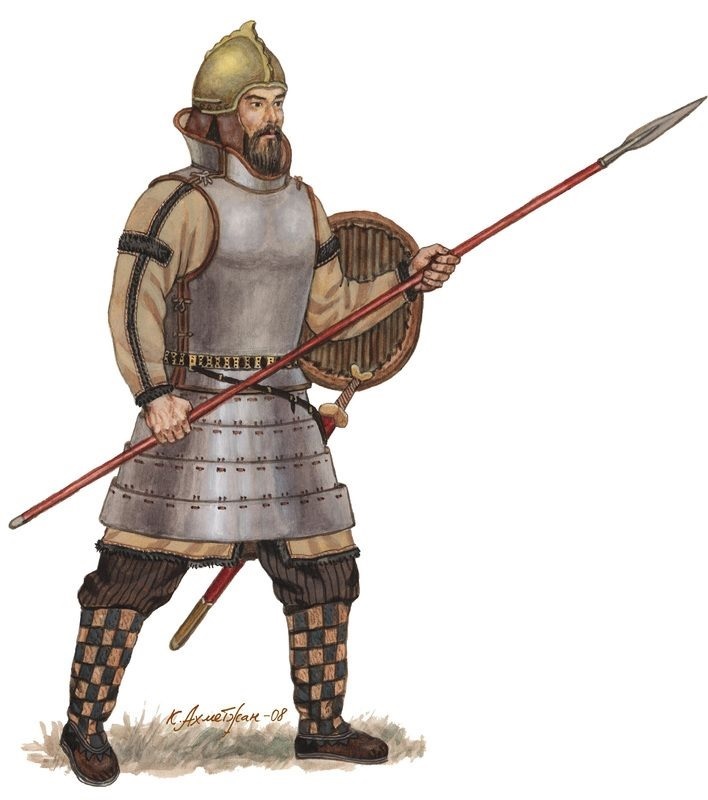 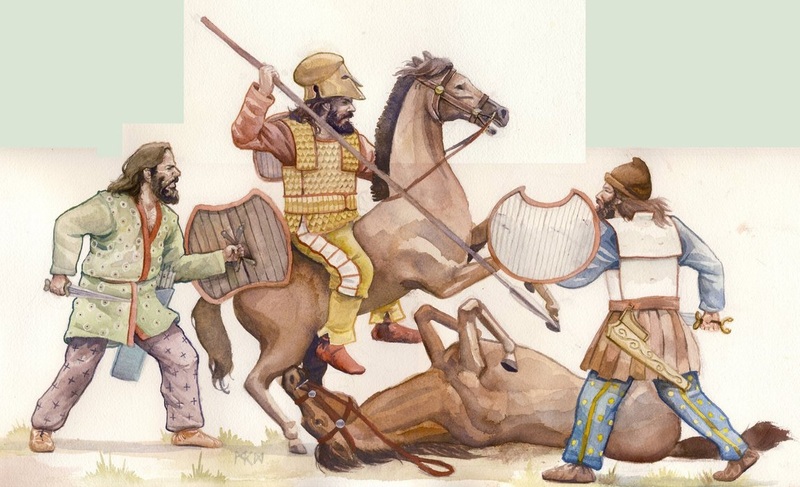 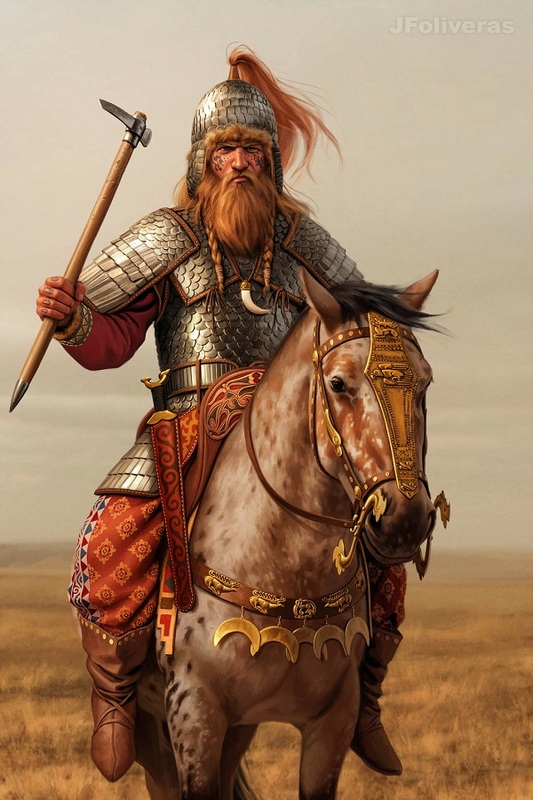 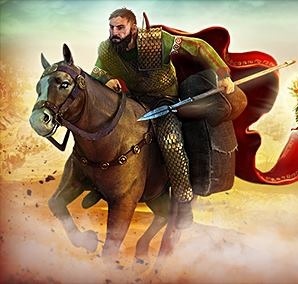 Scythians were mercenaries in Persian and Greek armies alike, and were the elusive target for an Achaemenid Persian invasion, which failed to catch and defeat the swift riders in the field yet destroyed great kurgans (burial mounds) of Scythian kings. 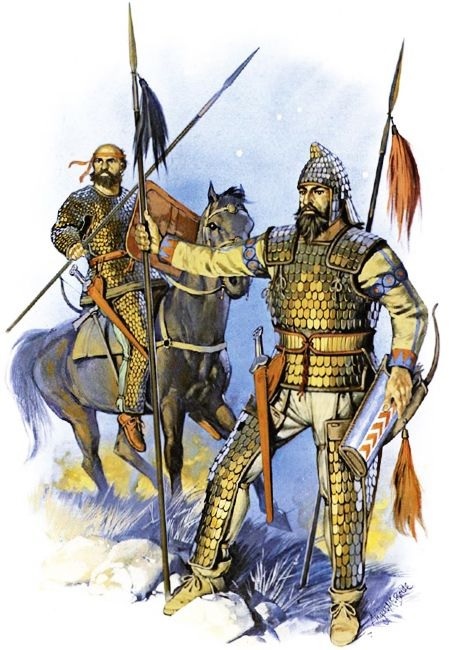 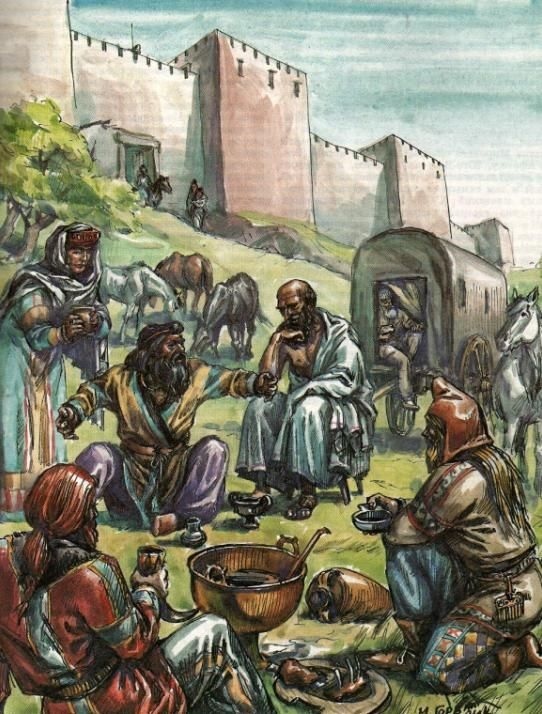 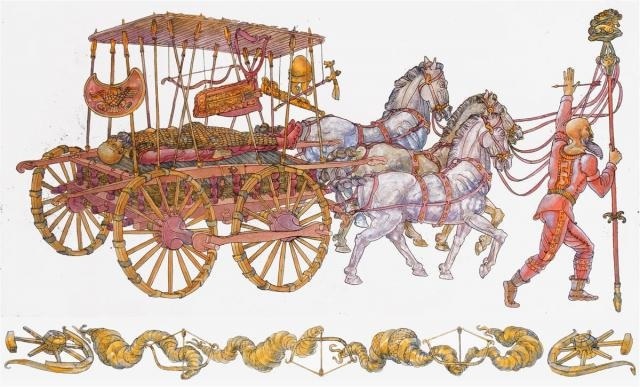 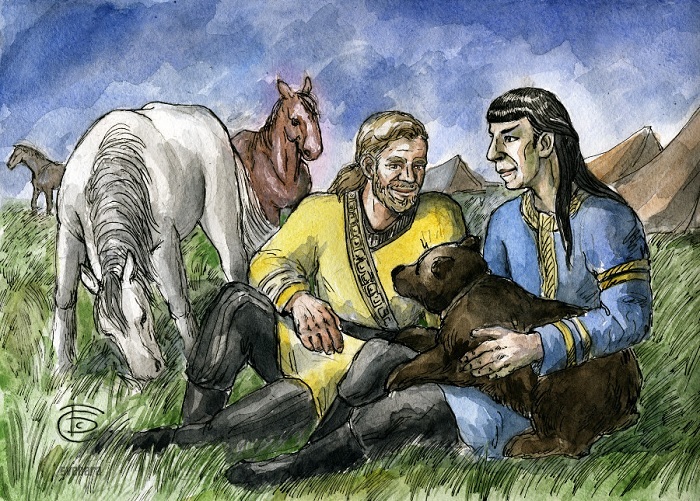 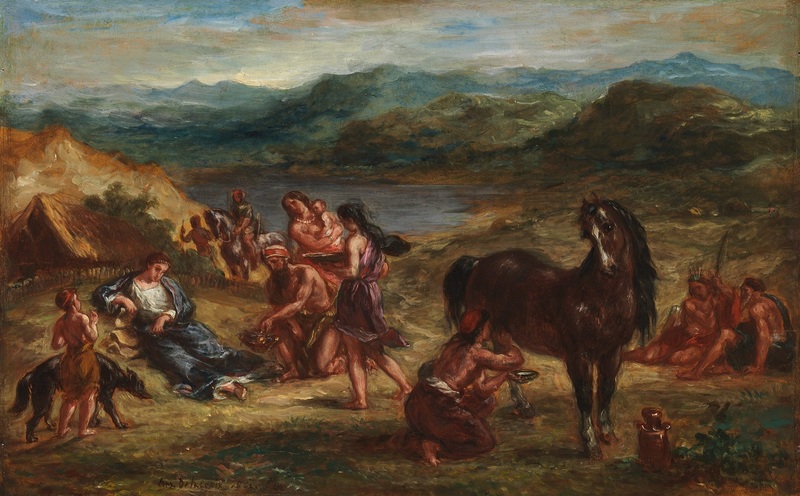 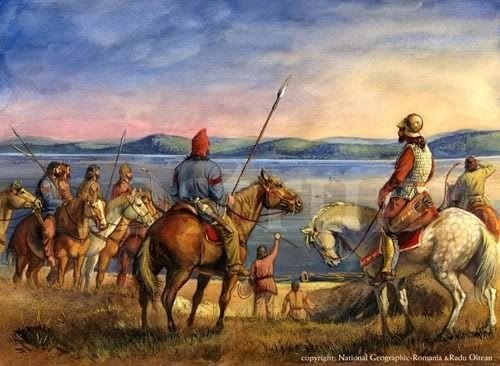 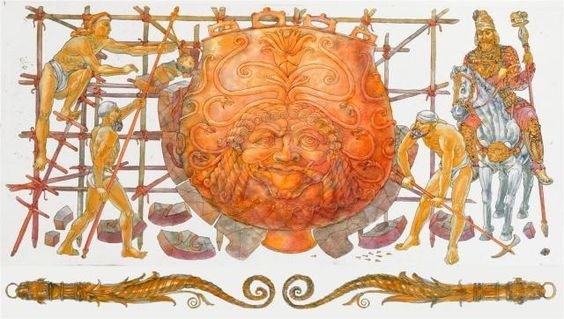 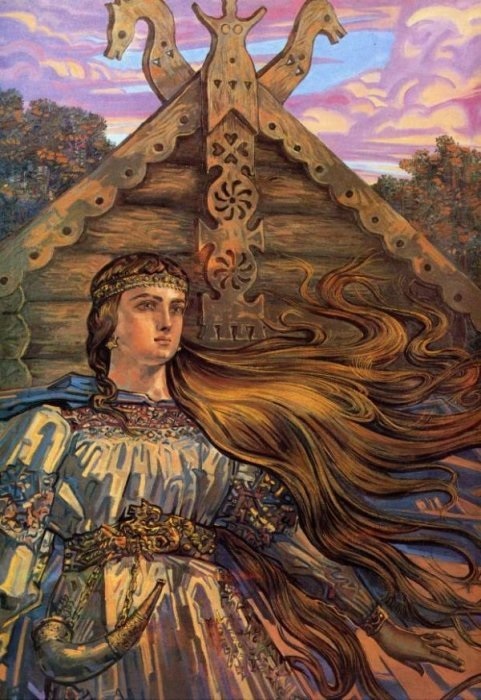 The Scythians were the overlords of the steppes for centuries, and exacted tribute from settled tribes, particularly grain which were sold on to Greek colonies in the Crimea and exported to hungry ancient Greece. 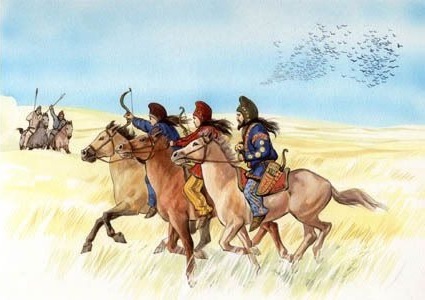 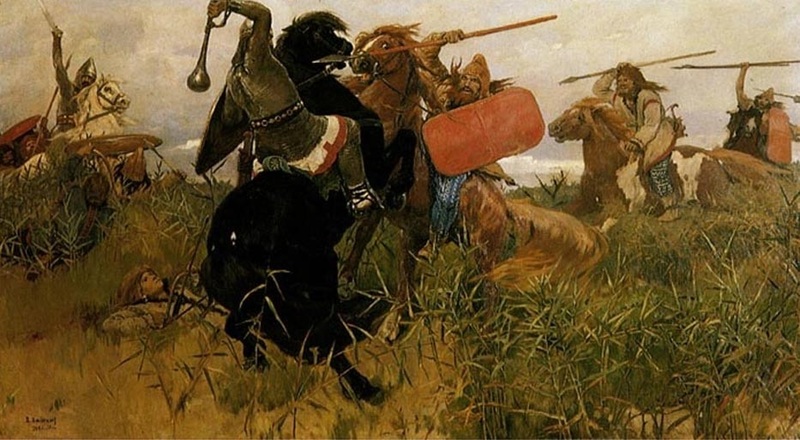 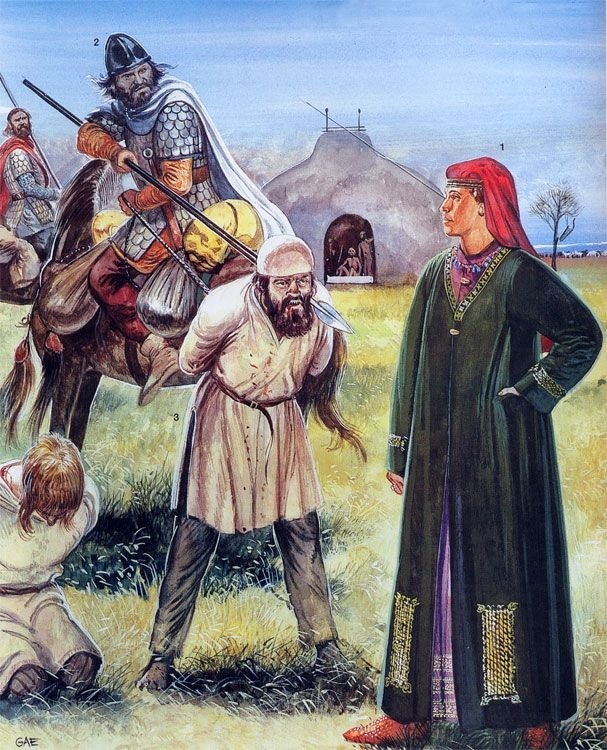 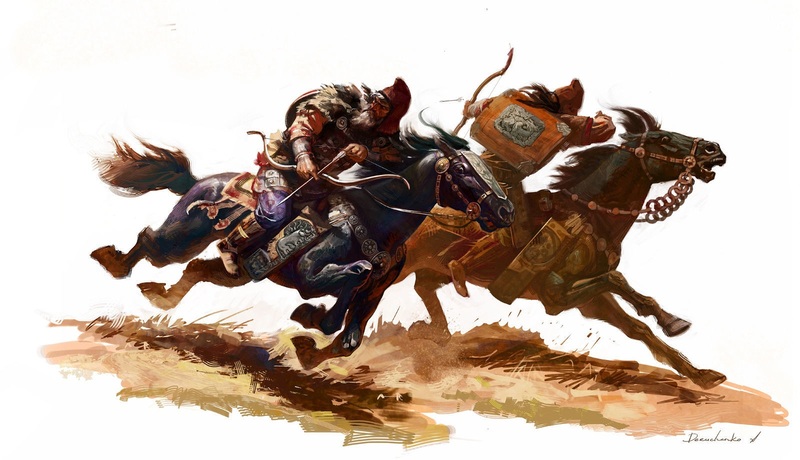 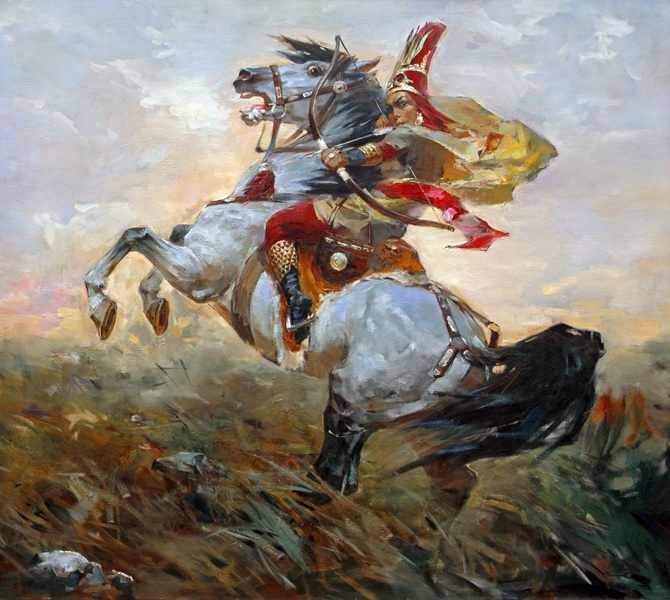 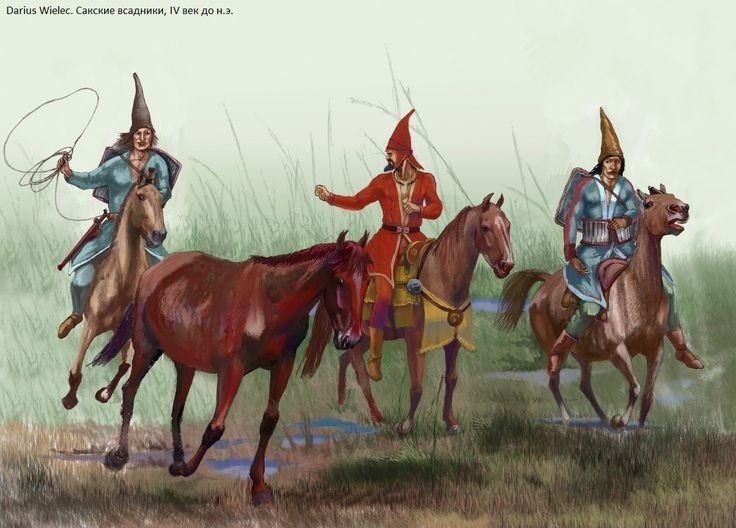 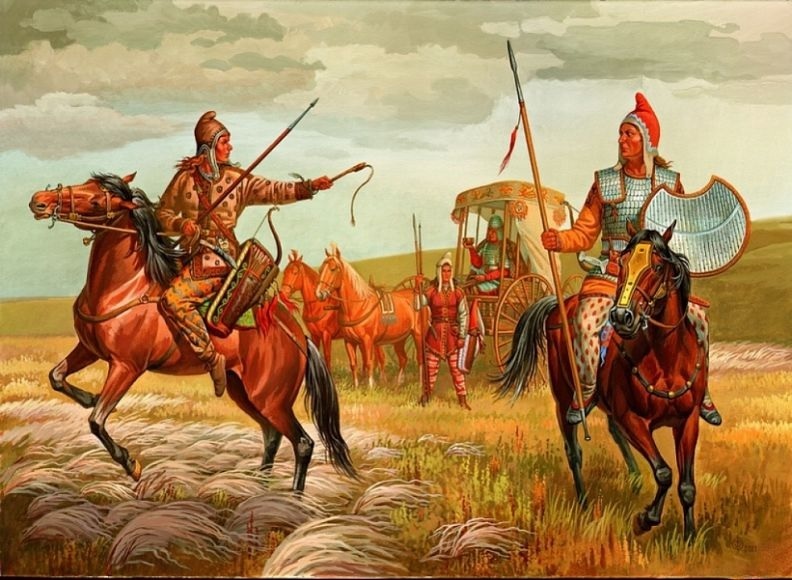 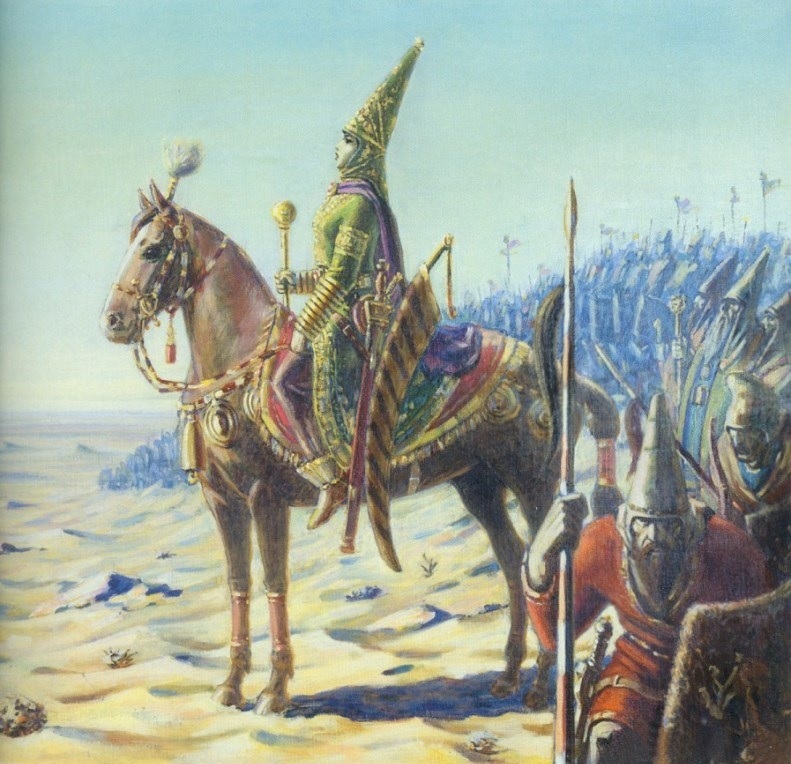 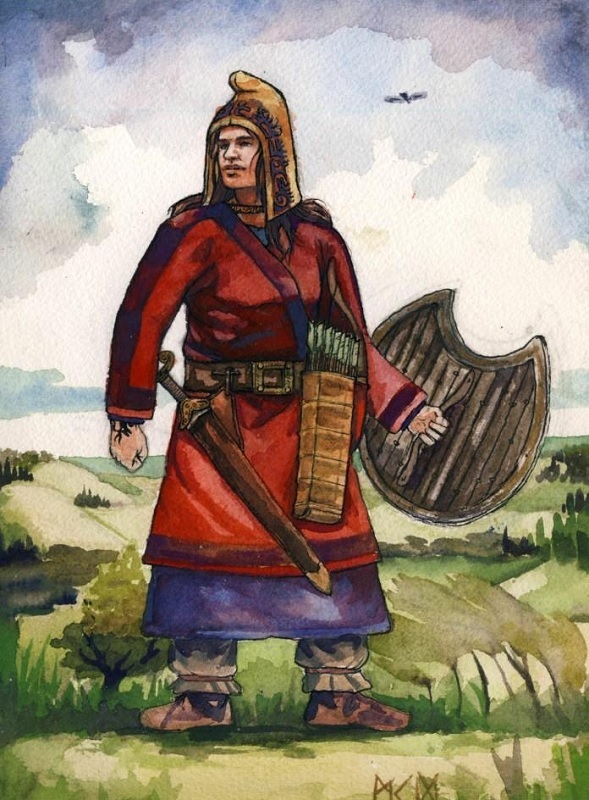 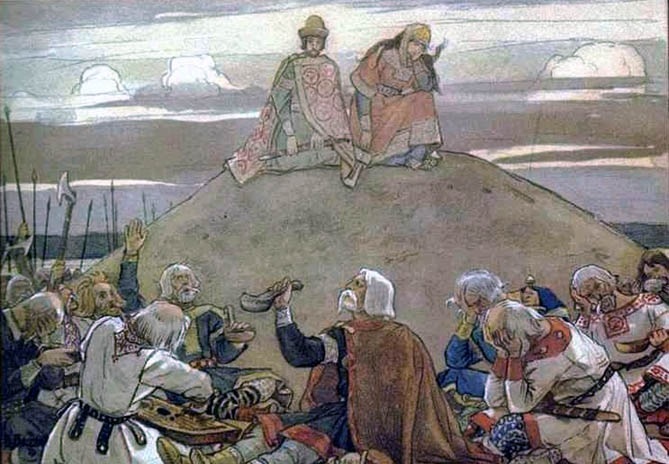 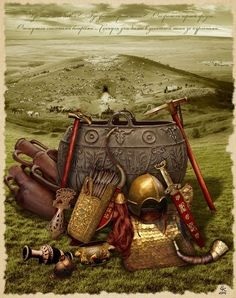 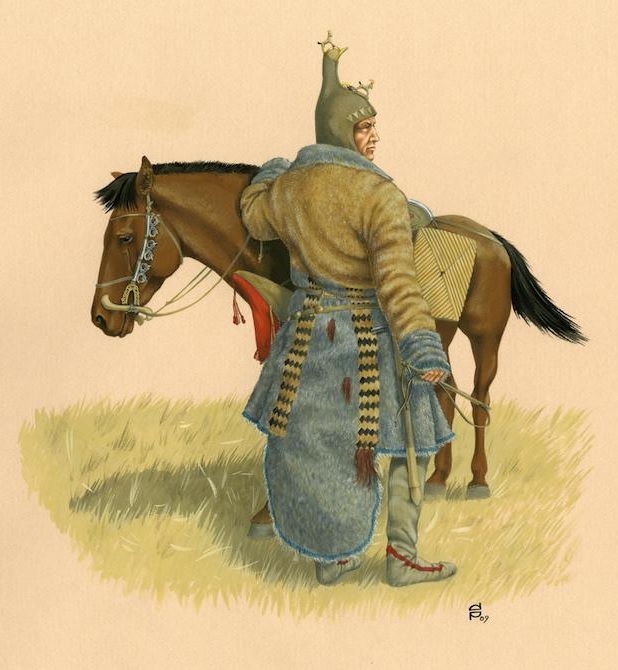 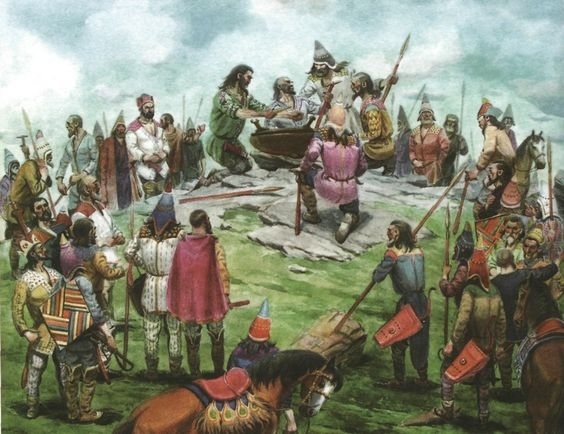 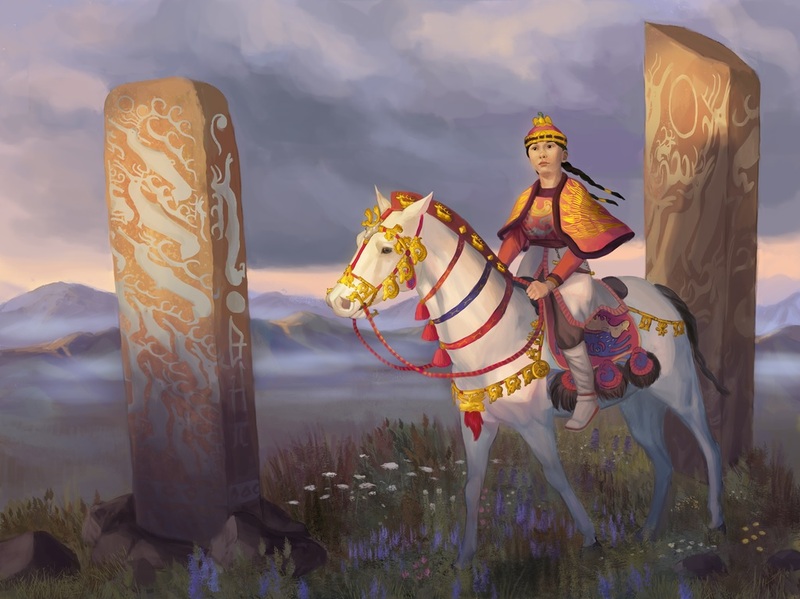 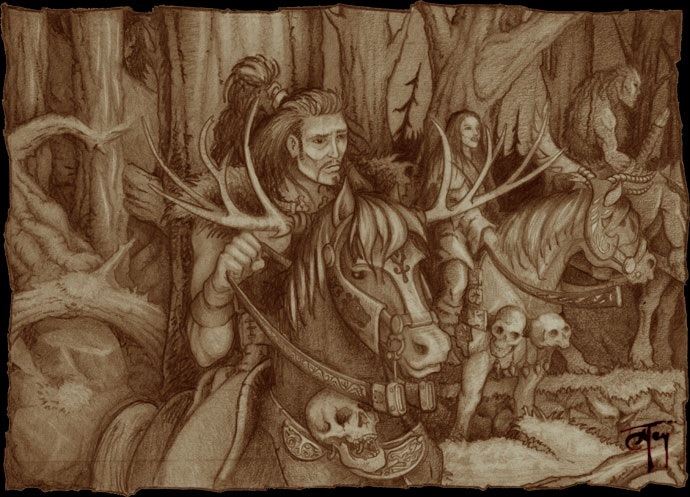 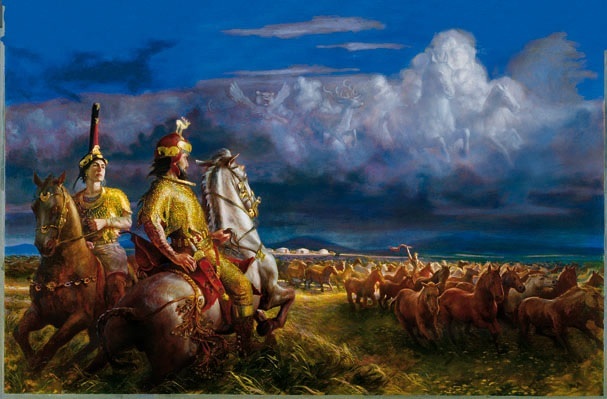 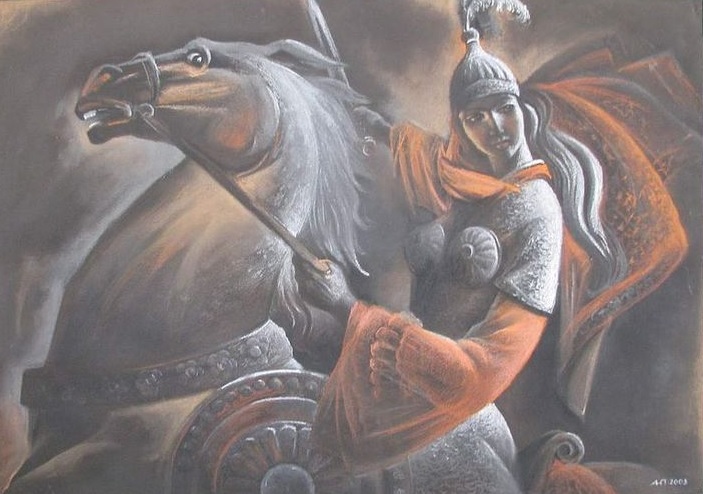 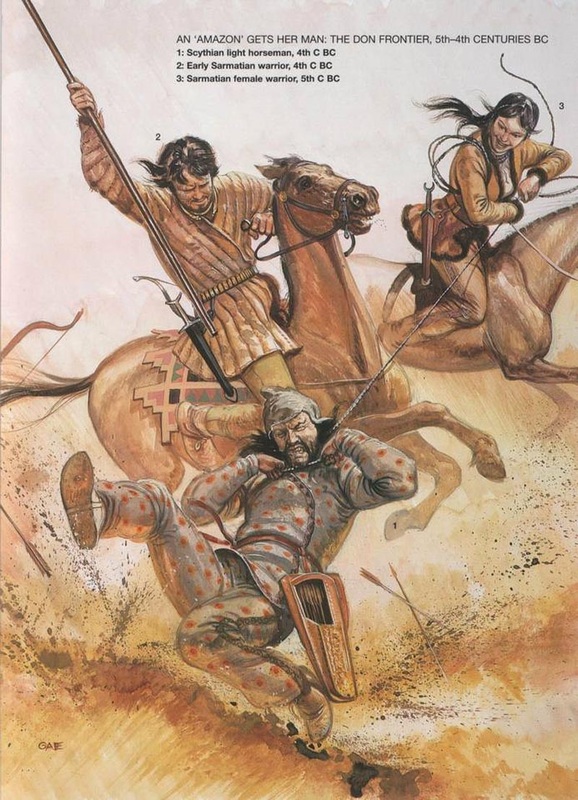 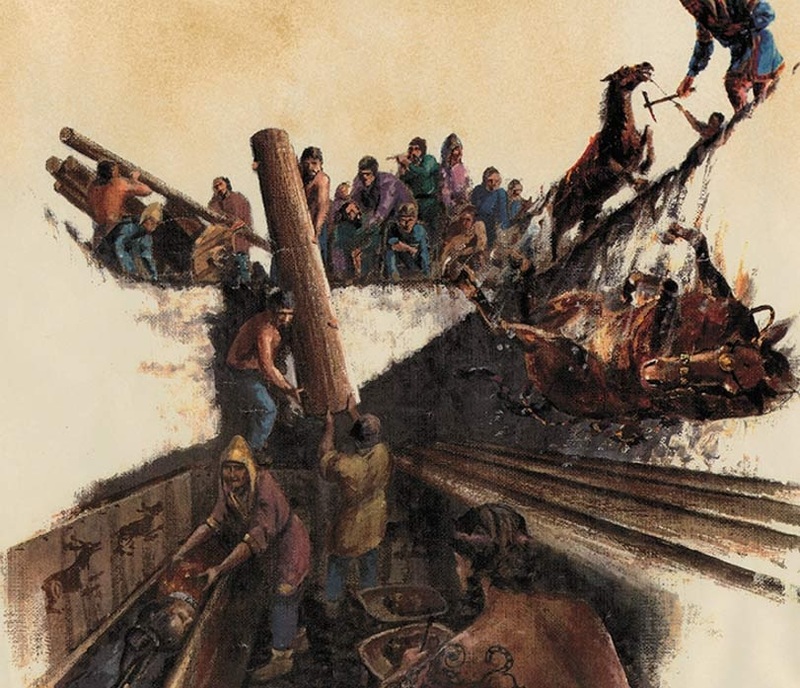 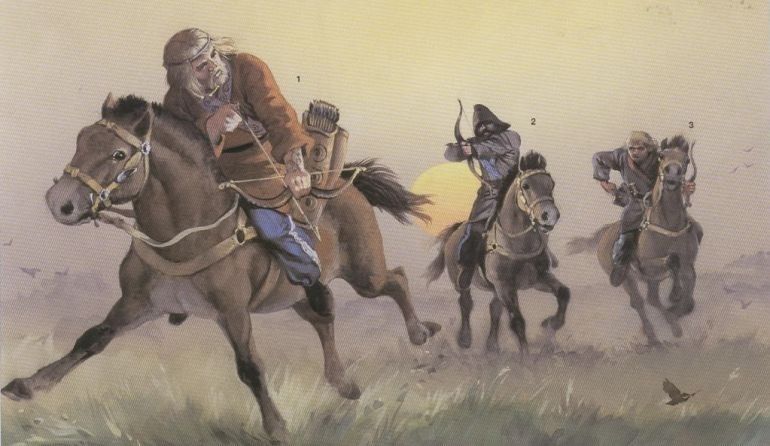 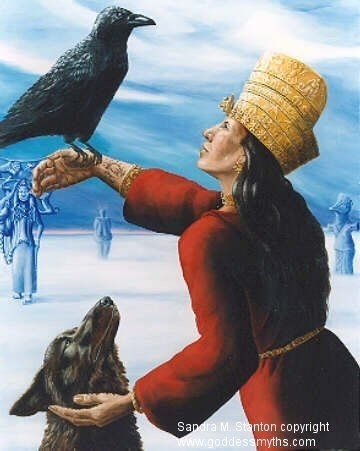 Like all steppe nomads, they fell for other mounted tribes, even more dangerous and better armed than the preceding ones, and the ferocious Scythians disappeared into the roiling mists of history. 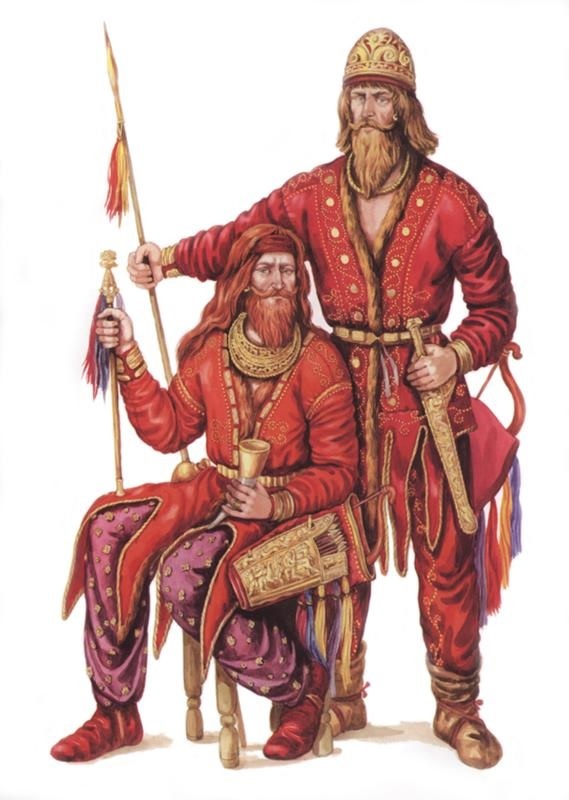 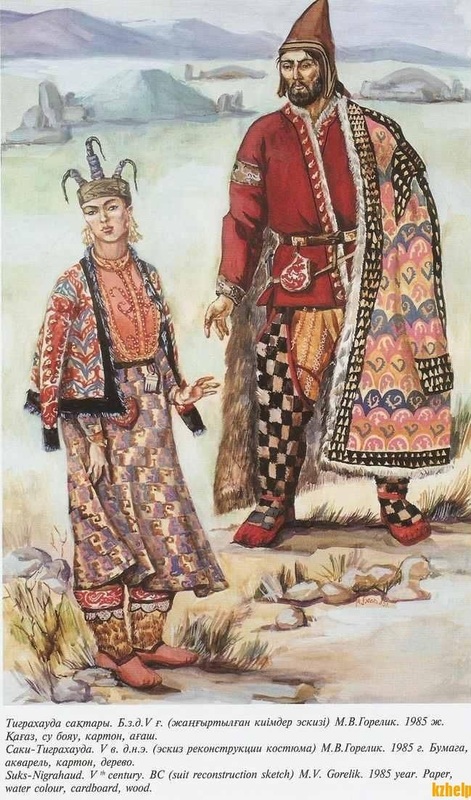 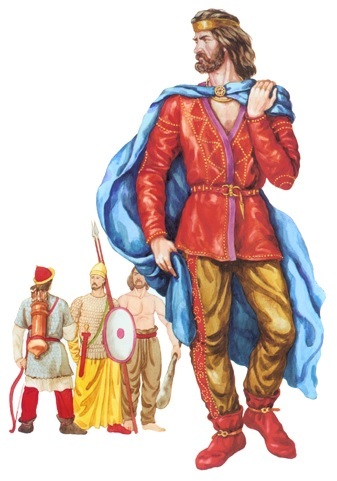 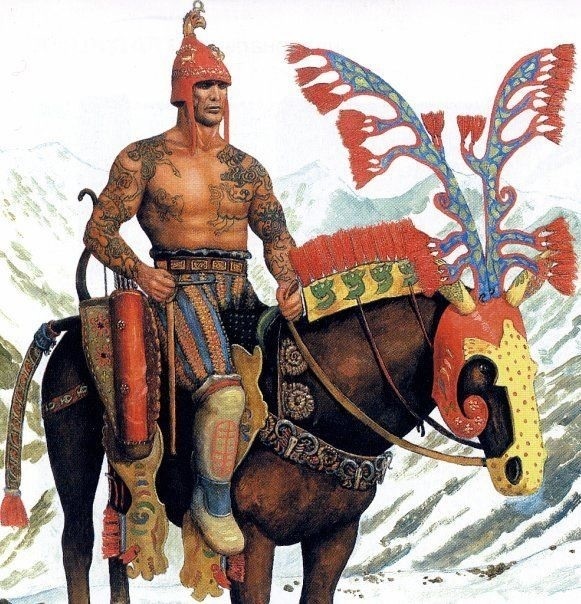 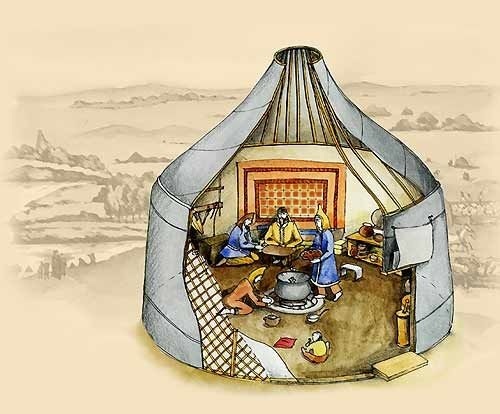 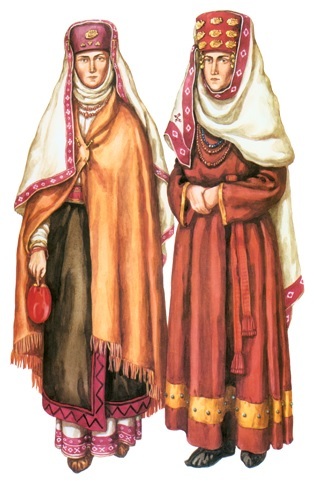 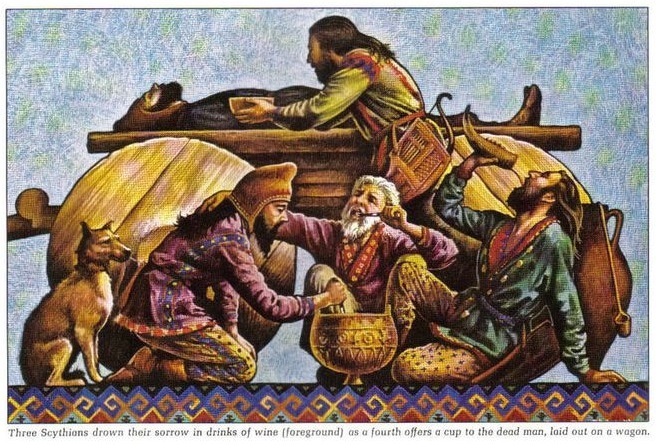 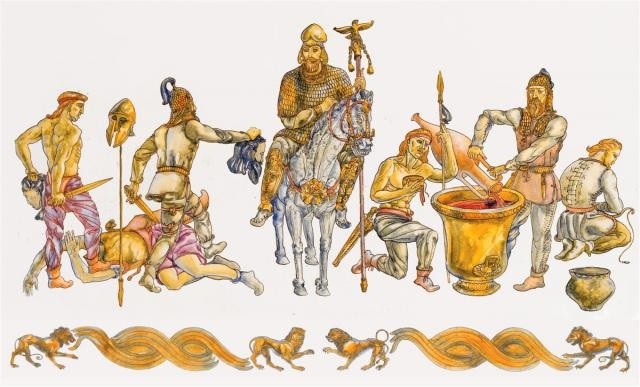 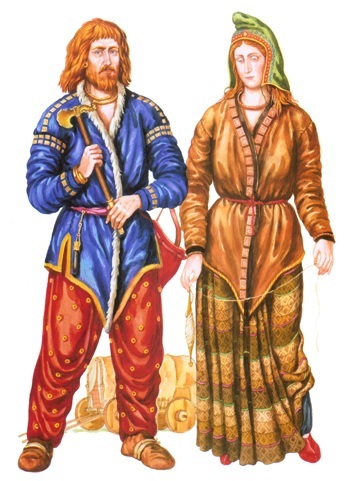 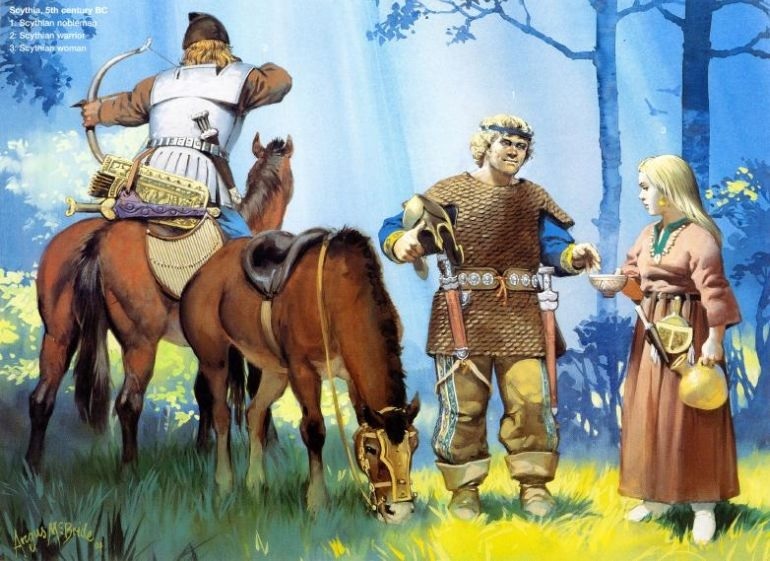 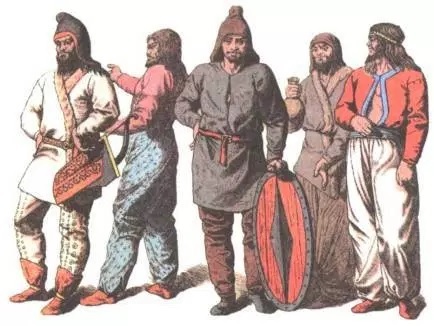 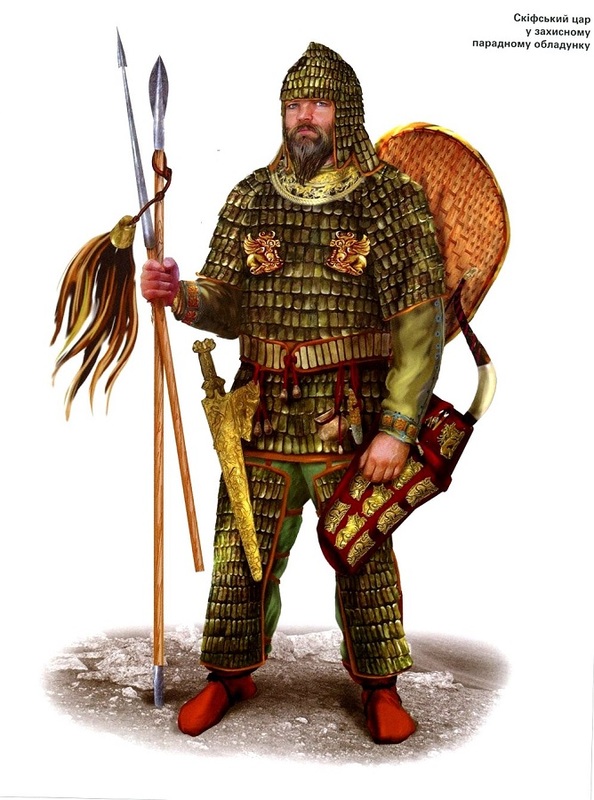 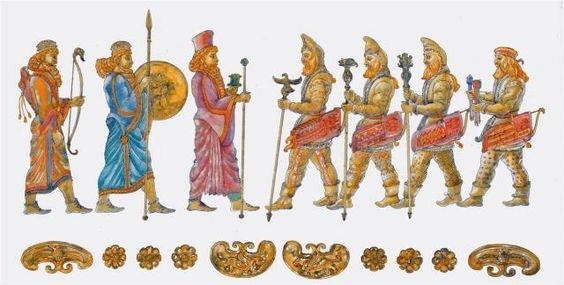 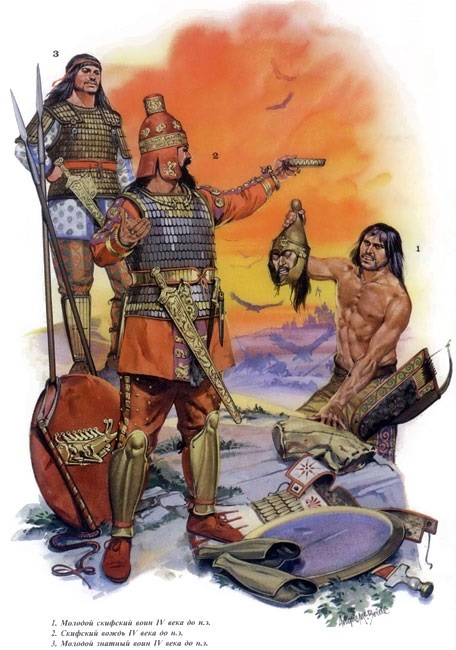 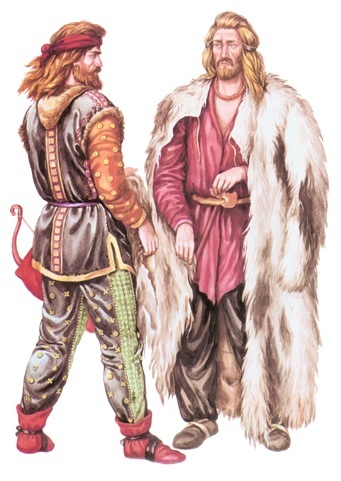 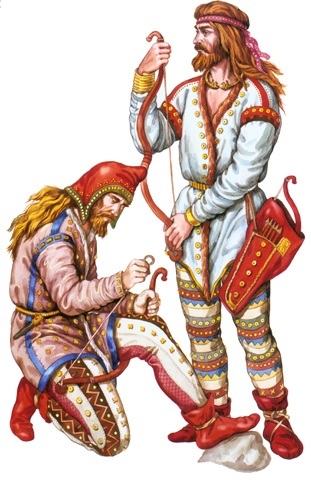 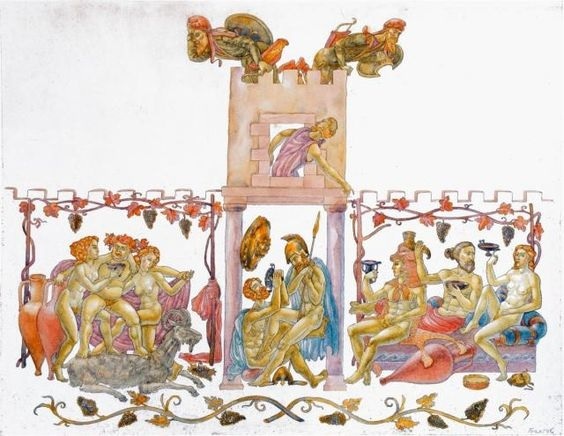 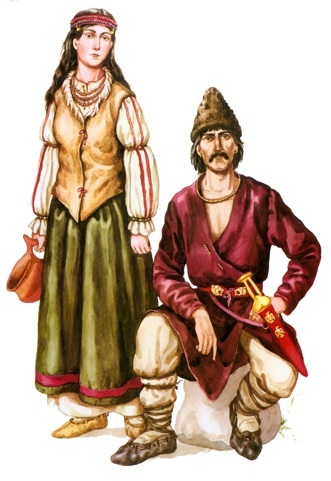 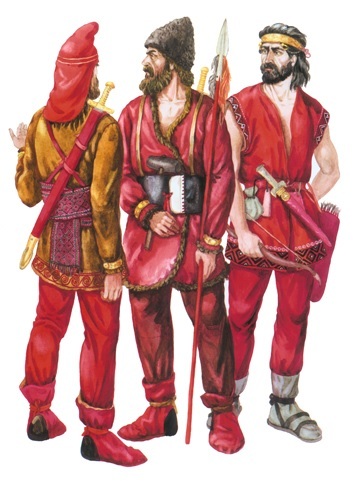 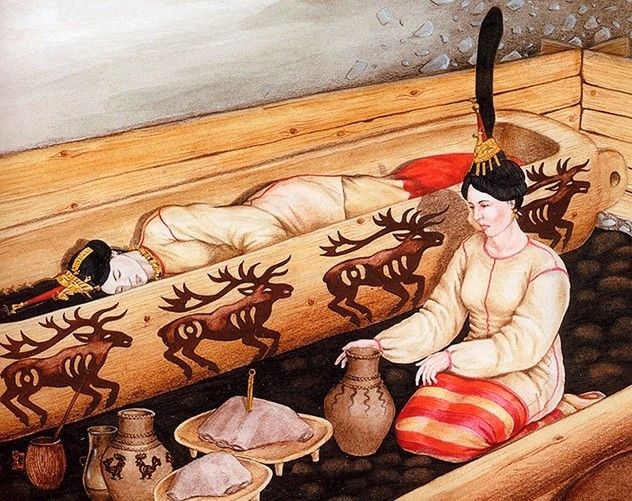 Infamous for making drinking cups out of the skulls of their foes, the Scythians truly stood at the pinnacle of savagery, as should be evident to all civilized peoples who know how to dress decently: The Scythians were trouser-bearers! 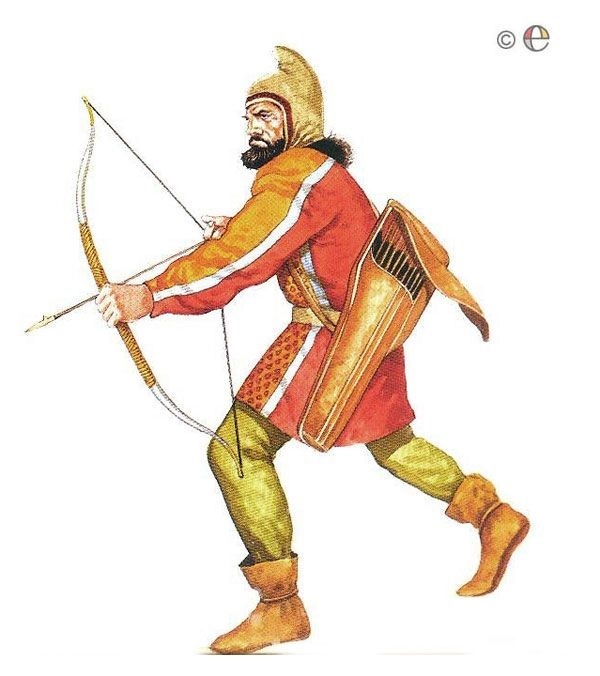 Not even Warhammer's treacherous Hobgoblins sport pants, for there are depths of barbarity to which not even the filthiest scum will stoop. 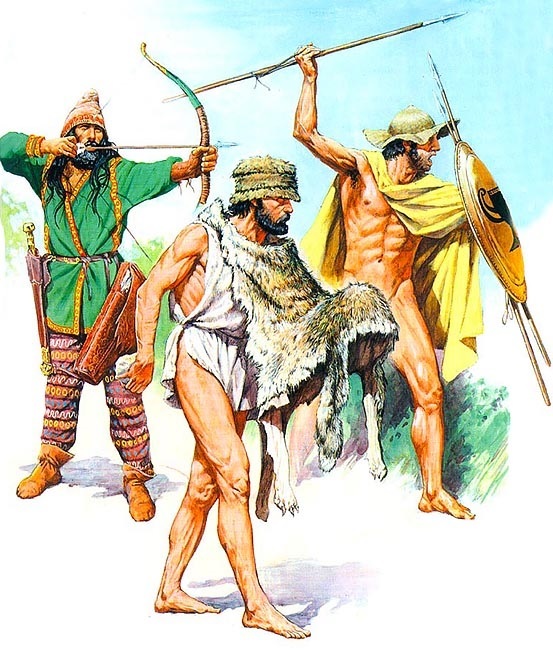 Yet the Scythians did so, putting on one leg at a time in wild disregard for modesty. 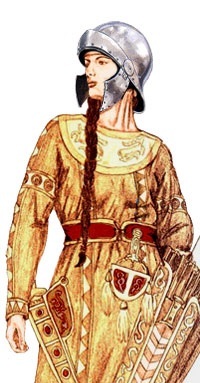 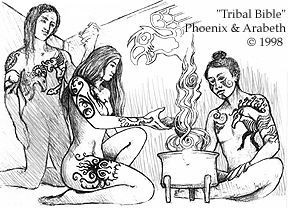 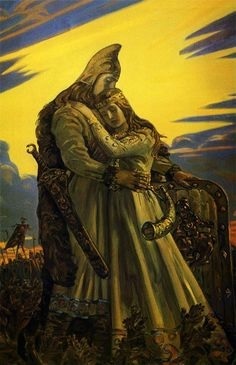 Last edited by Karak Norn Clansman on Fri Mar 08, 2019 12:56 pm, edited 2 times in total. 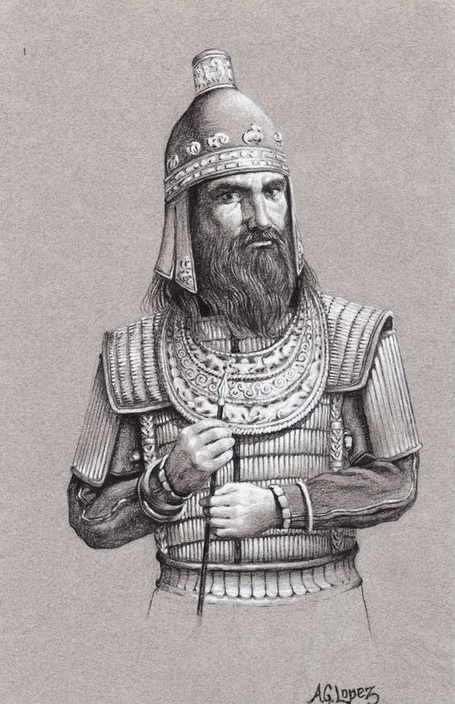 Didn’t they kill Cyrus the Great? 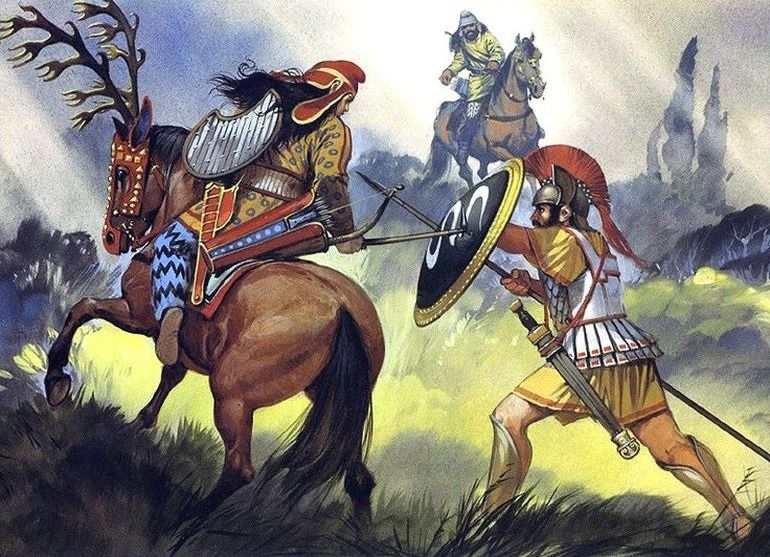 Alexander had better luck against them. 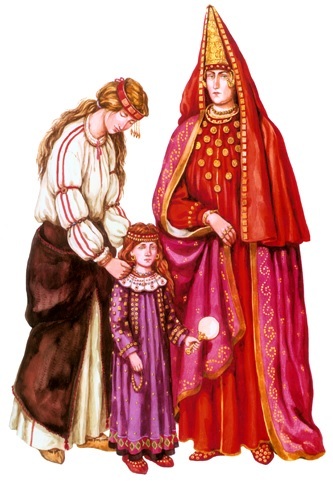 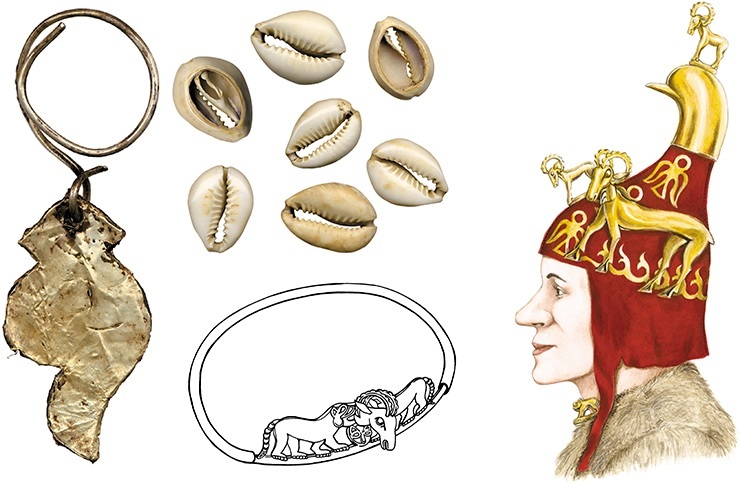 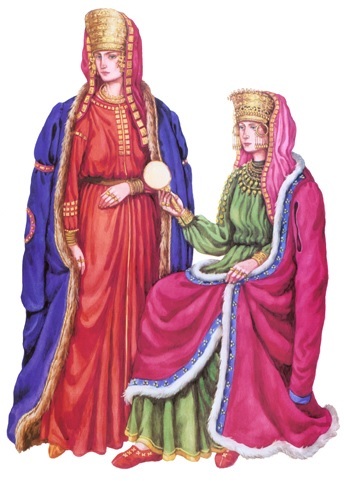 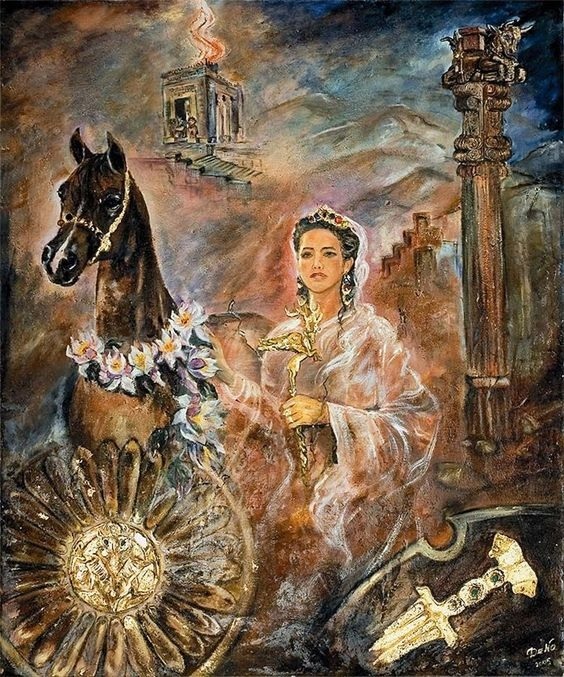 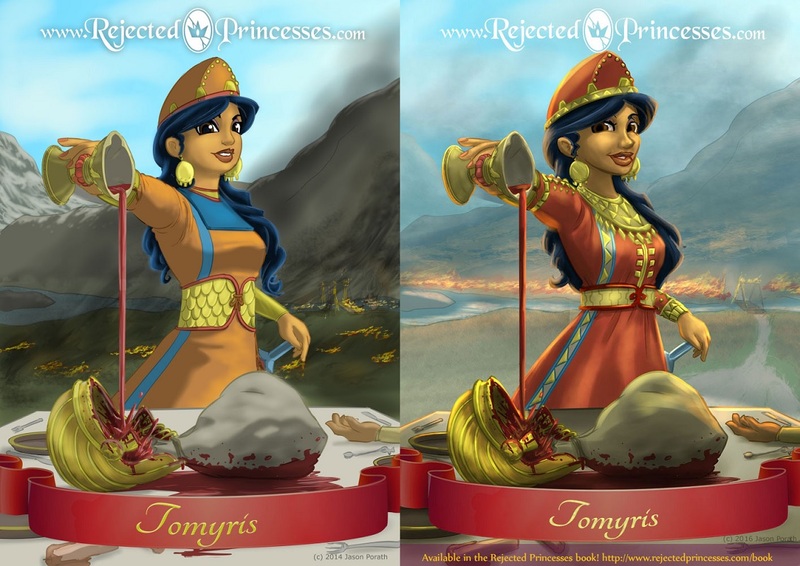 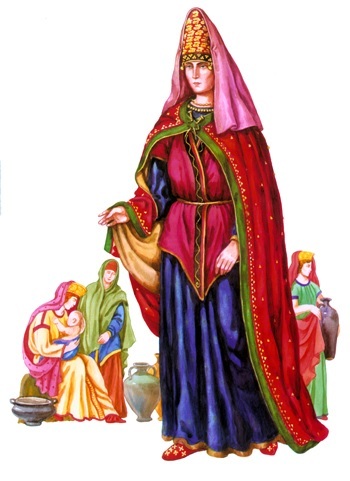 And in fact a few of the very first images must be (a very happy and cartoonish) Queen Tomyris with the head of Cyrus in a wineskin. 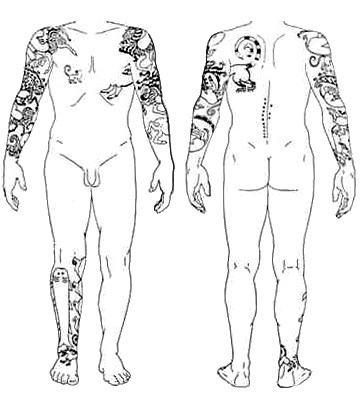 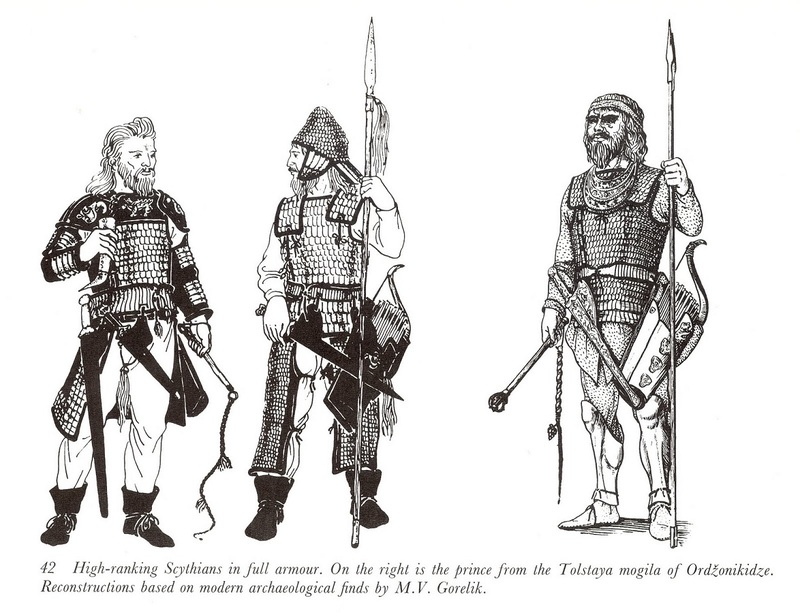 Spear length suggests hoplites? 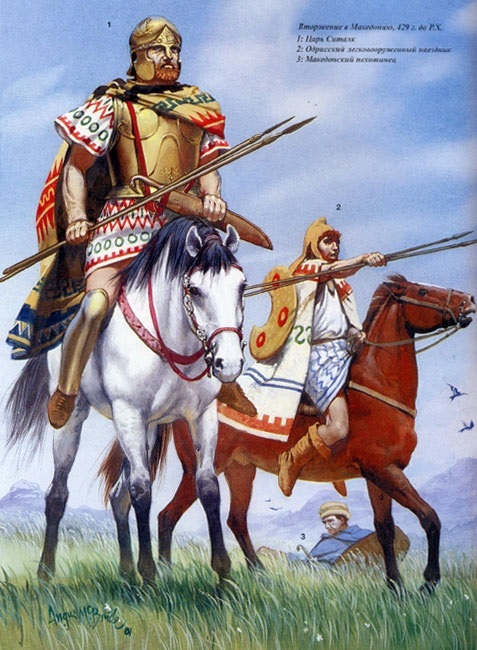 But the shields look more like the smaller Macedonian ones? 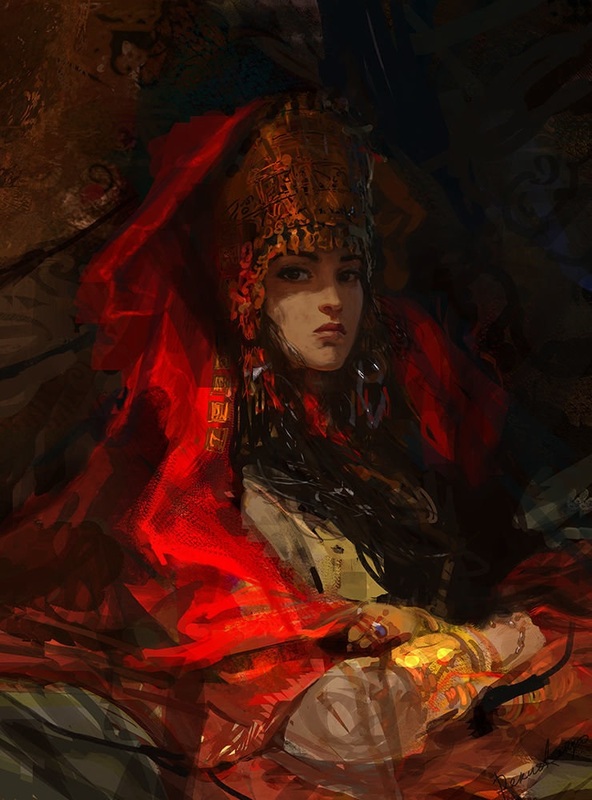 Hell hath no fury like a woman scorned, as they say! 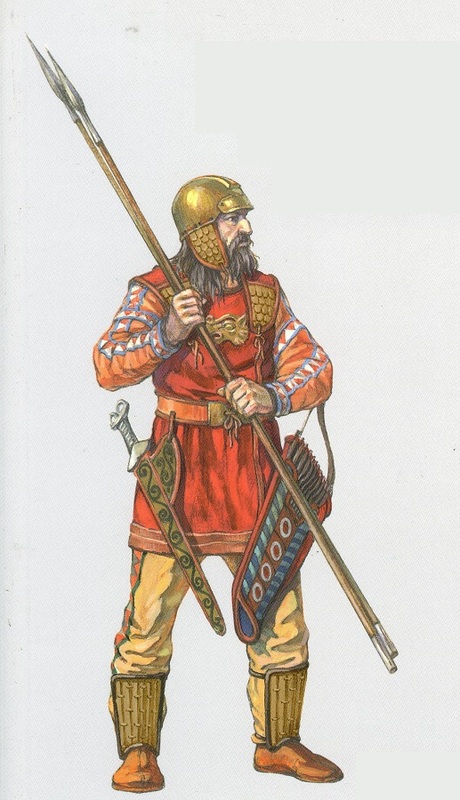 Furthermore one may doubt that Alexander's veteran pikemen would use their pikes when that was obviously impractical. 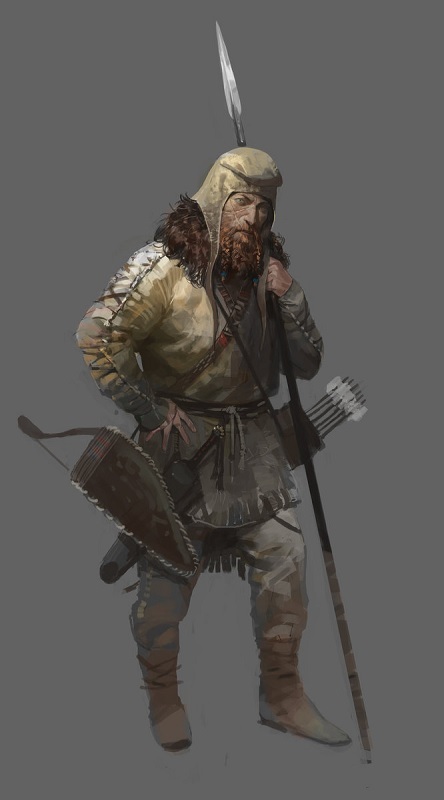 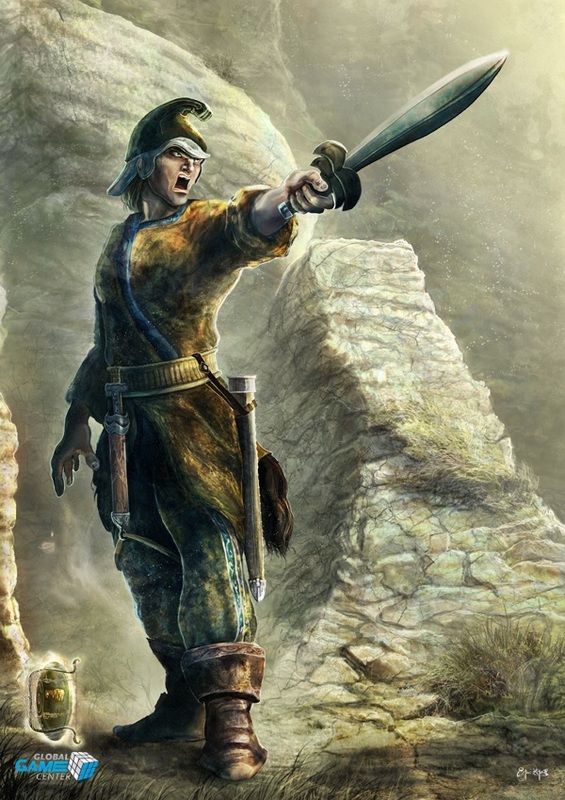 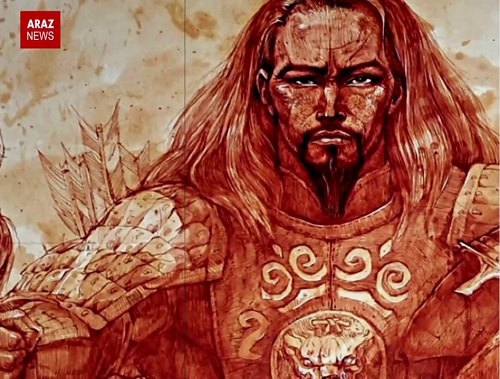 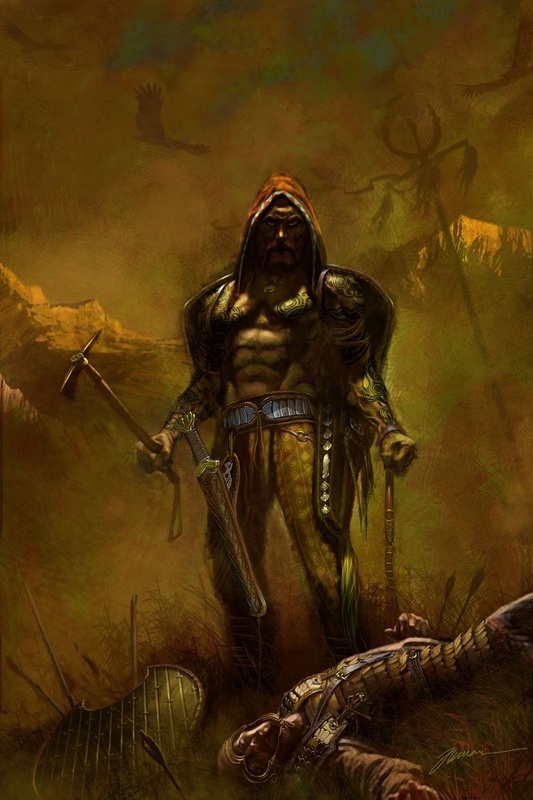 One would assume that experienced fighting men would become trained is more than one weapon, especially since both in later stadia of A's trek into Asia, but also earlier in the fight against the mountaineers of Agriania the fight was brought into mountains and cities. 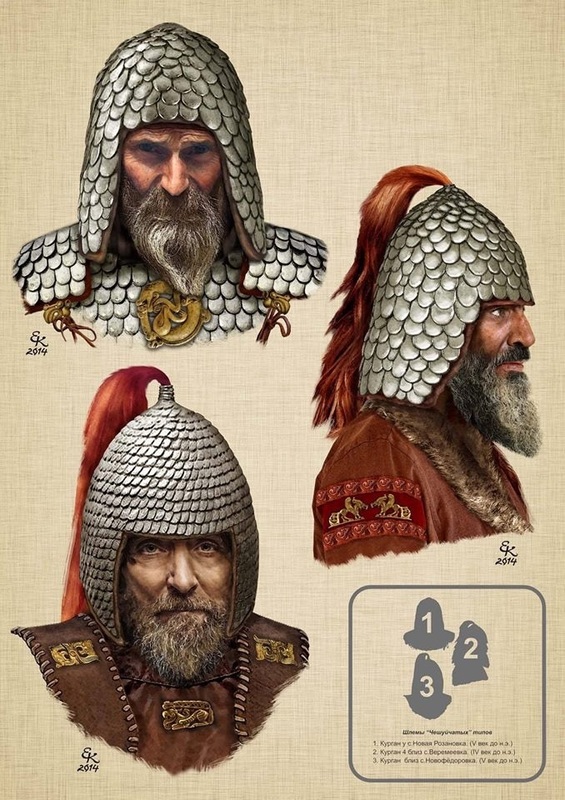 I wondered about that Aerandar but weren't those also described as 'Silver Shields'? 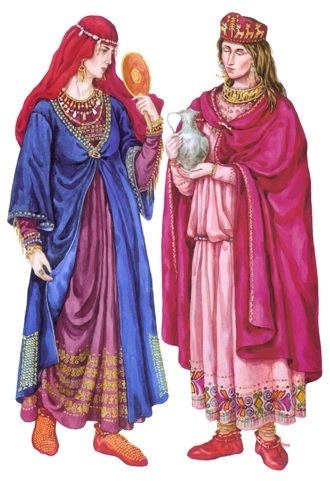 I'm no expert on Macedon mind. 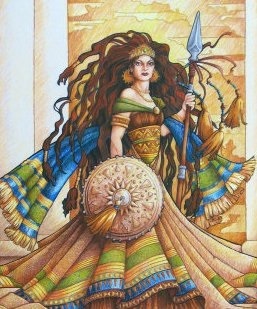 Yes, but that was in the successor era. 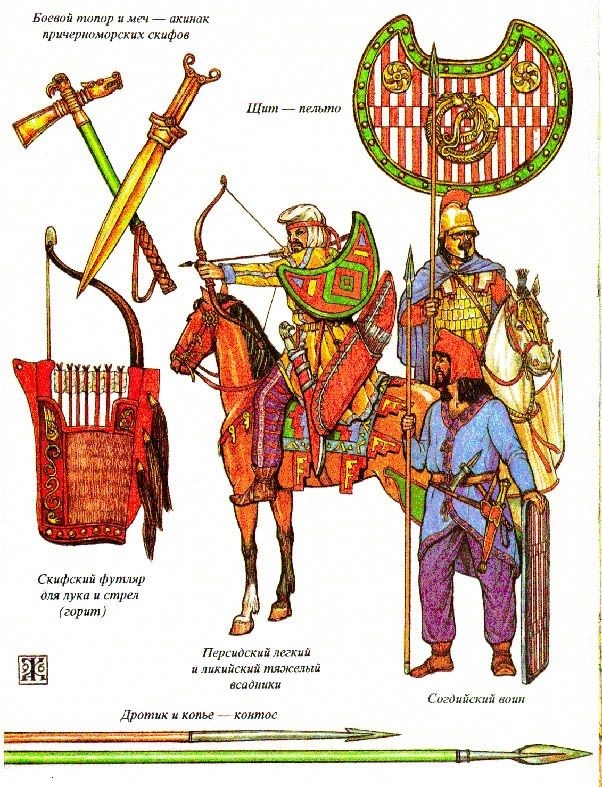 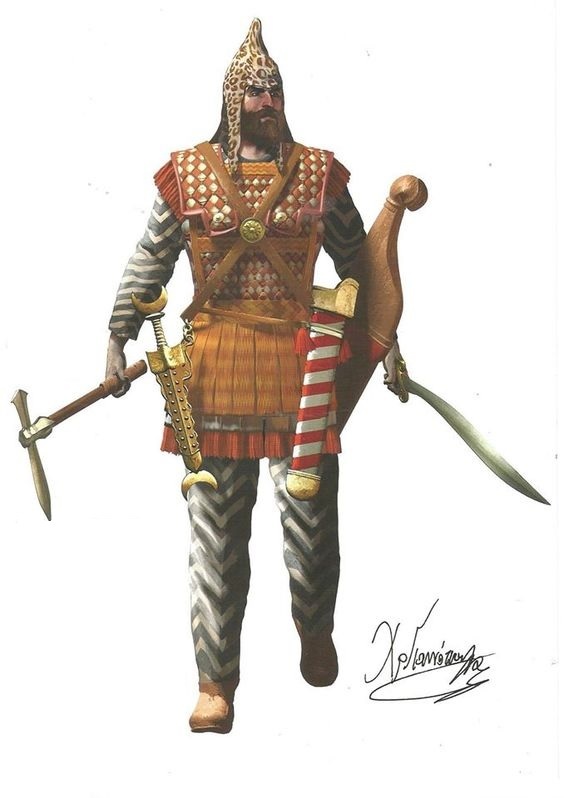 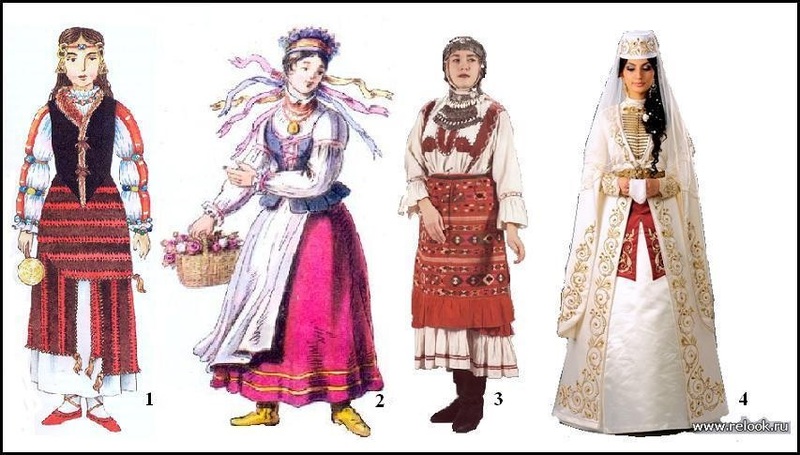 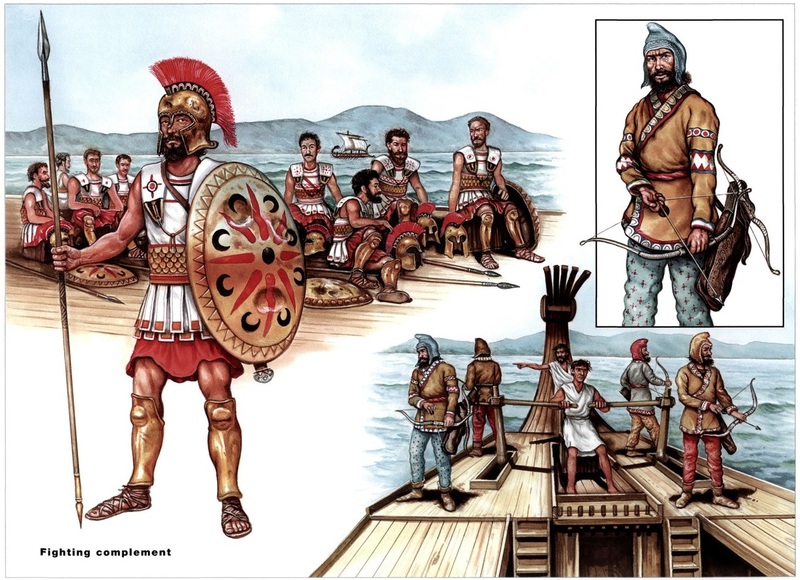 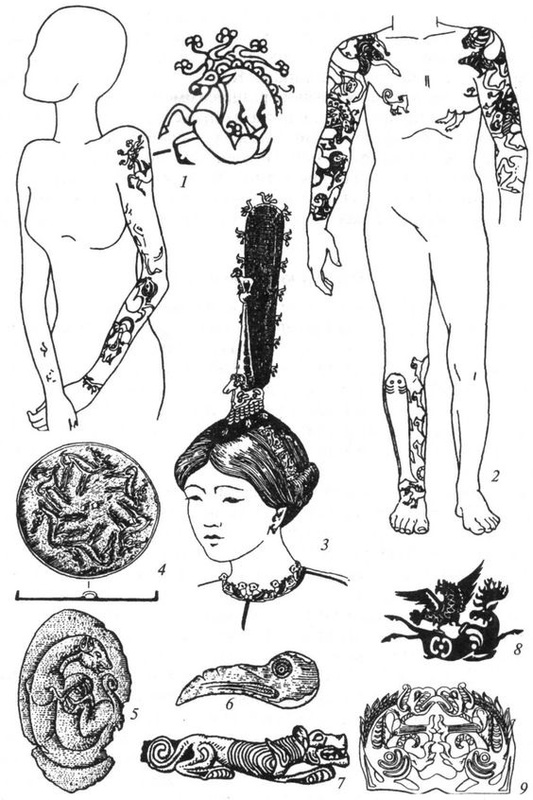 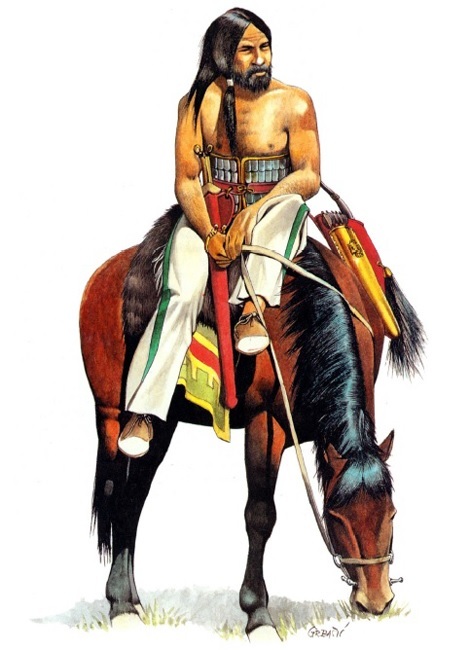 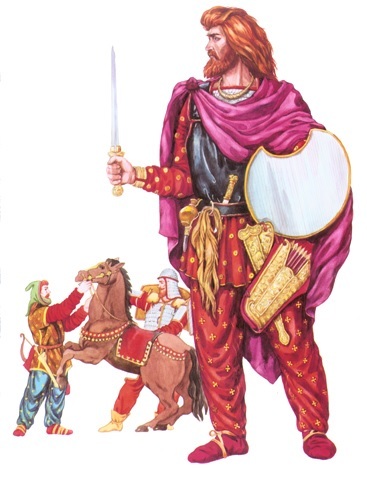 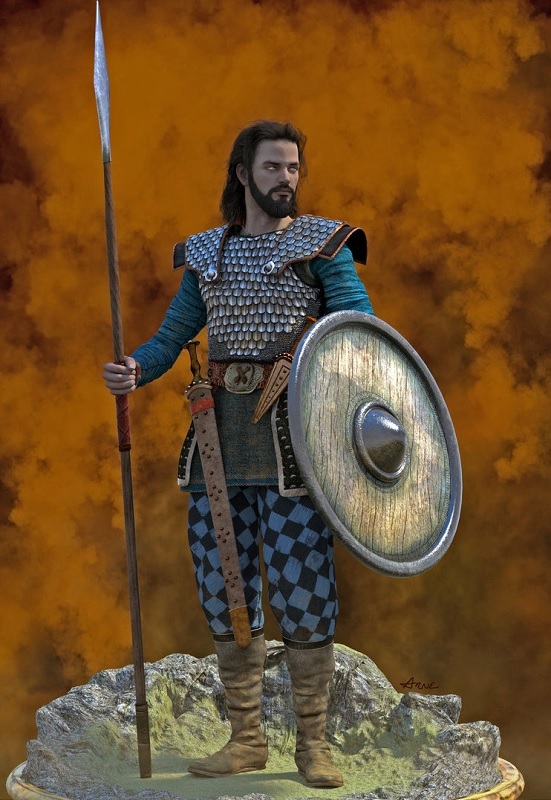 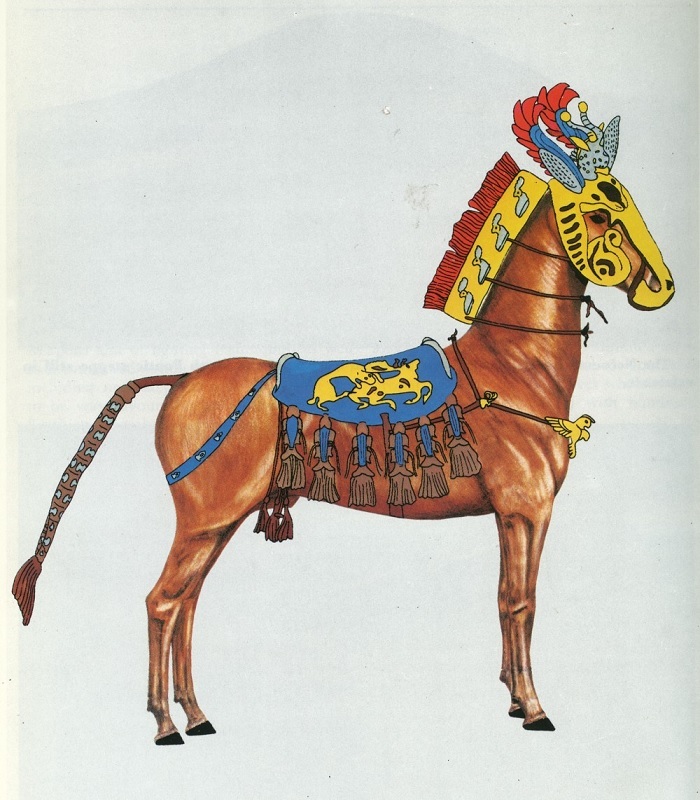 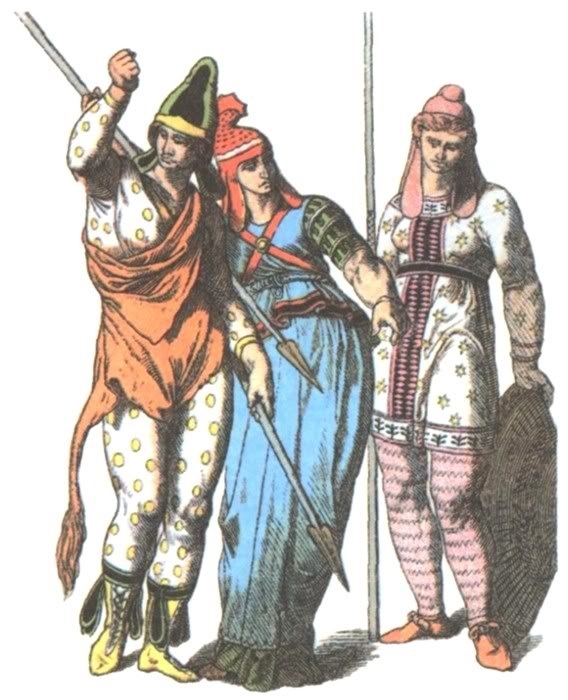 The arms and armor of the macedonian hypaspists are not well known. 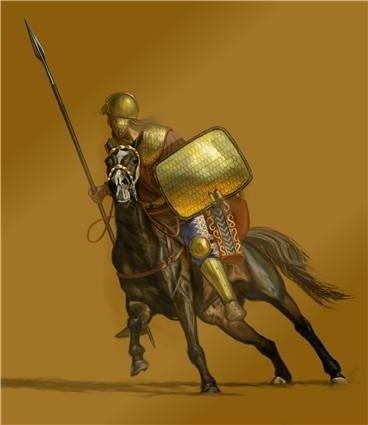 Some think that they were some kind of light hoplites, others think thay may have been heavy peltasts. 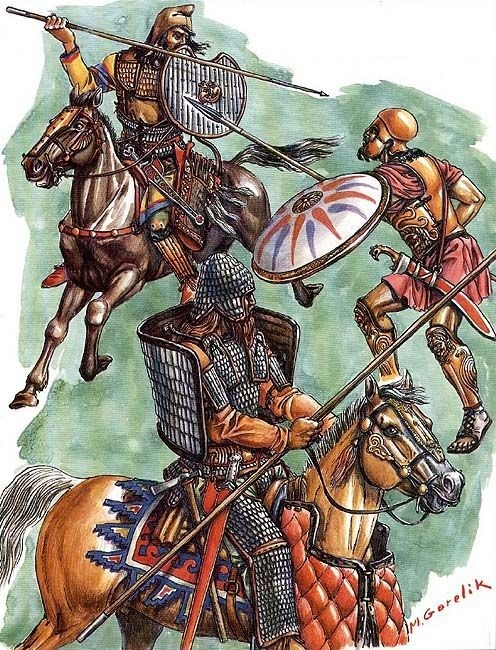 We know thet they were well trained ant loyal troops, so they may have served multiple roles. 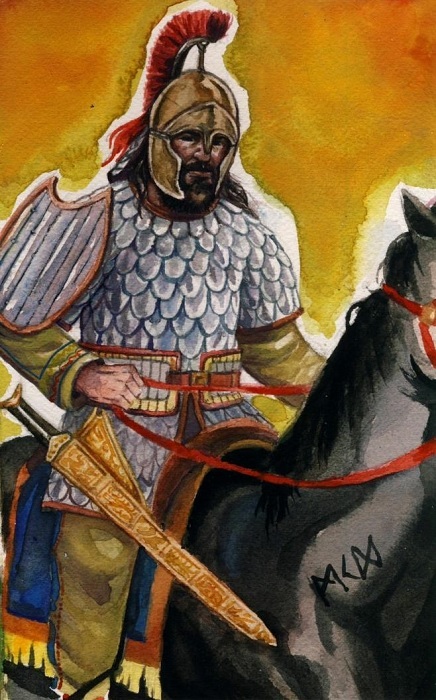 So under the Seleucids? 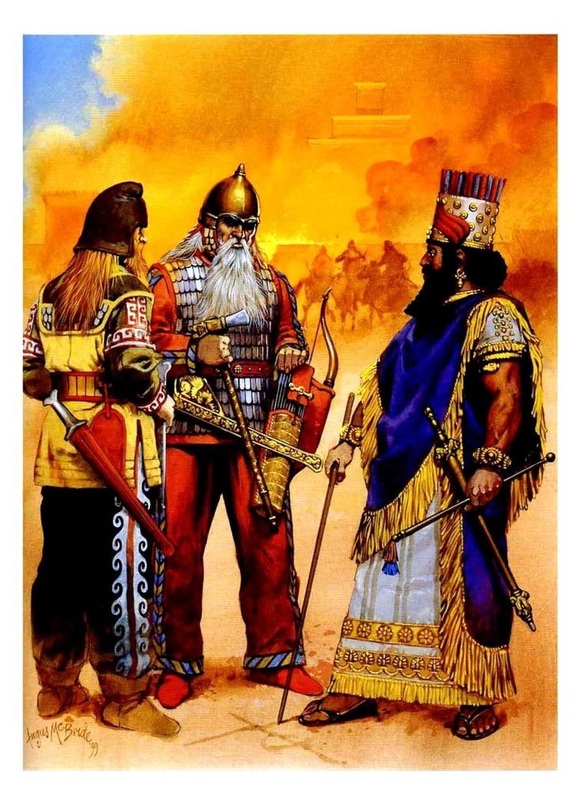 I knew they had them but not that the description started there. 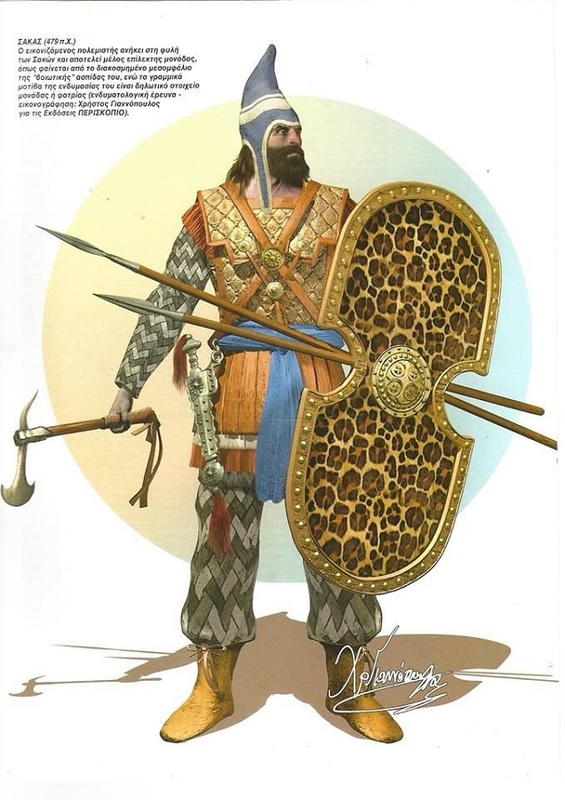 You were right, the Hypaspist seem to have changed their name toward the end of the Alexandrian campaign into the silver shields. 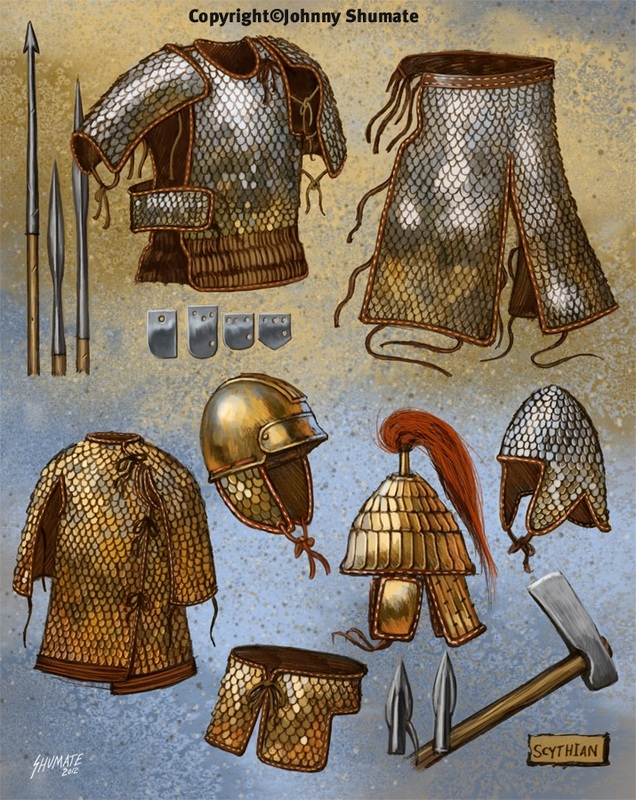 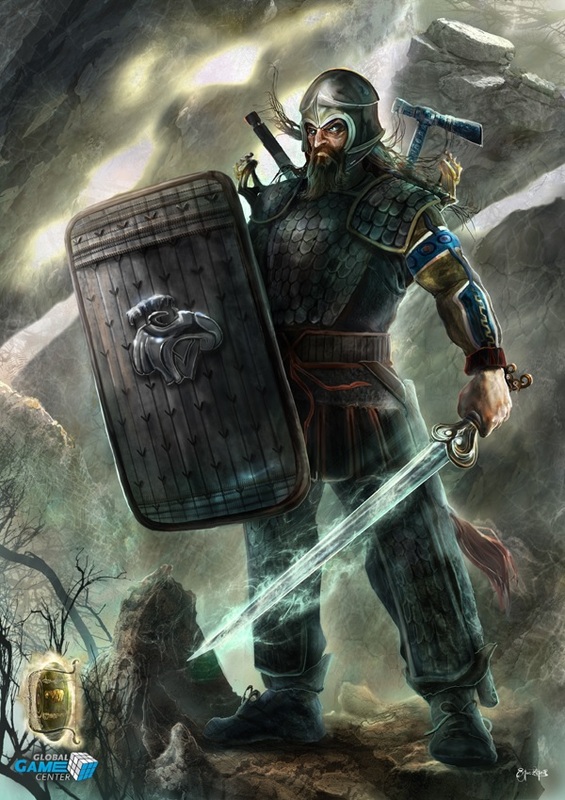 The Seleicid silver shields were a later formation. 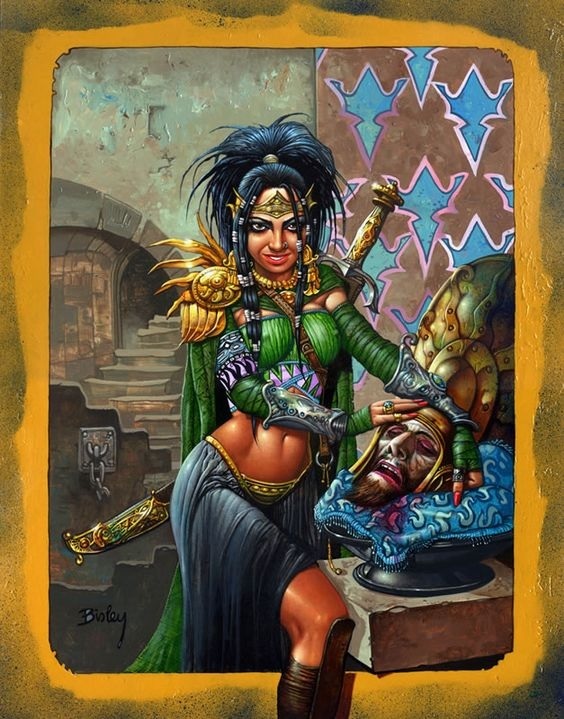 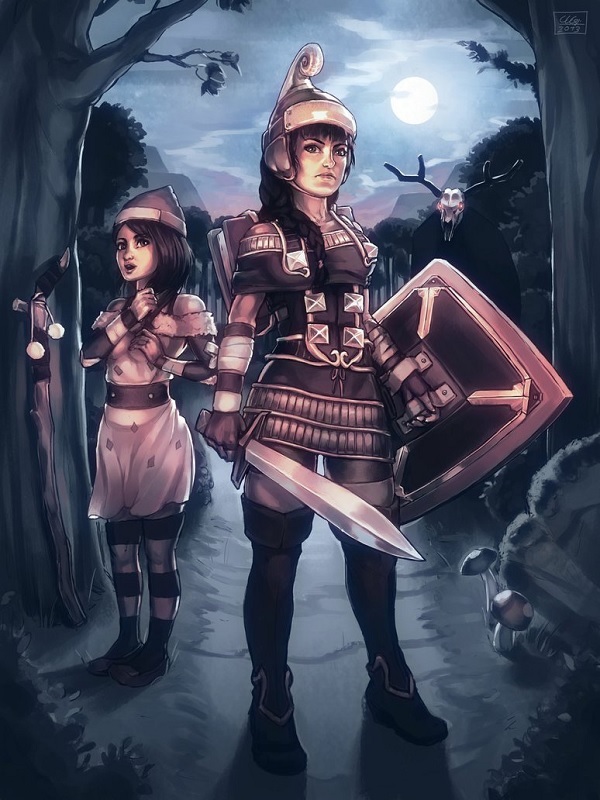 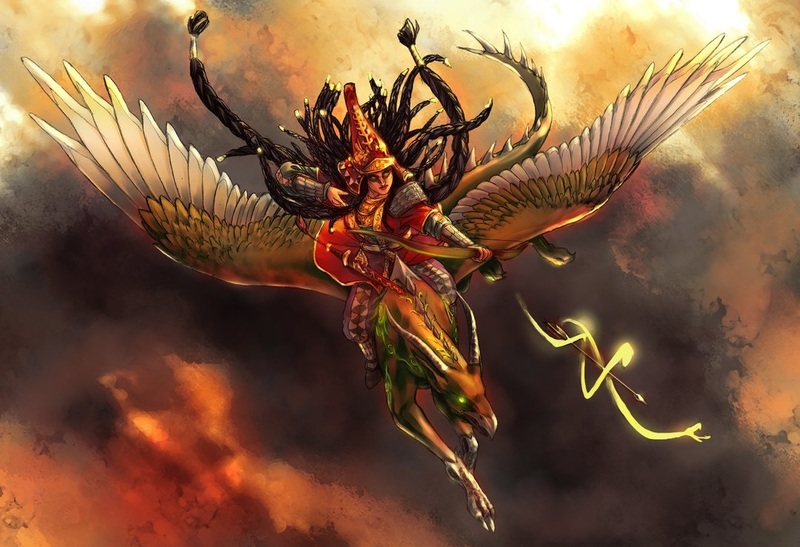 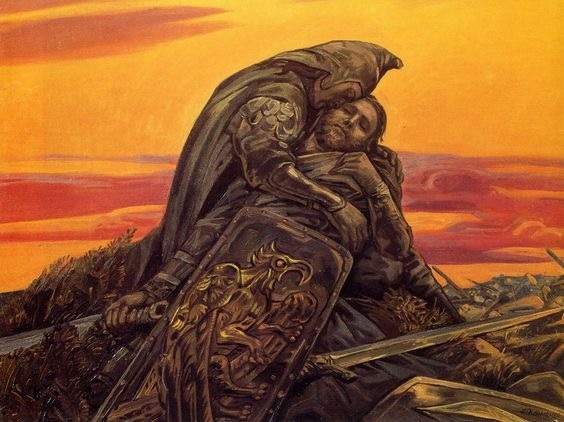 Reminds me of the artwork from the old Osprey books somehow.